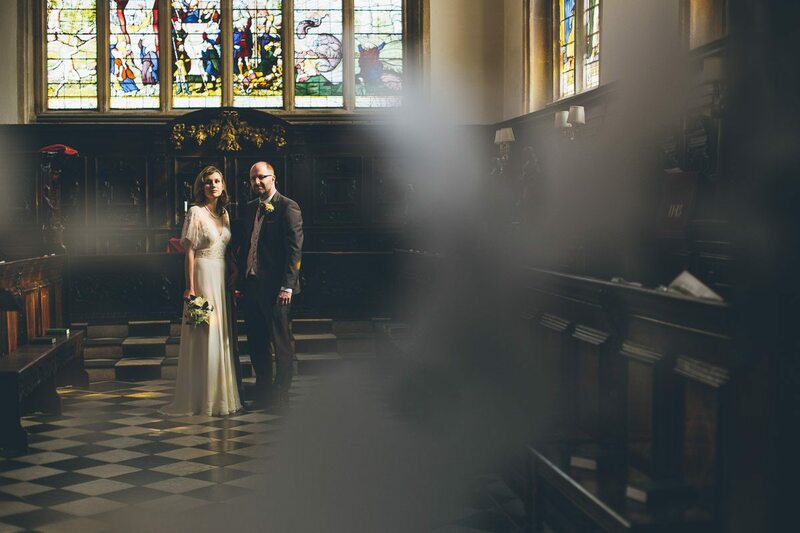 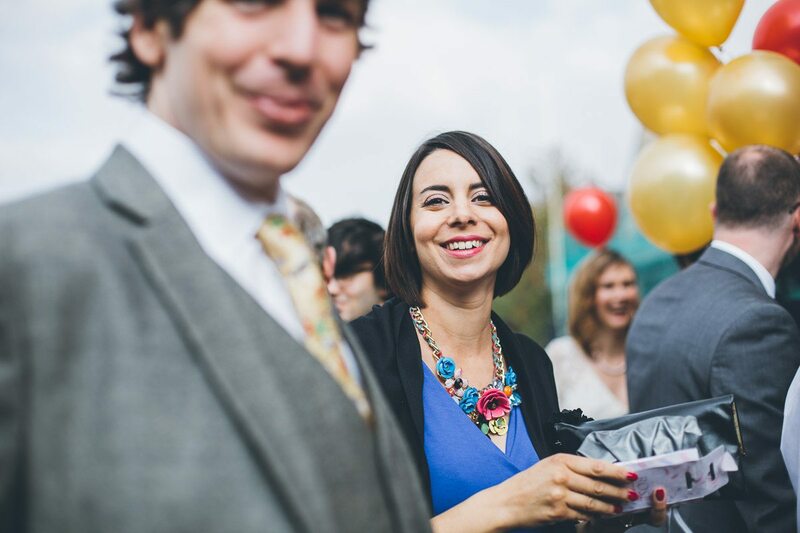 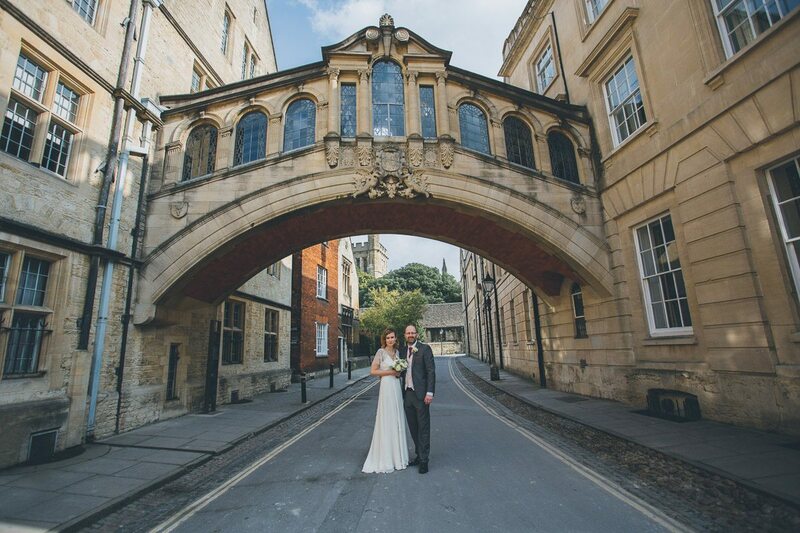 Robert & Ana’s wedding in Oxford was an unusual one in that it was the first of two (the second for family & friends in Serbia) and that they wanted their portraits taken before the ceremony. 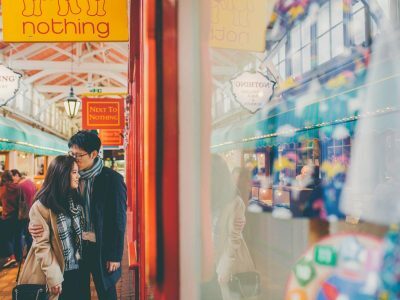 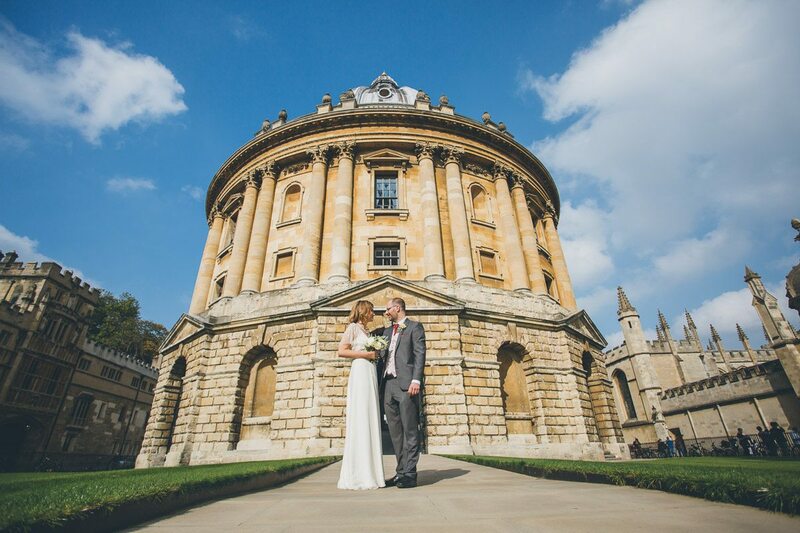 Oxford very much is their home and they wanted it to be very much part of their day. 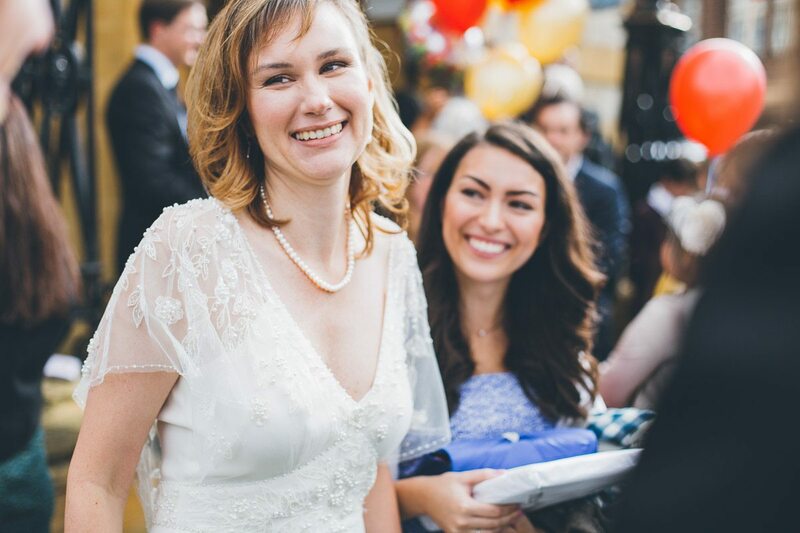 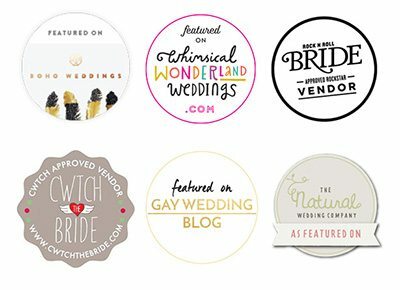 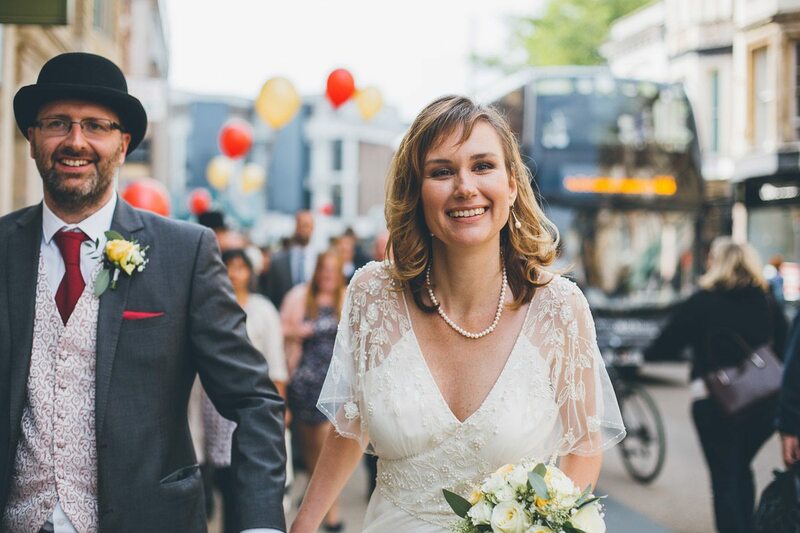 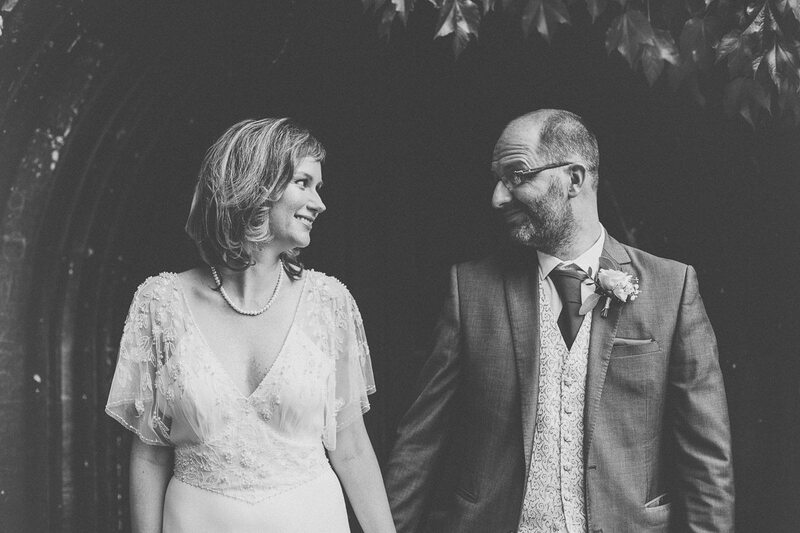 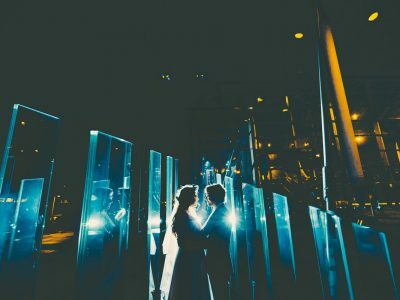 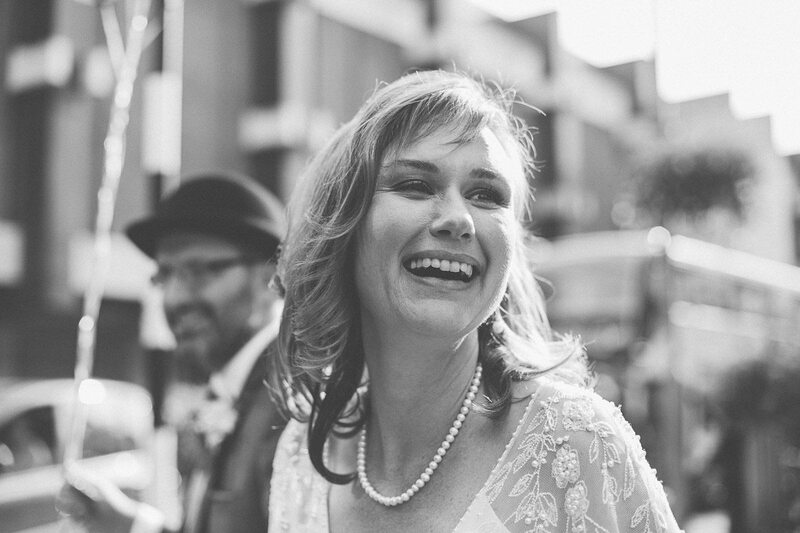 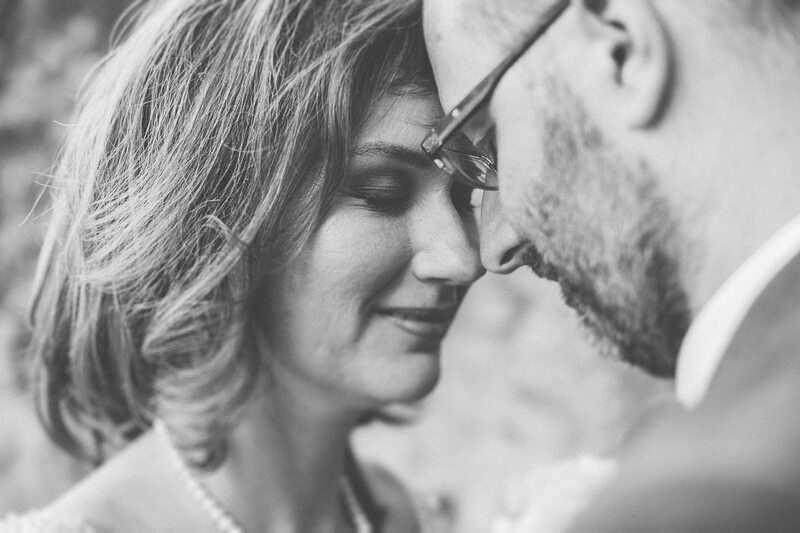 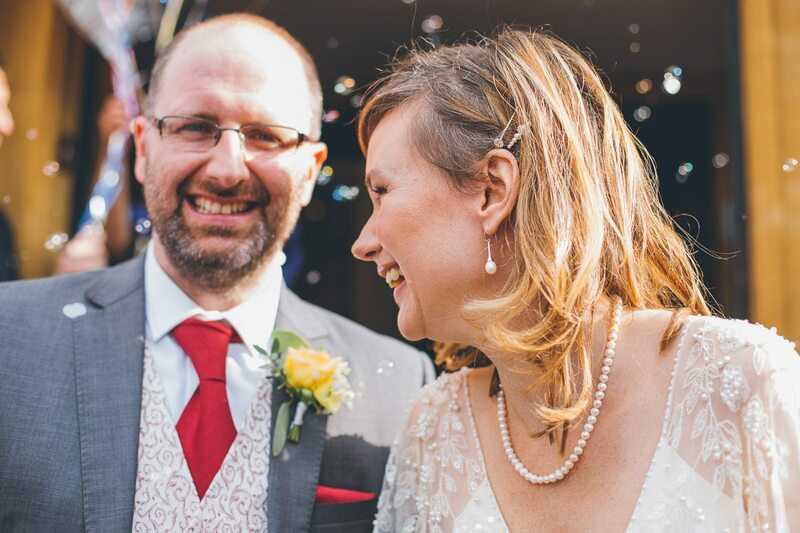 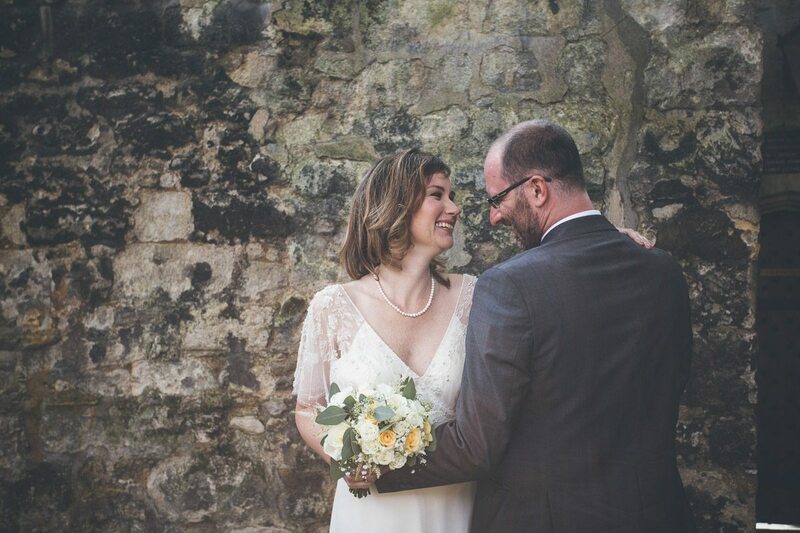 I am so very happy that Rob & Ana decided to book me and loved every second of their wedding day. 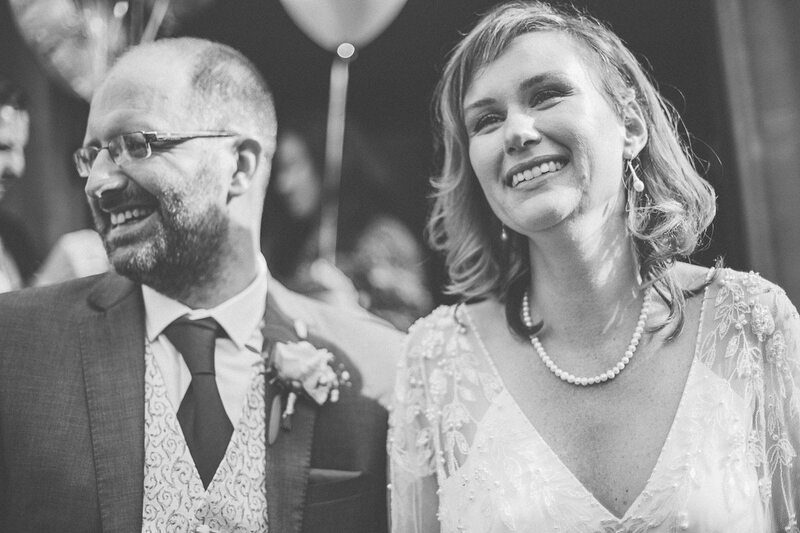 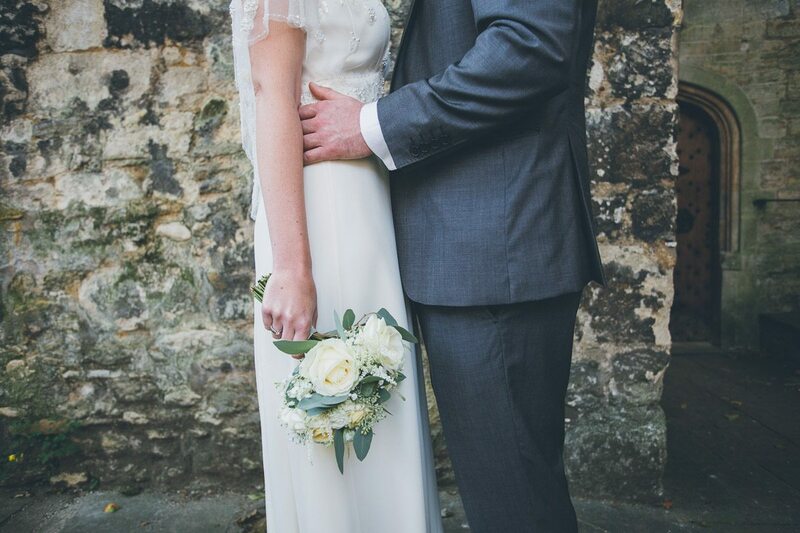 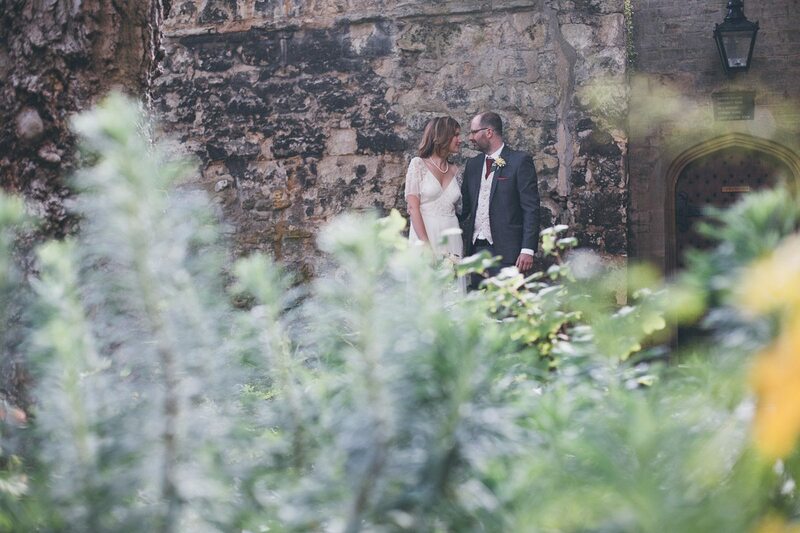 I love love shooting weddings in the countryside with trees, flowers and grasses blowing in a gentle breeze. 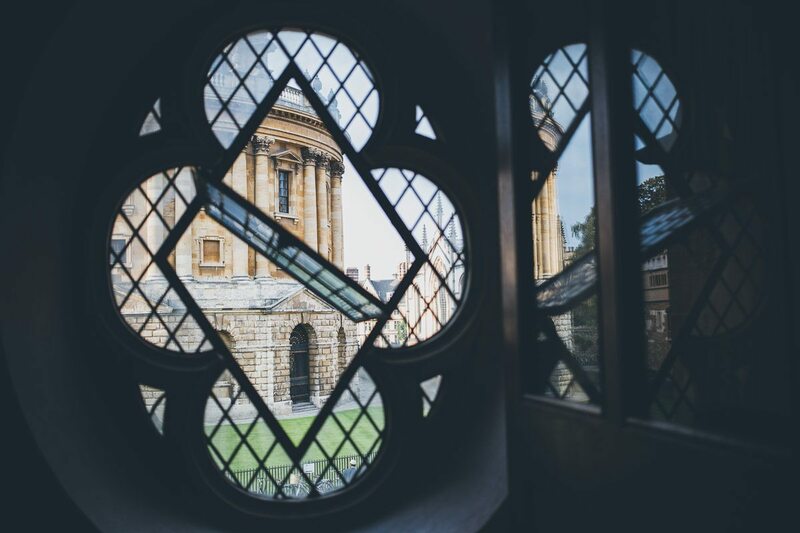 However shooting in Oxford with it’s truly stunning architecture and geometry was absolutely lush and something I would love to do again. 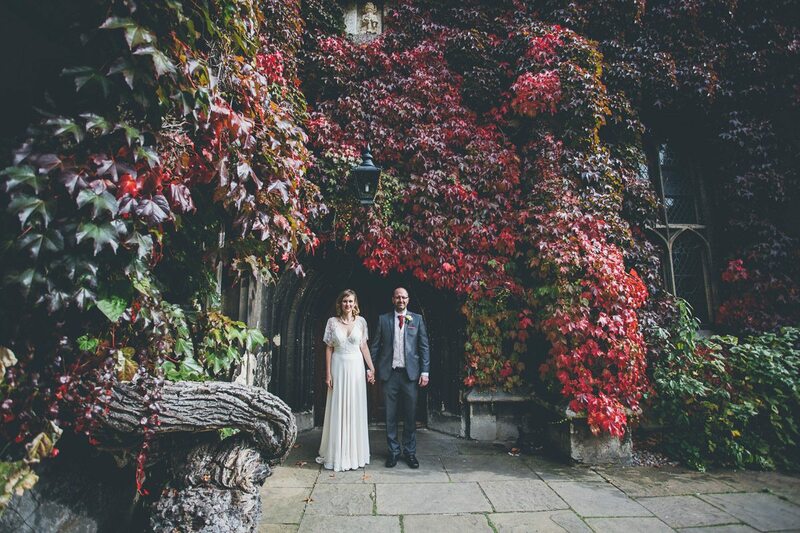 We were exceptionally lucky that Rob & Ana have friends in useful places and managed to get us into Lincoln College, chapel and library. 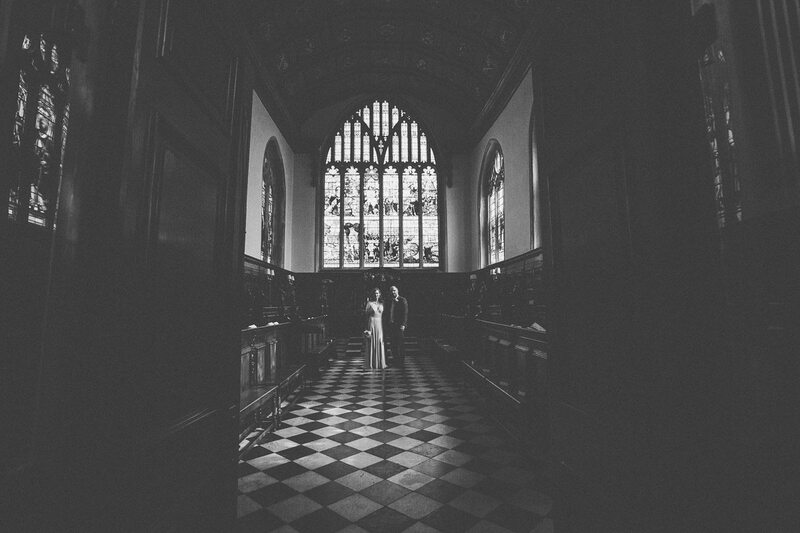 Photographically I felt like a kid in a huge sweetshop and with a tight timeline and lots of locations to cover it was a wonderful couple of hours. 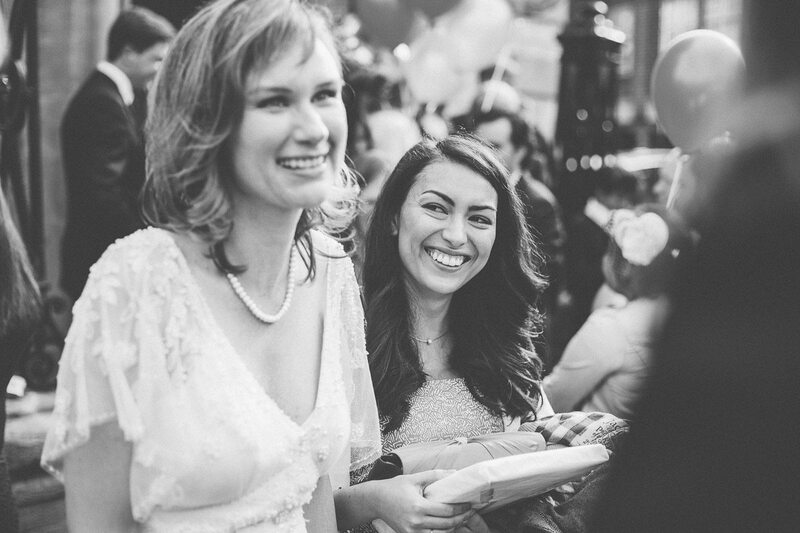 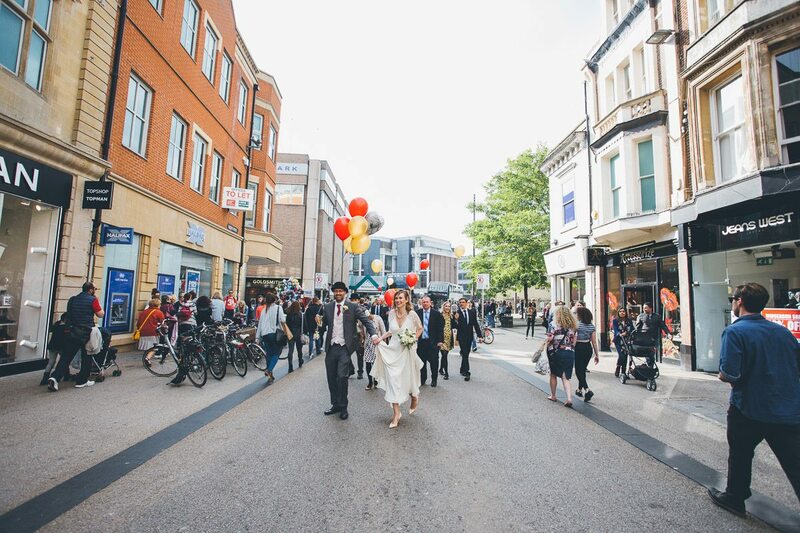 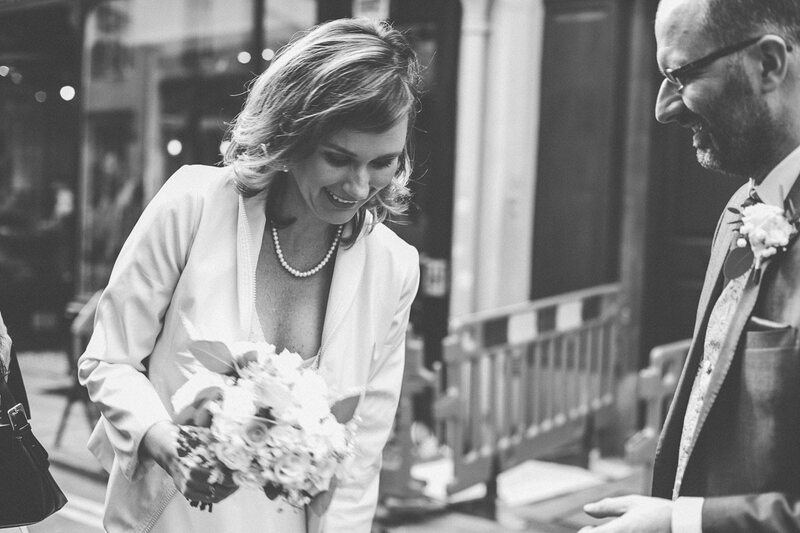 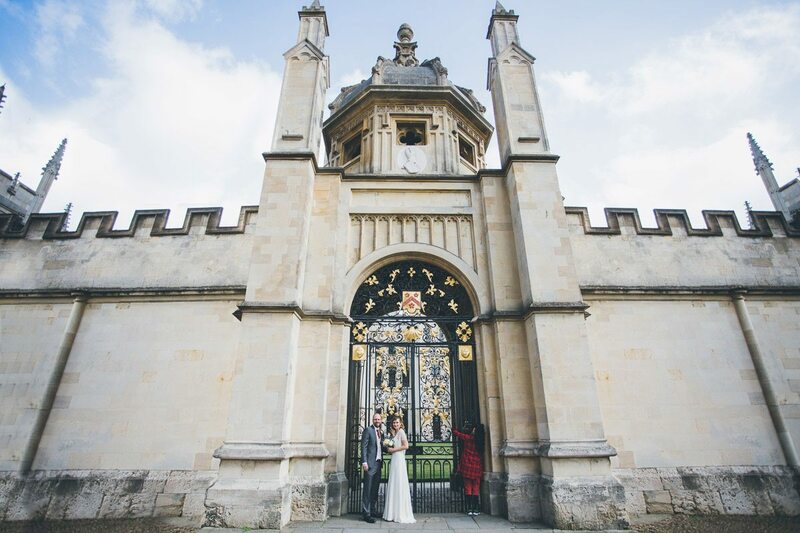 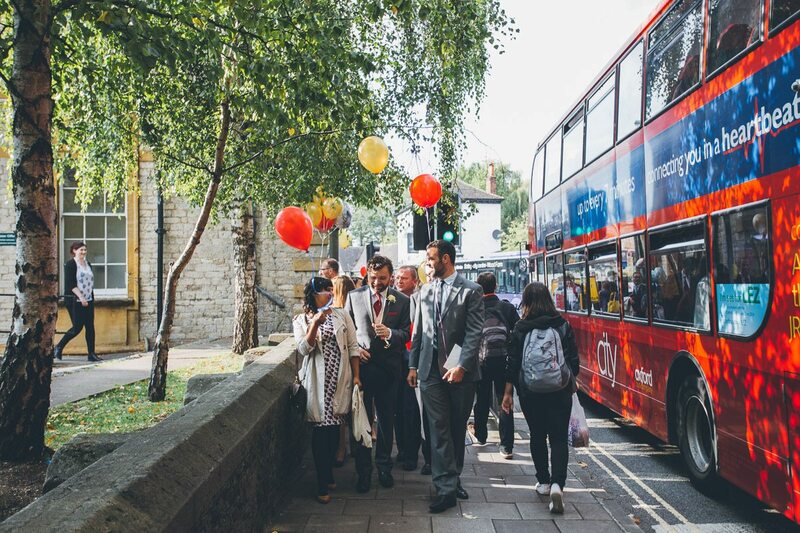 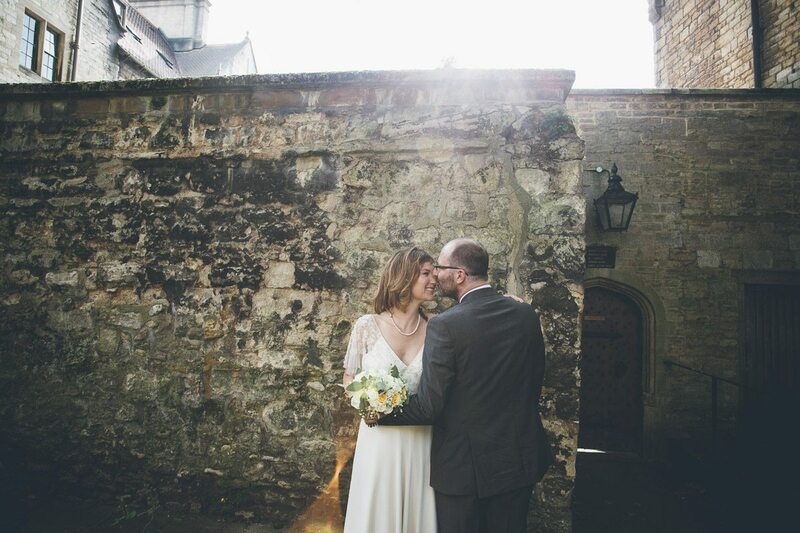 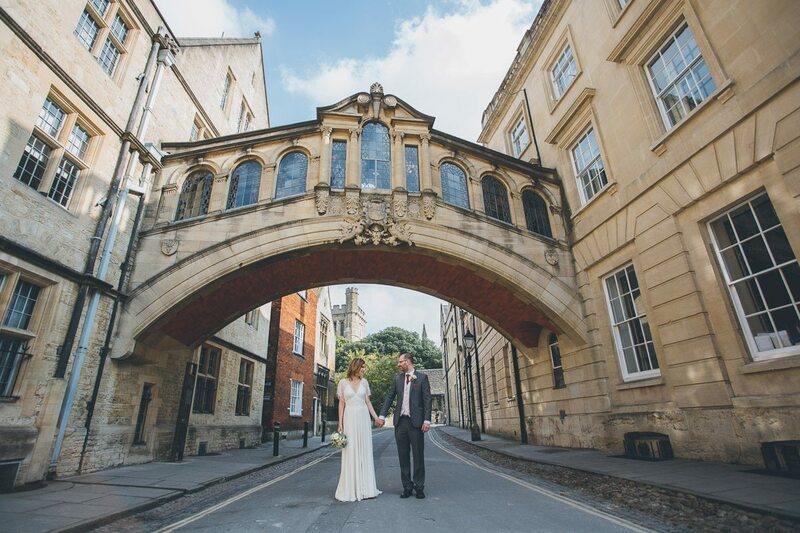 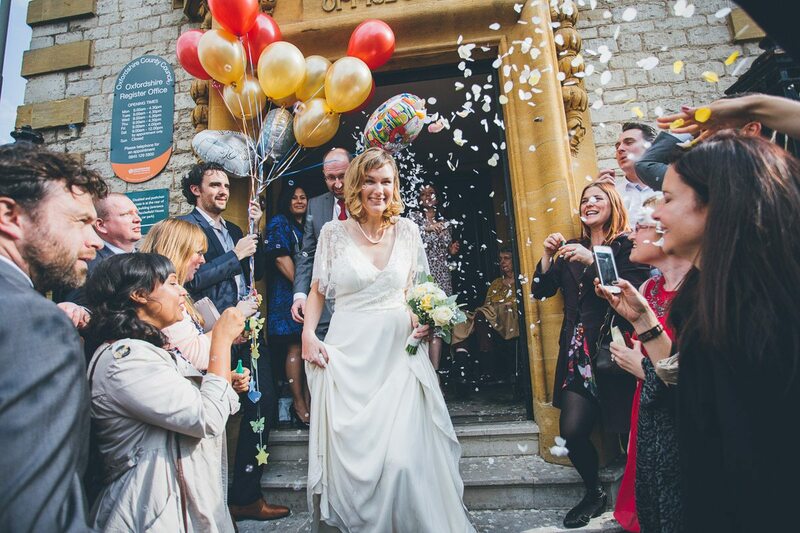 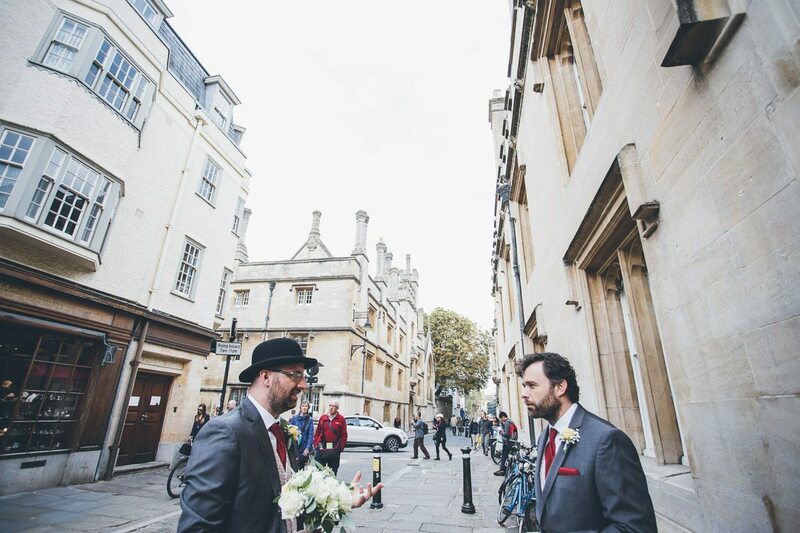 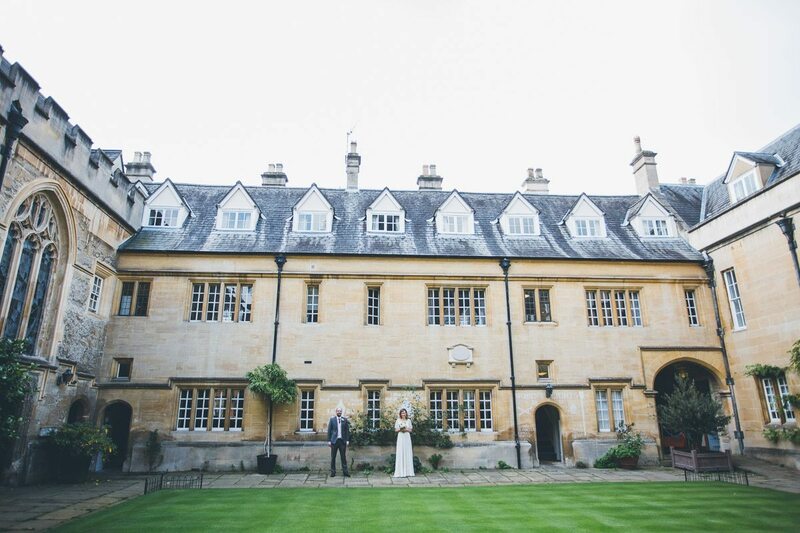 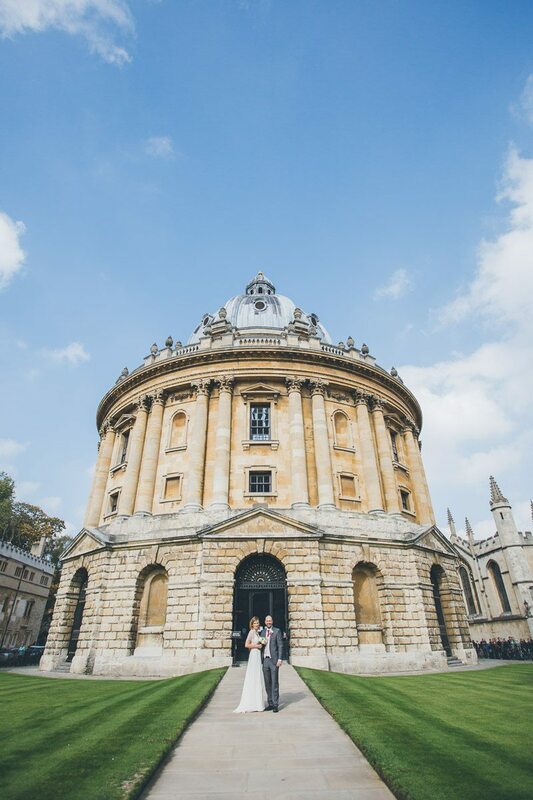 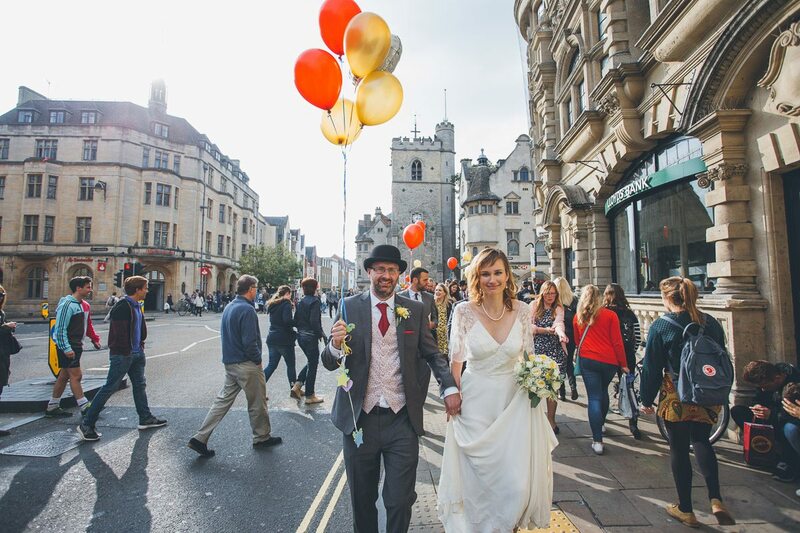 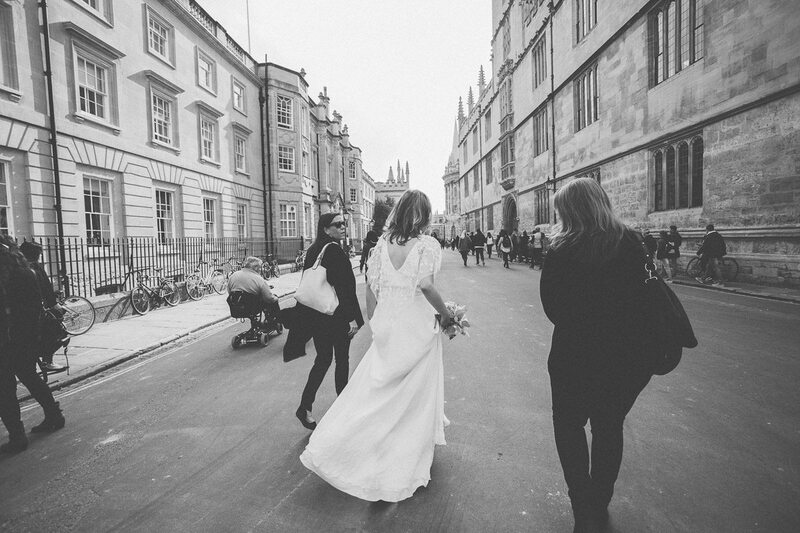 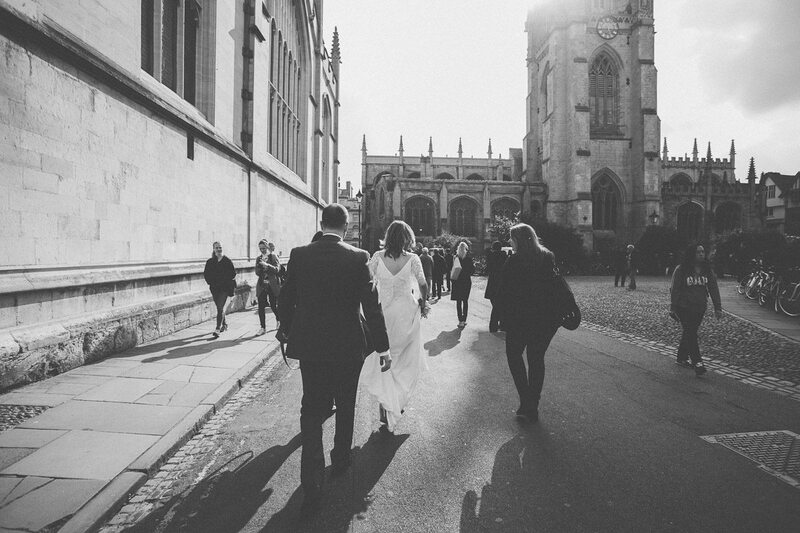 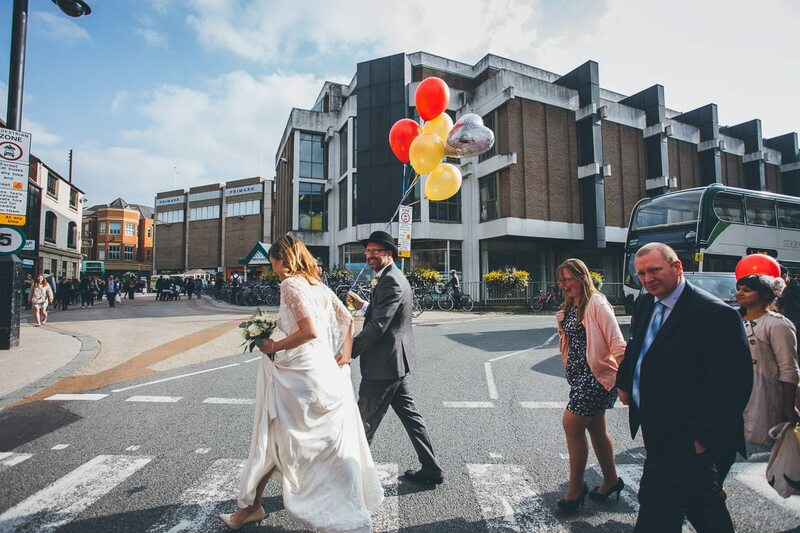 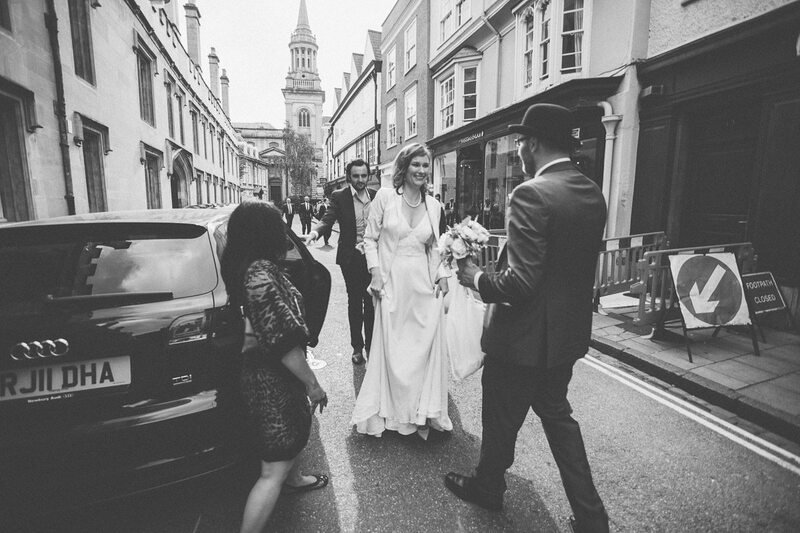 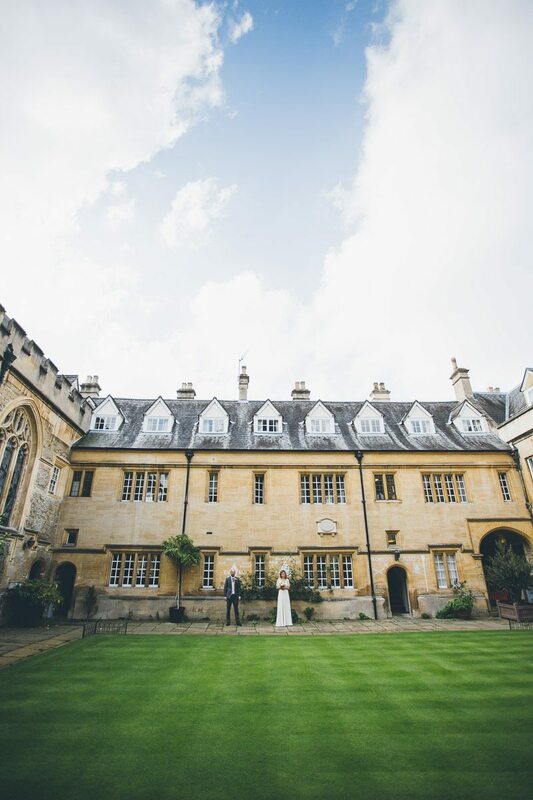 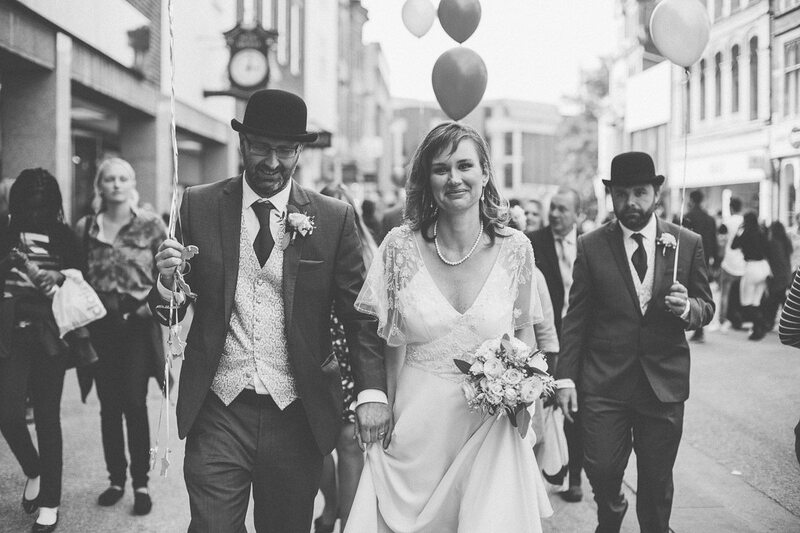 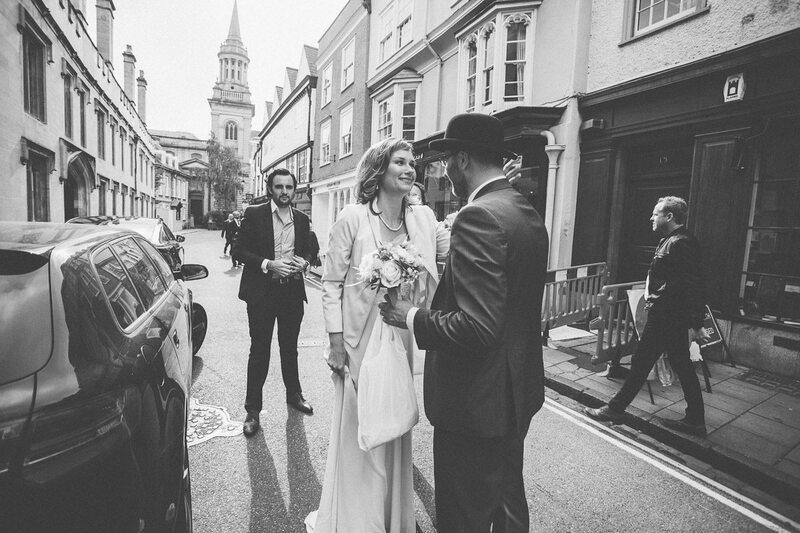 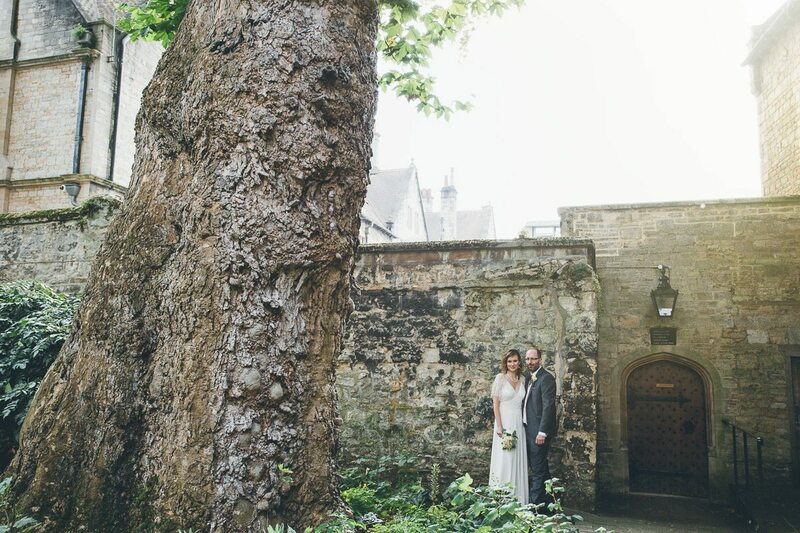 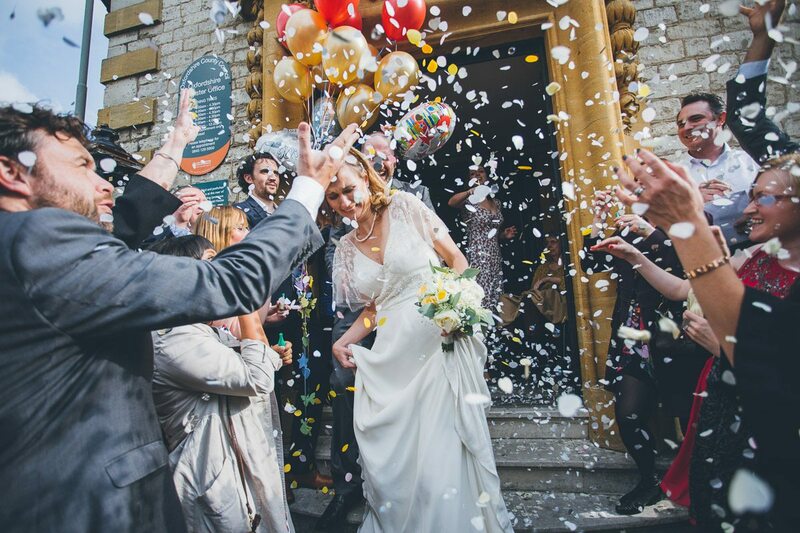 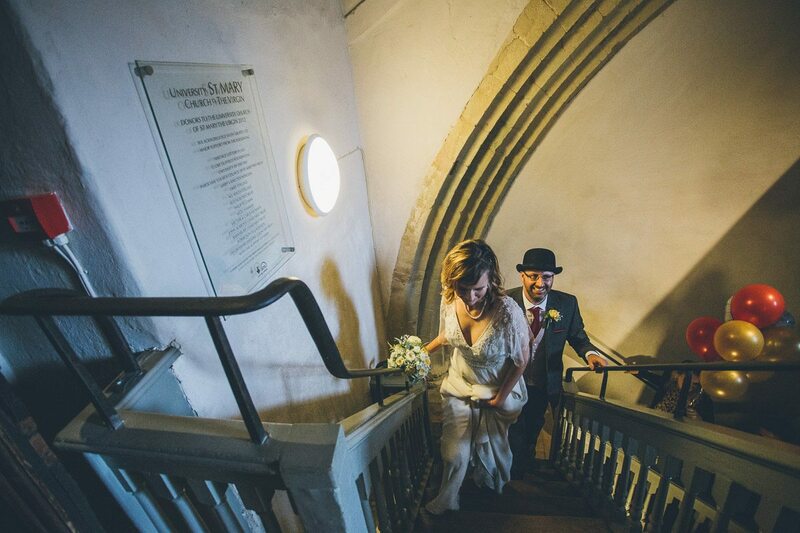 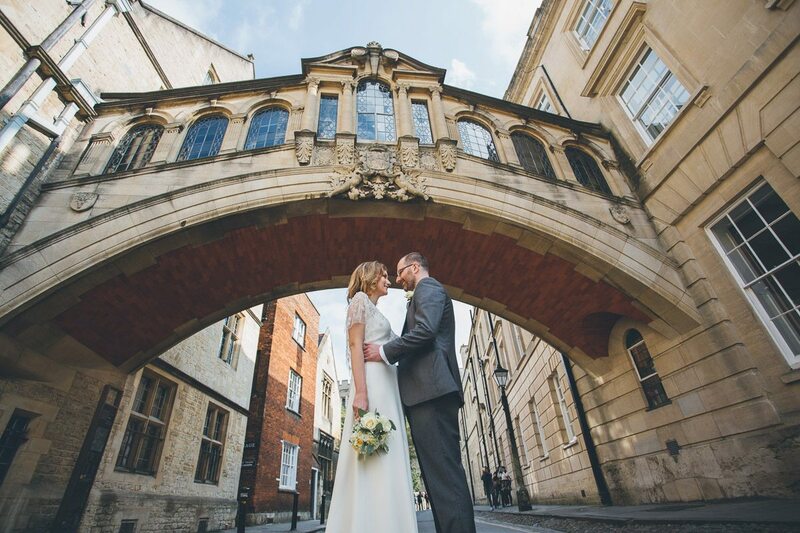 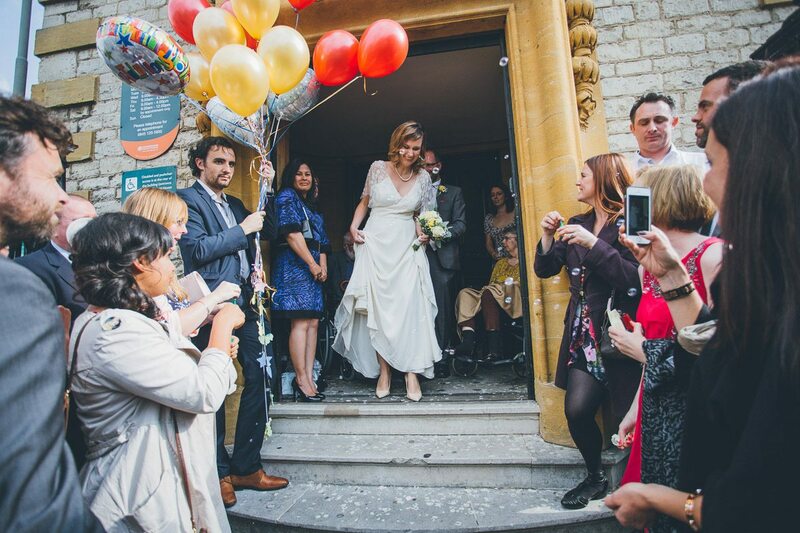 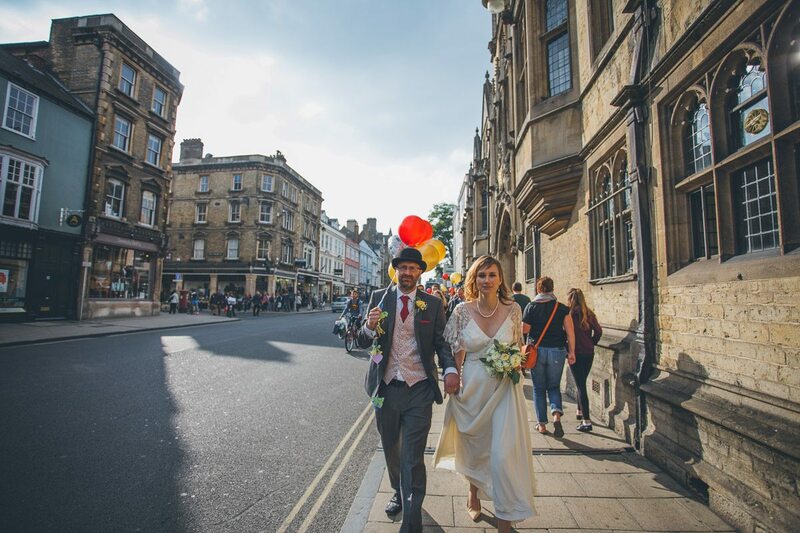 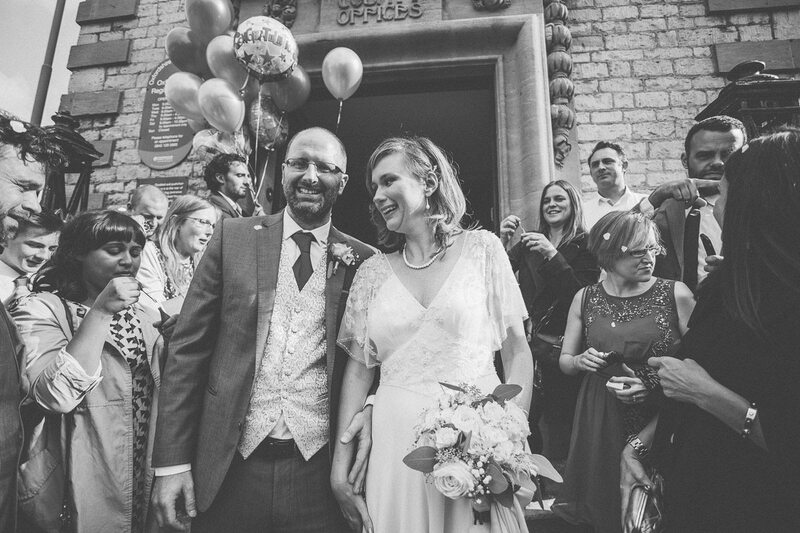 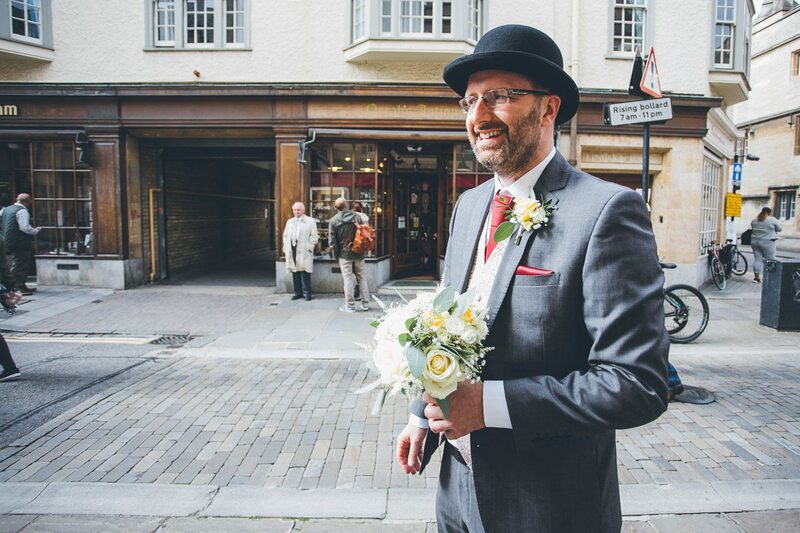 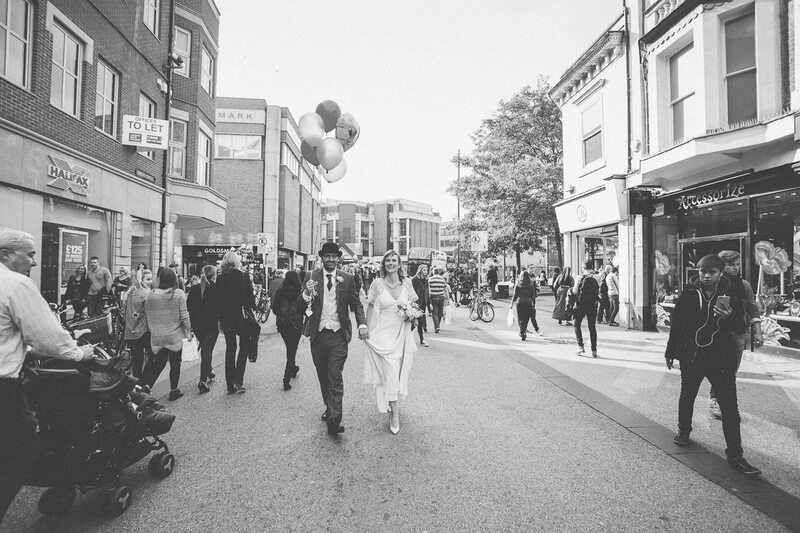 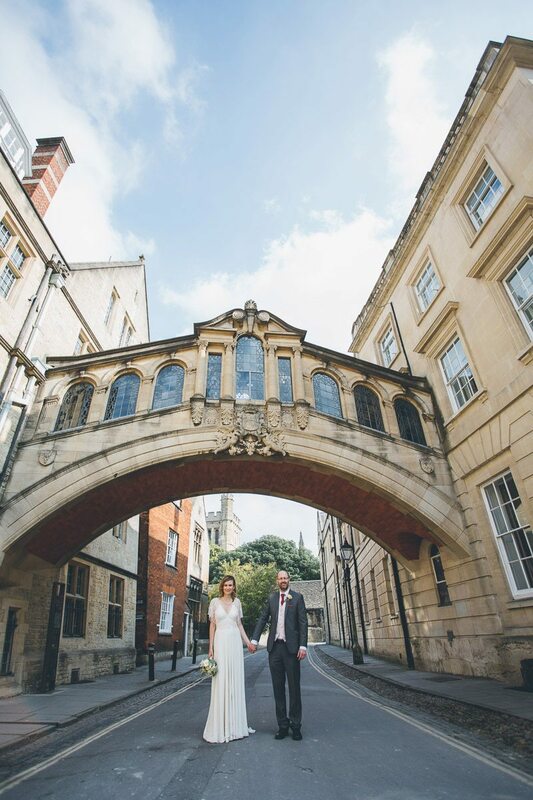 The ceremony was at Oxford Registry Office with a walk back through the centre of Oxford (Bridal party and all!) 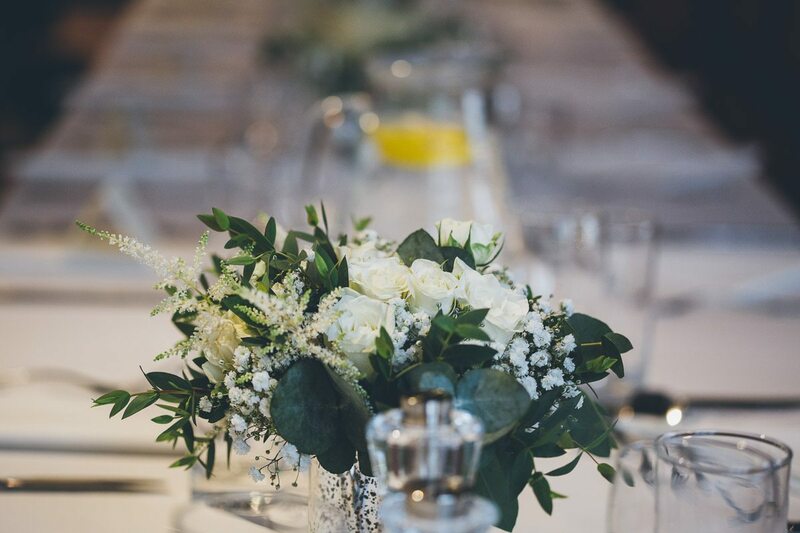 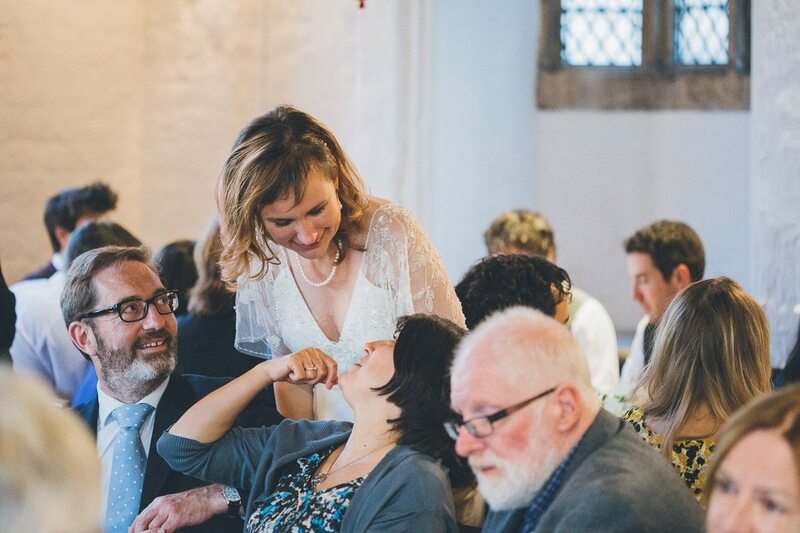 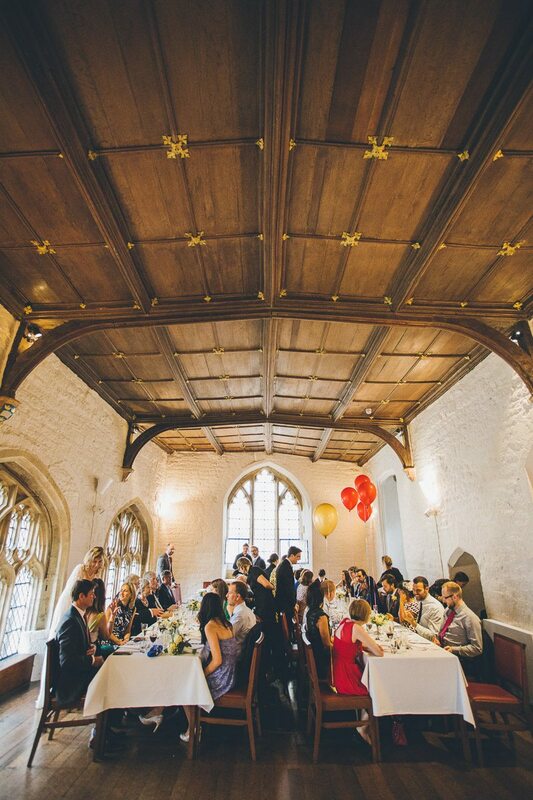 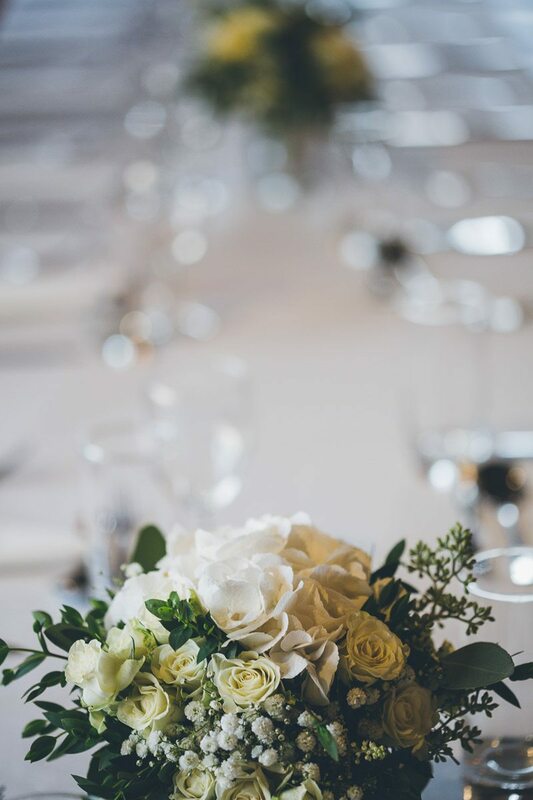 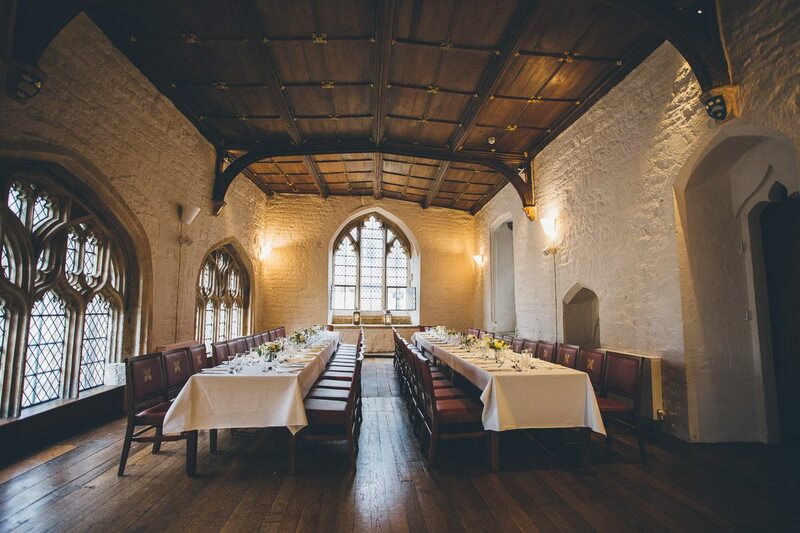 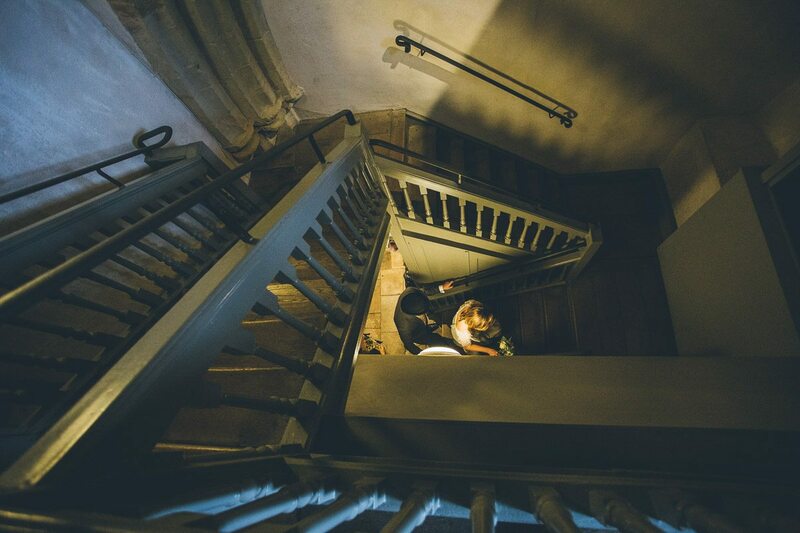 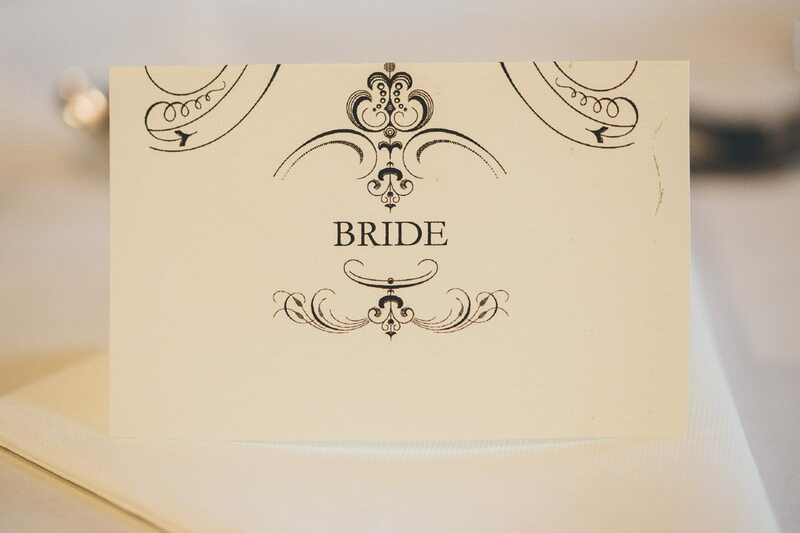 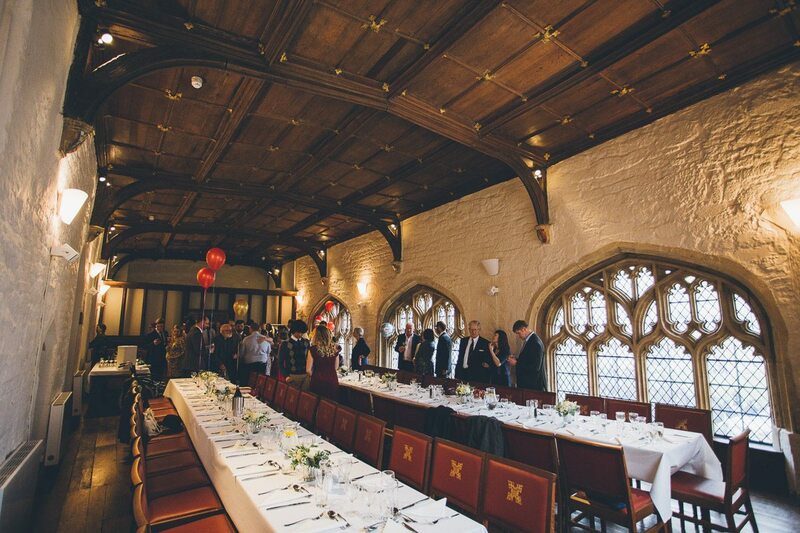 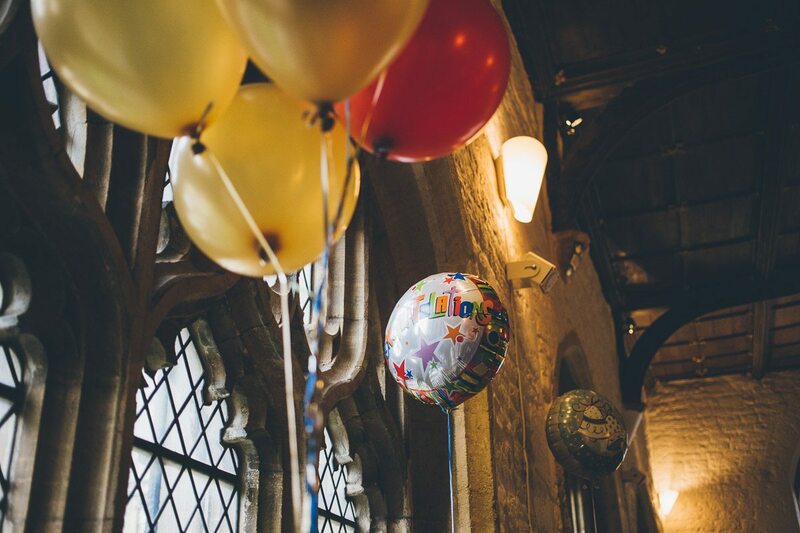 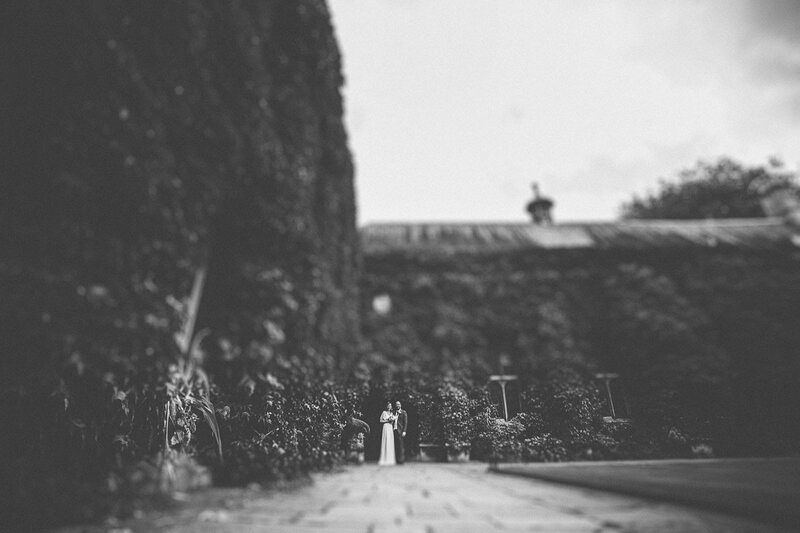 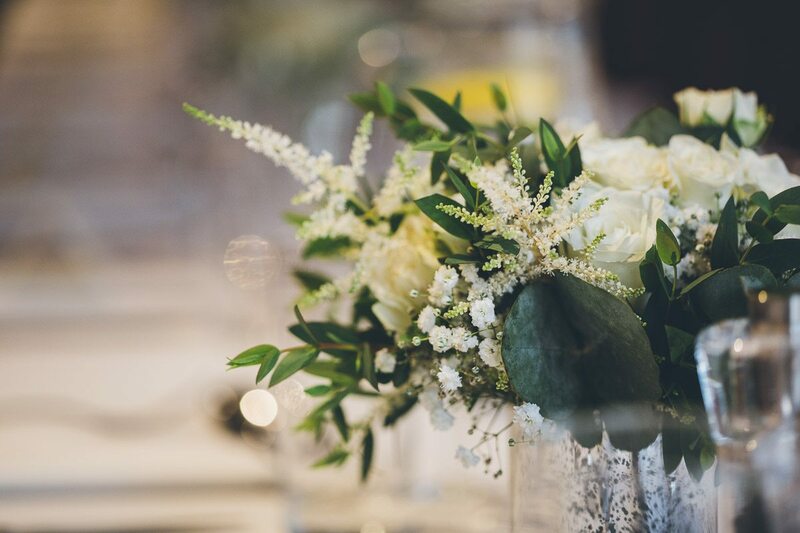 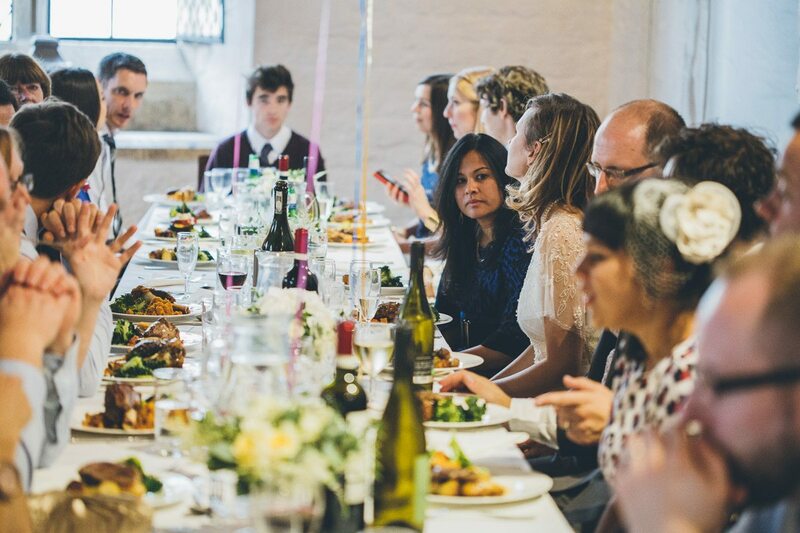 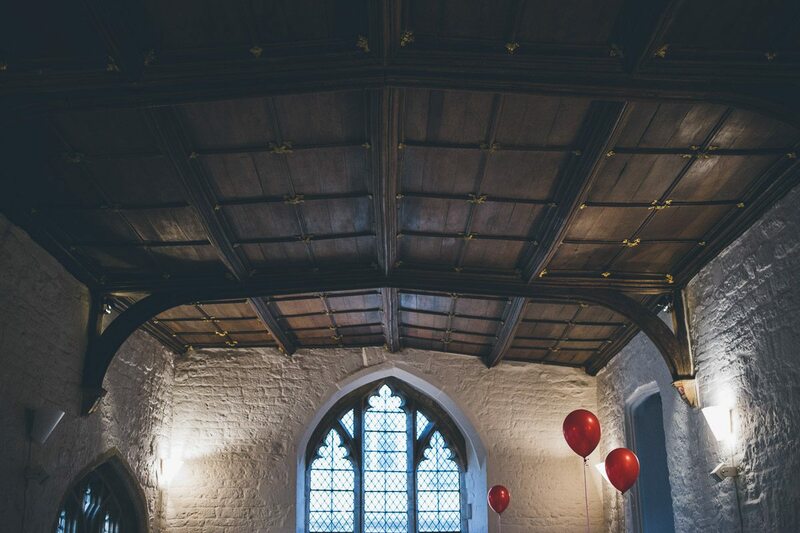 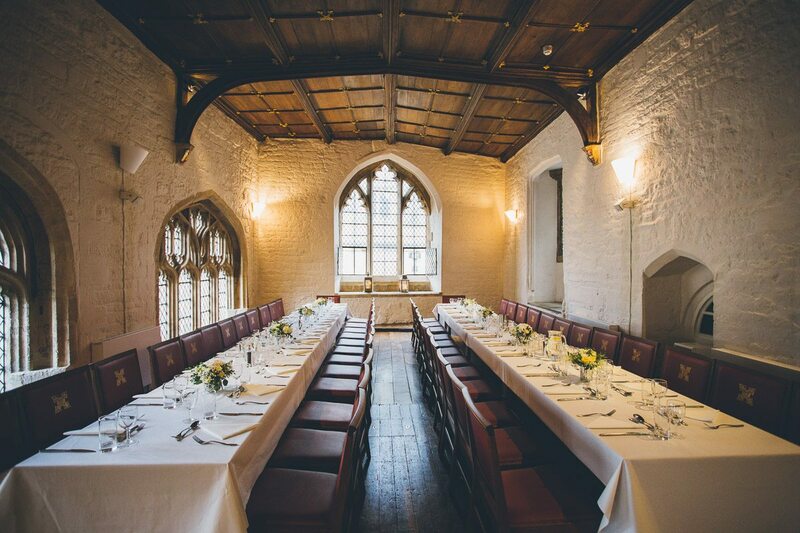 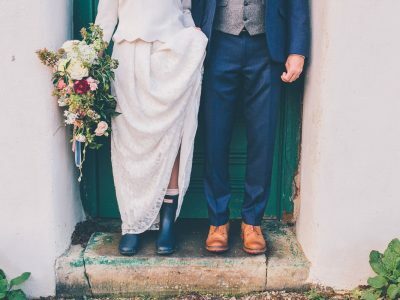 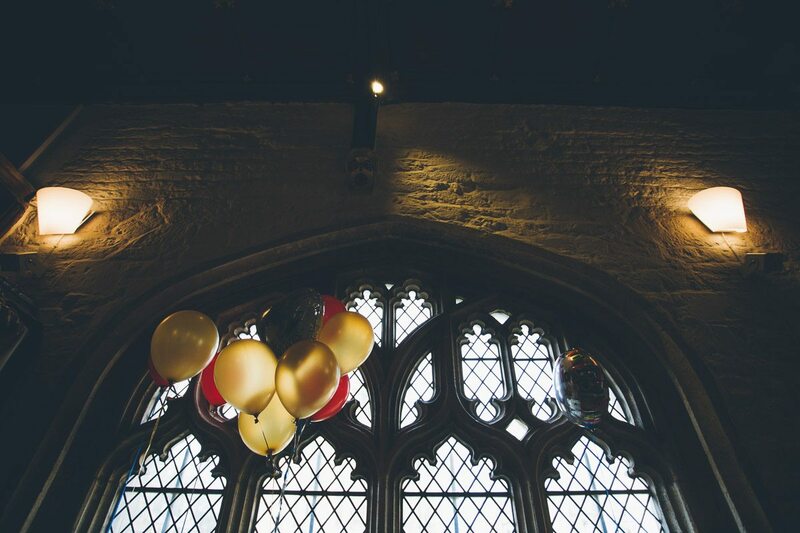 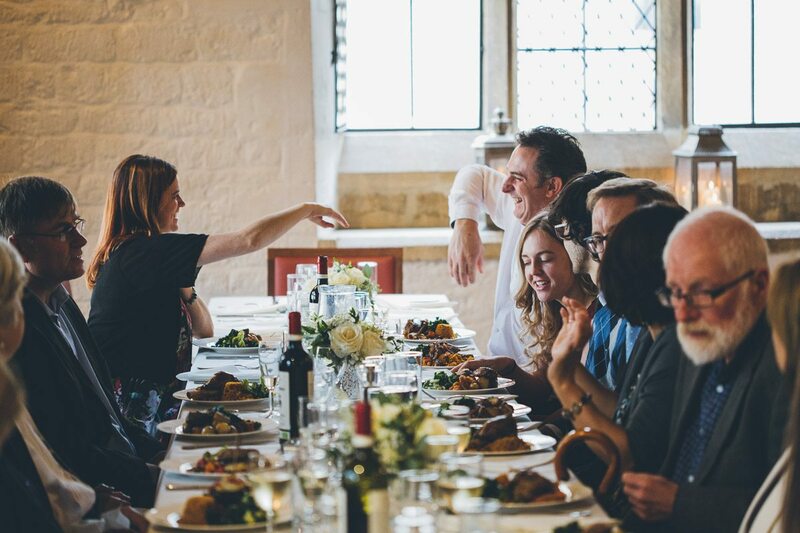 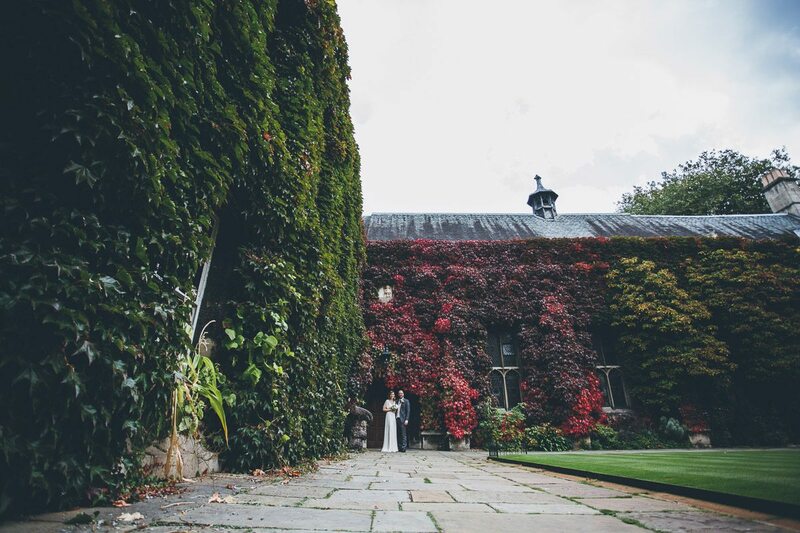 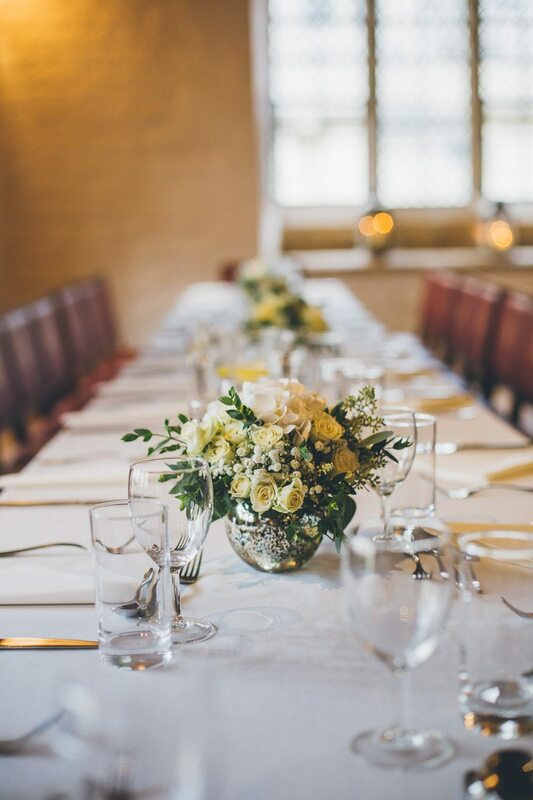 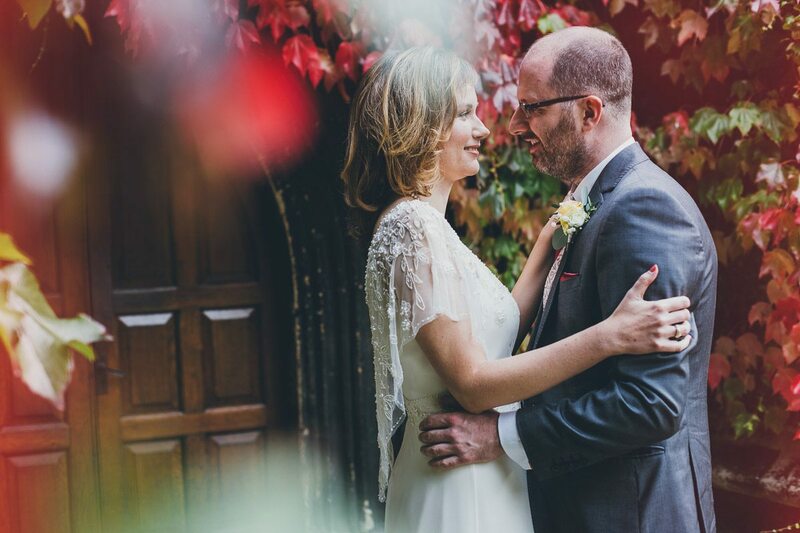 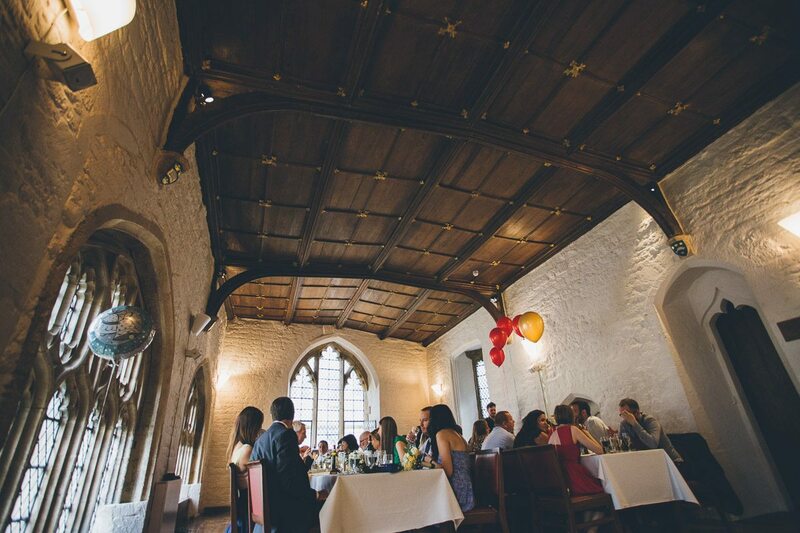 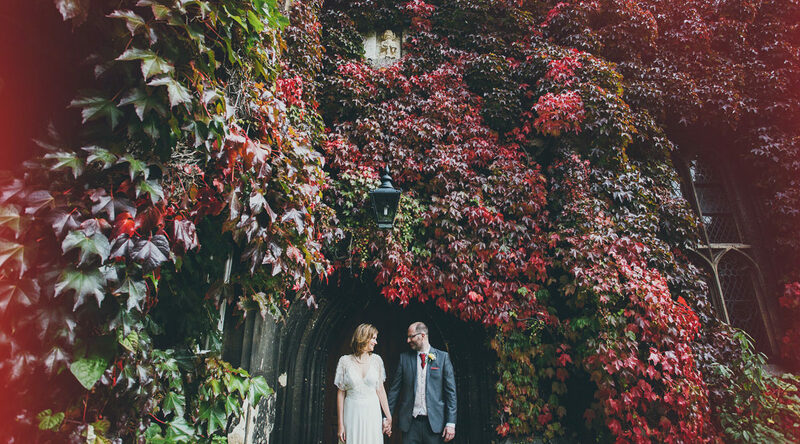 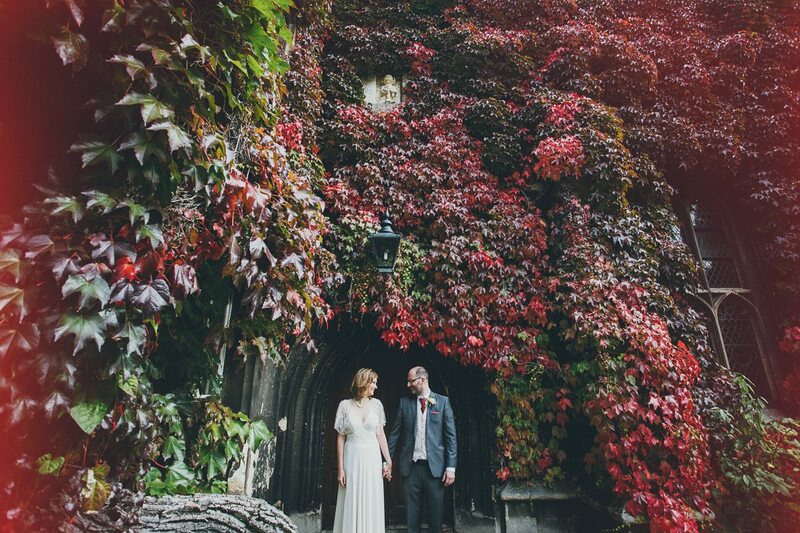 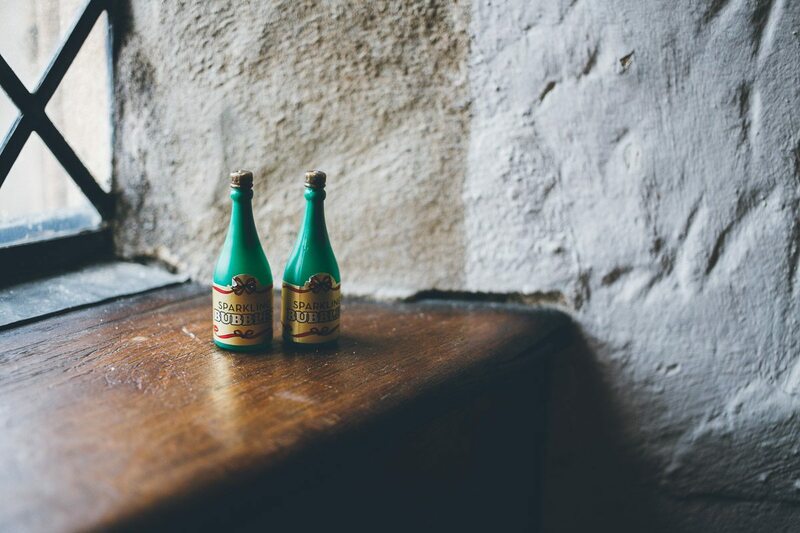 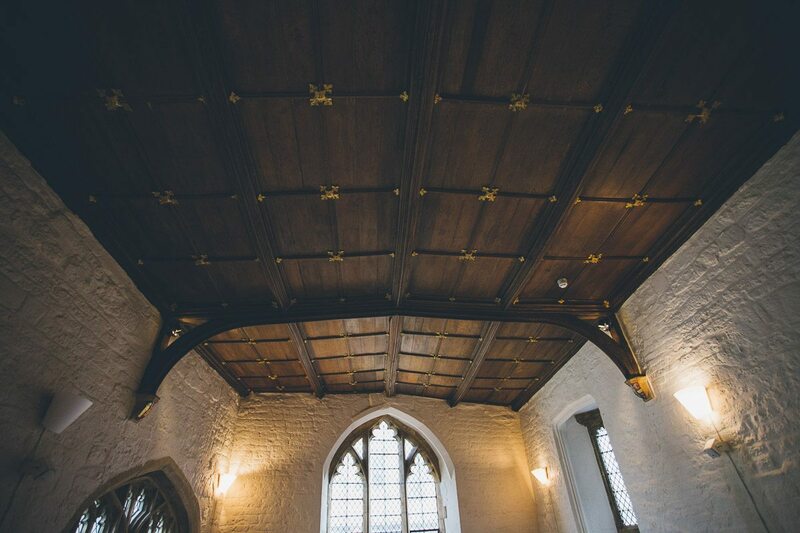 to a secret location, a building dating from 1320 with a vaulted ceiling and a kitchen that serves the most wonderful wedding breakfast. 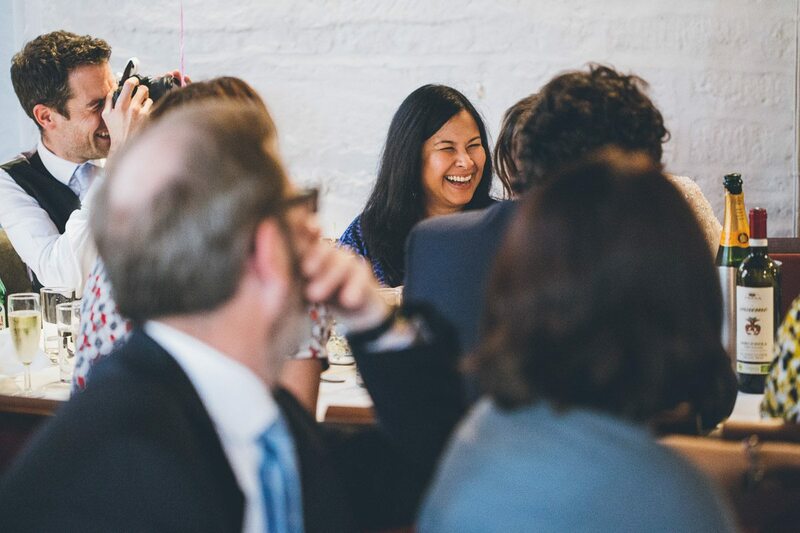 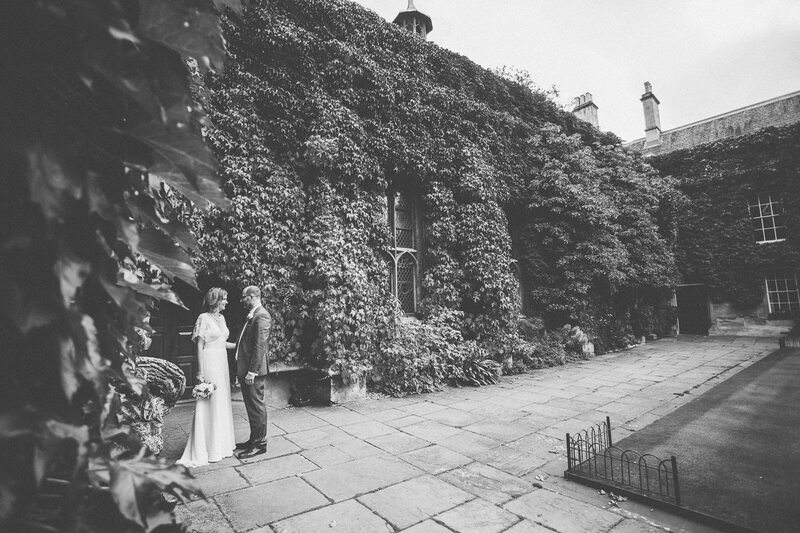 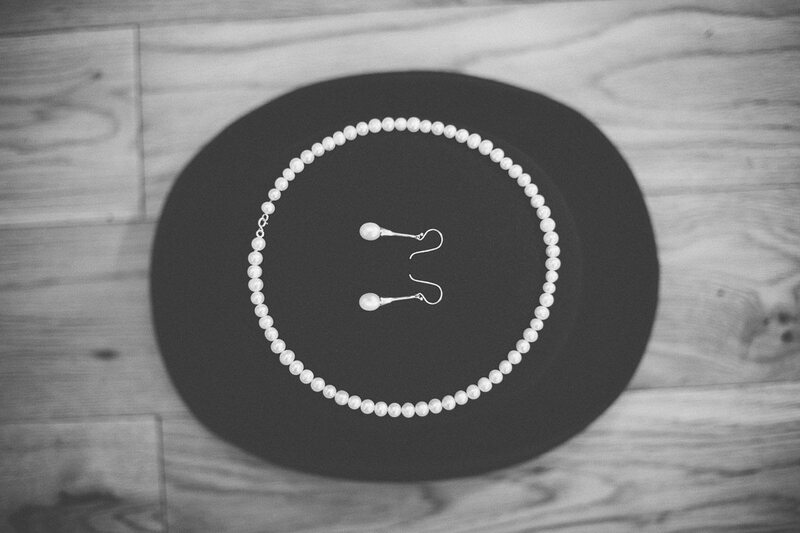 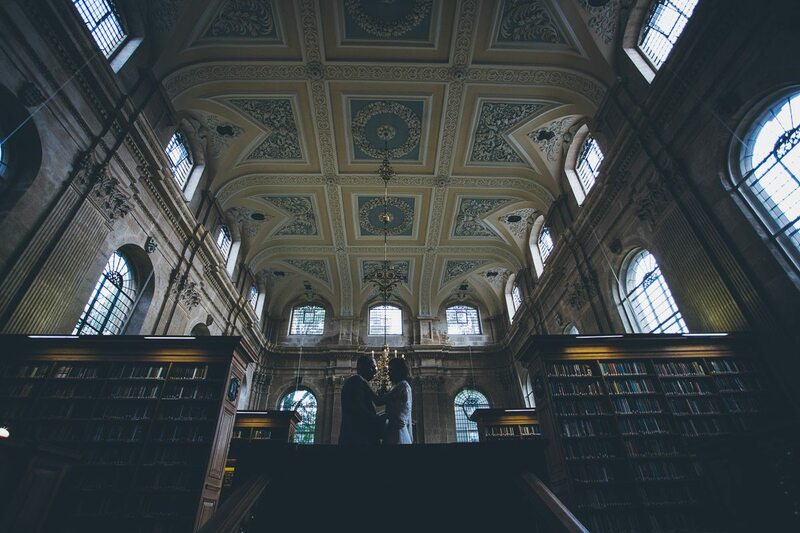 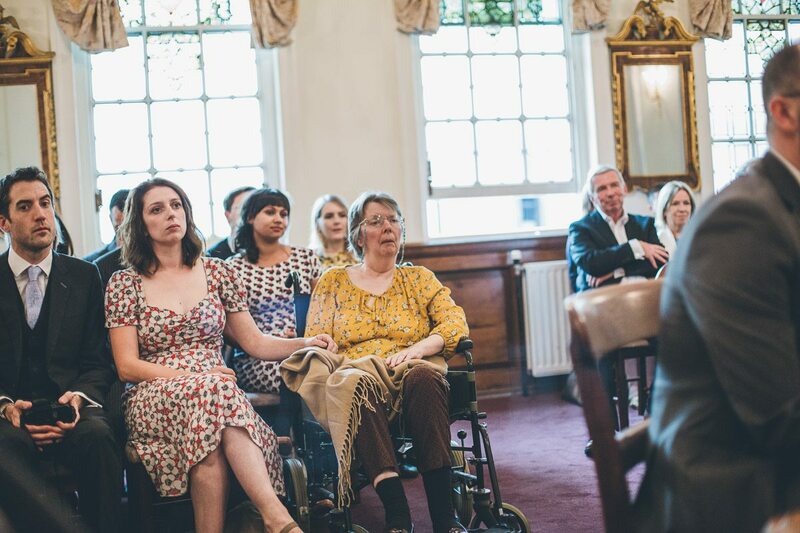 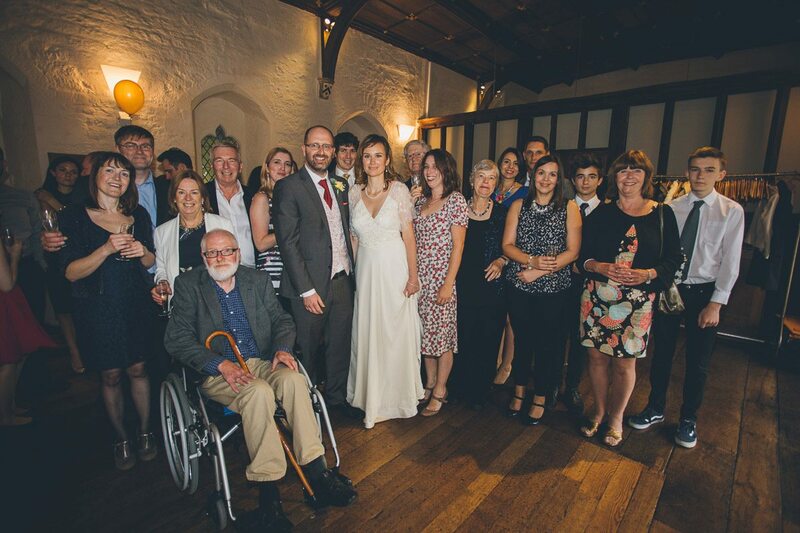 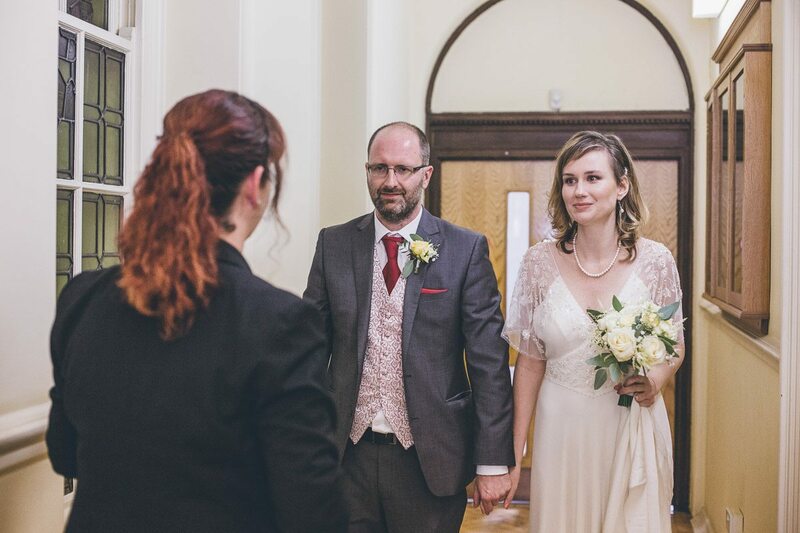 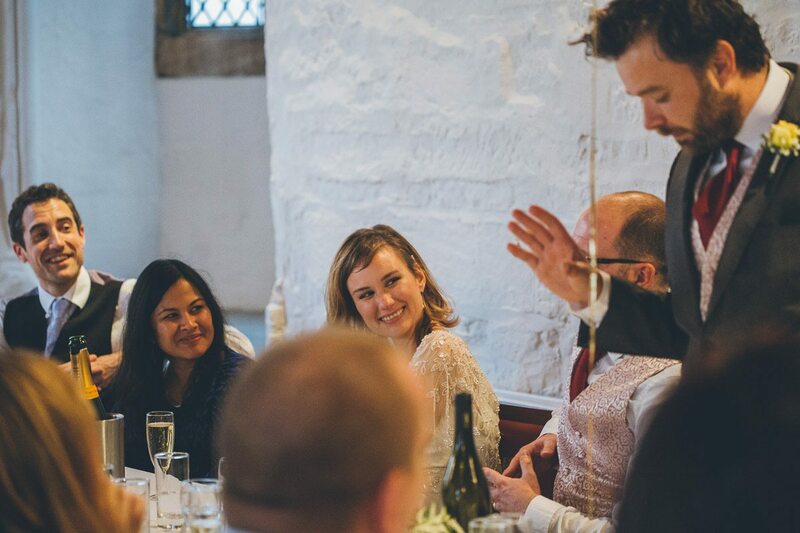 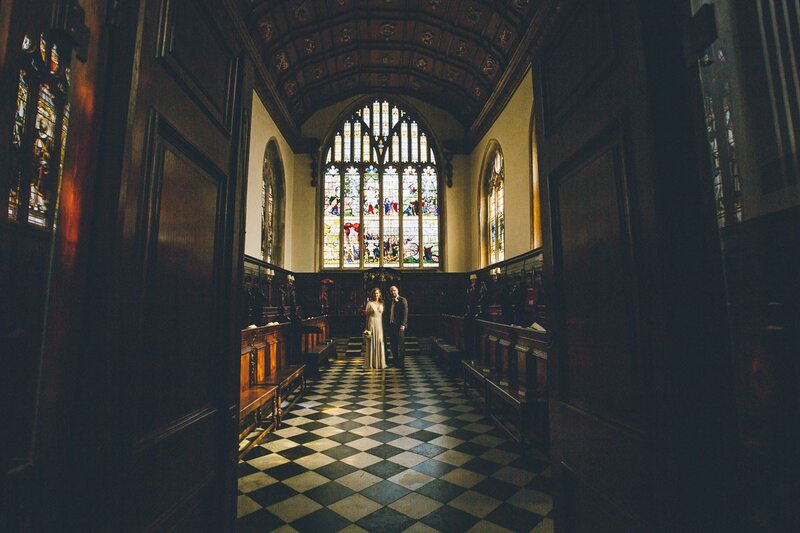 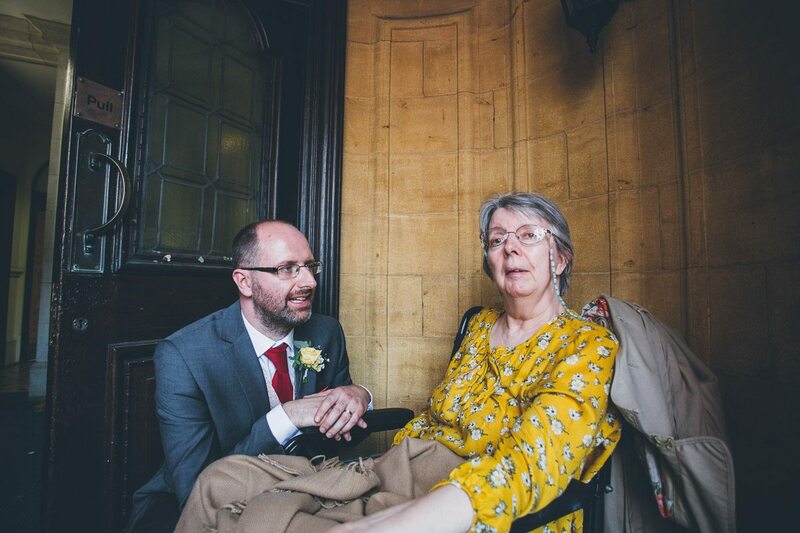 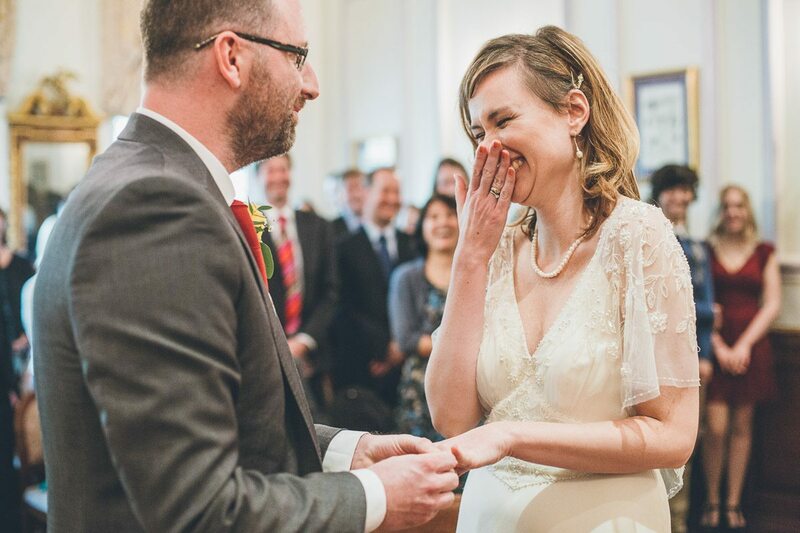 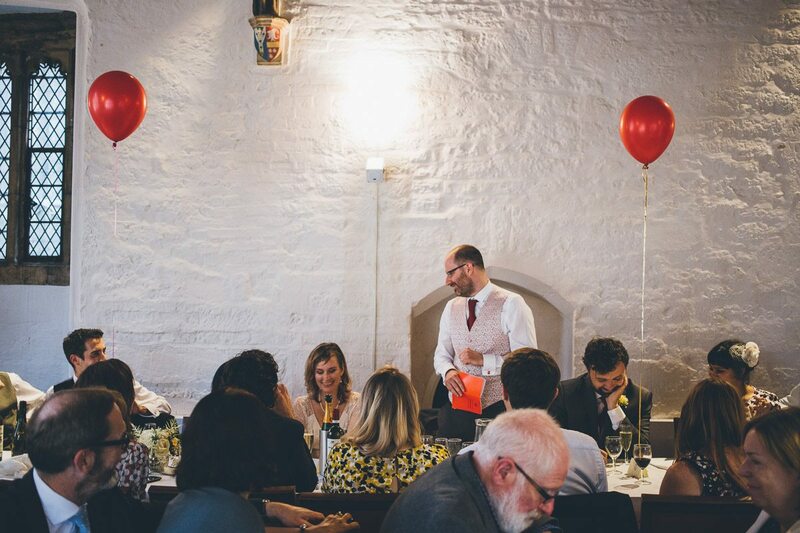 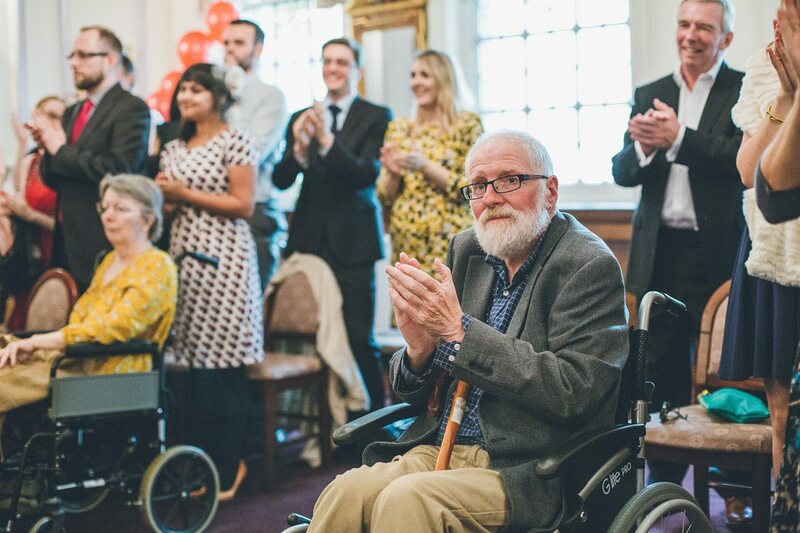 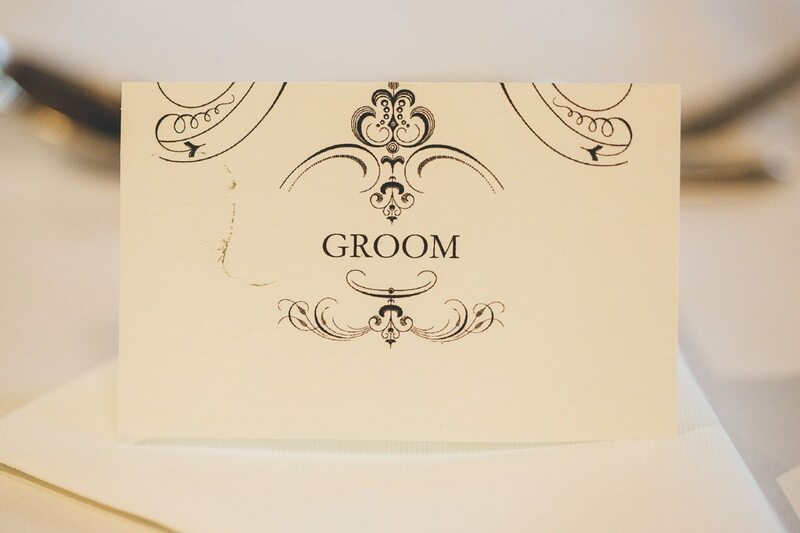 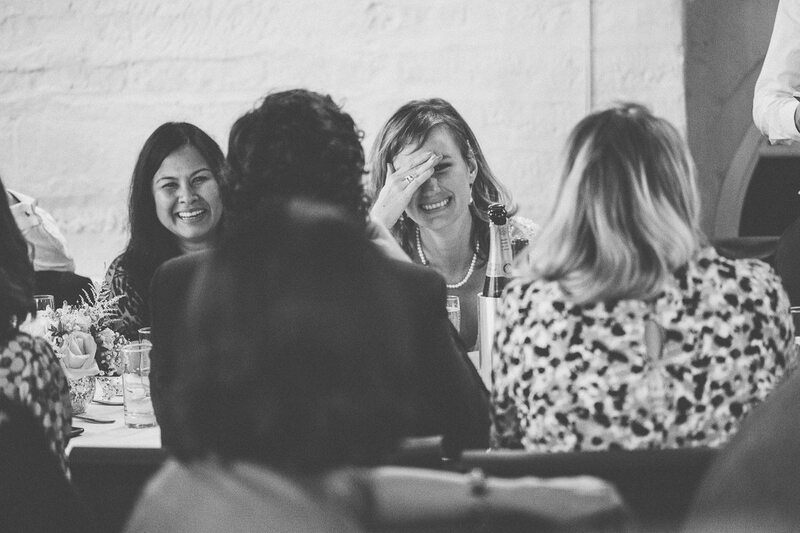 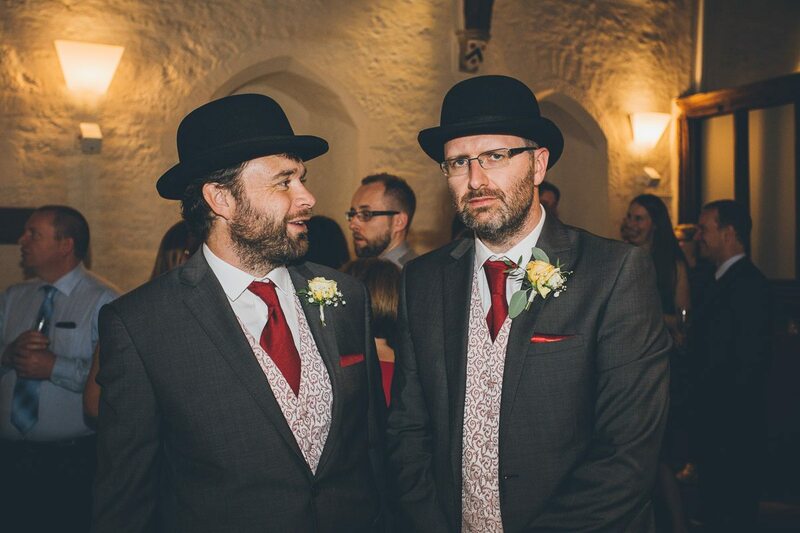 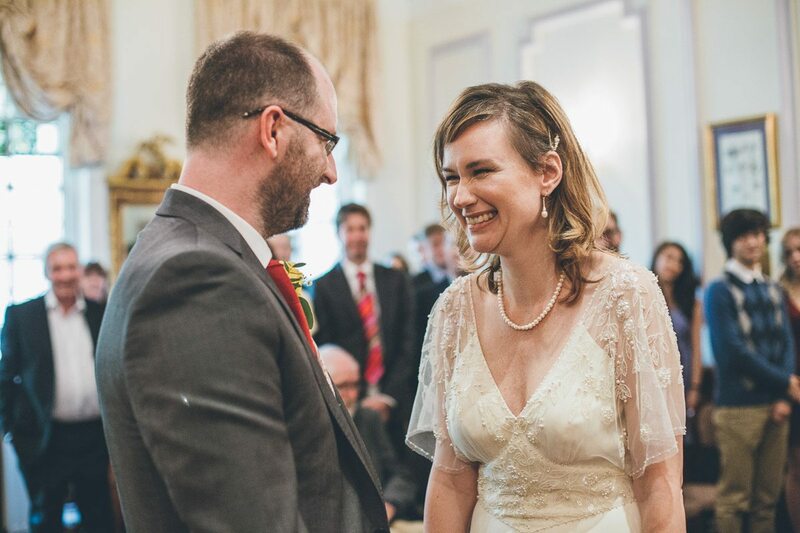 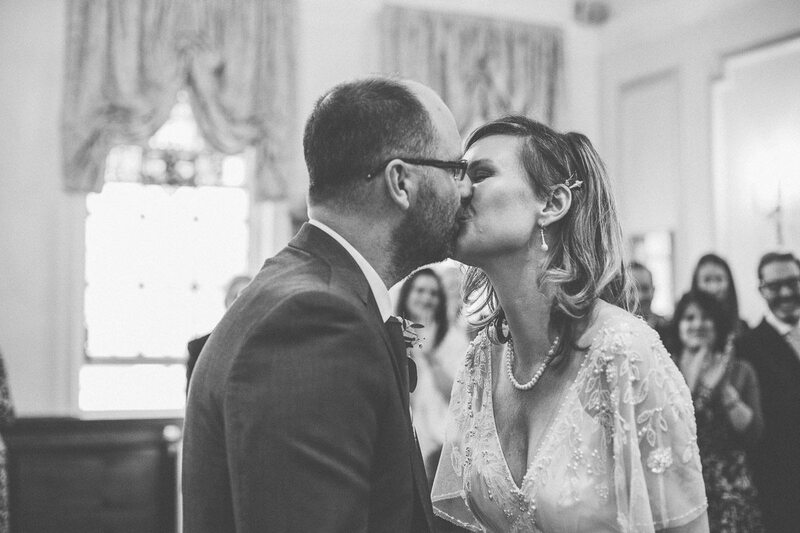 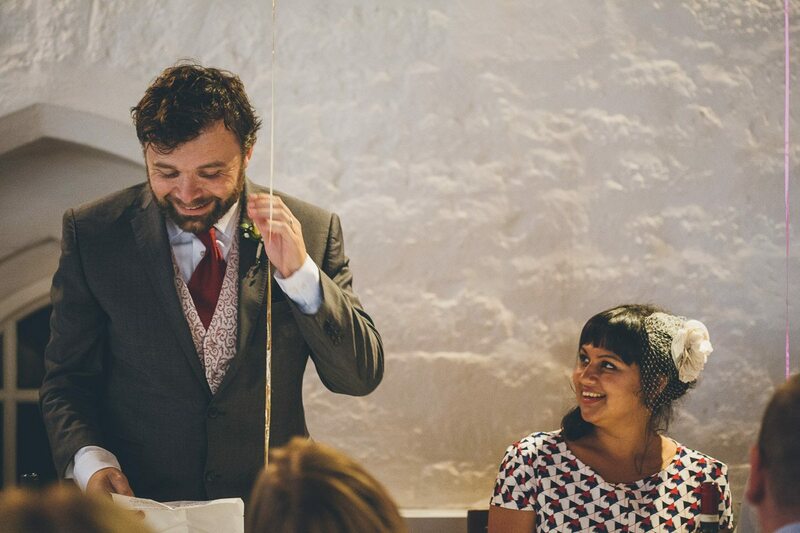 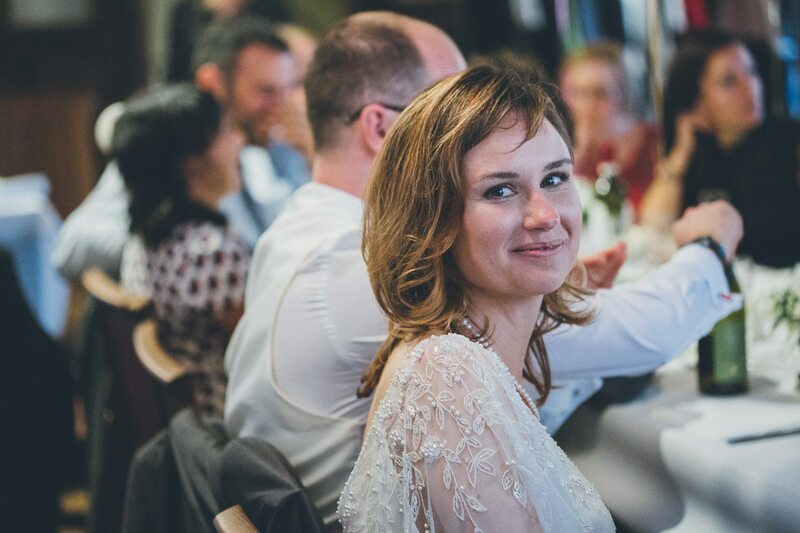 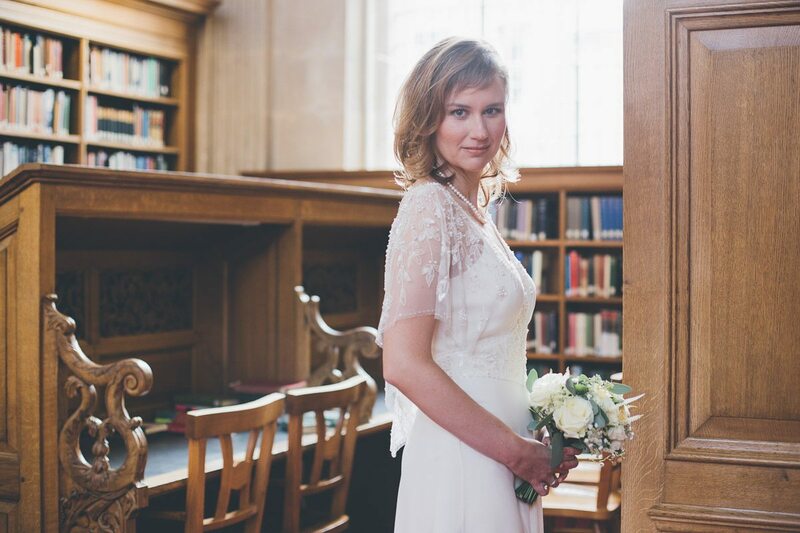 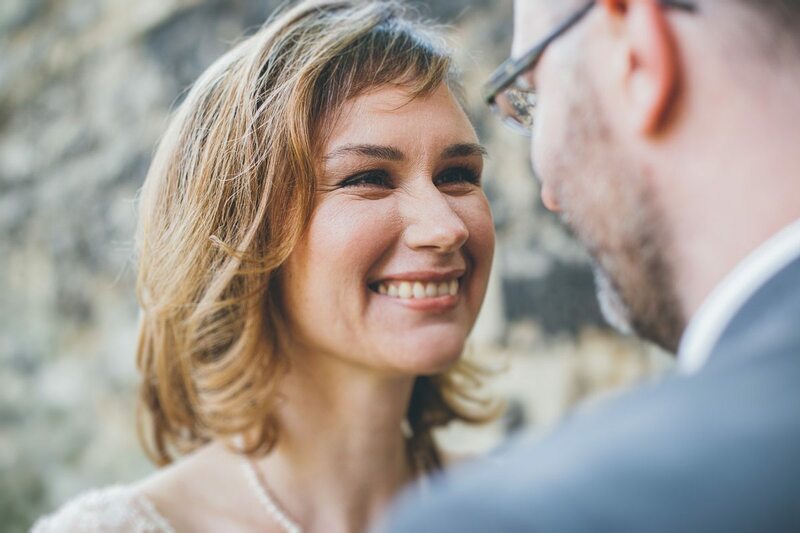 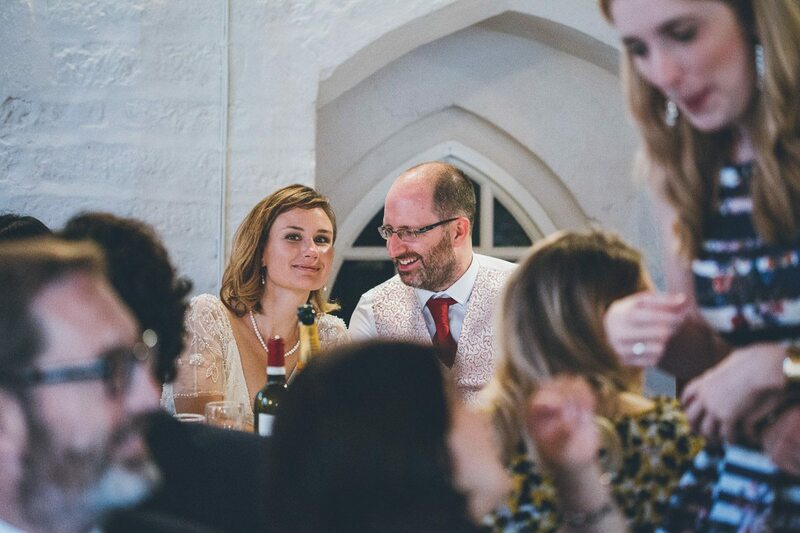 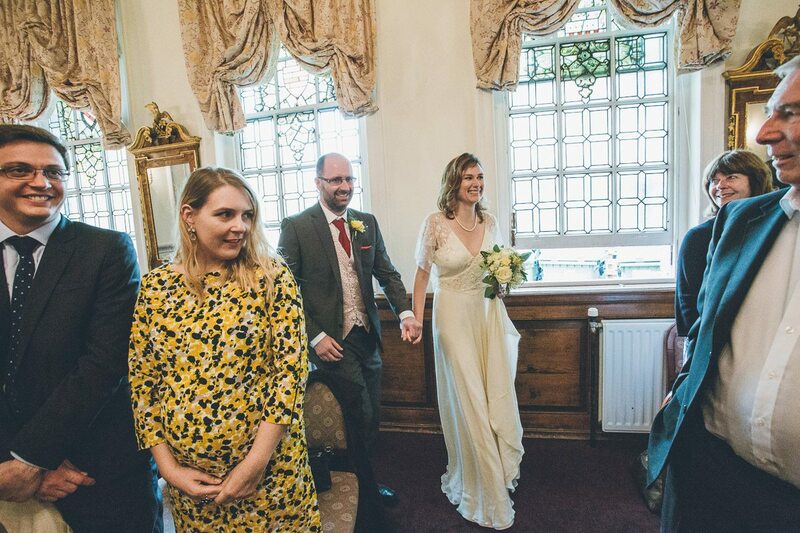 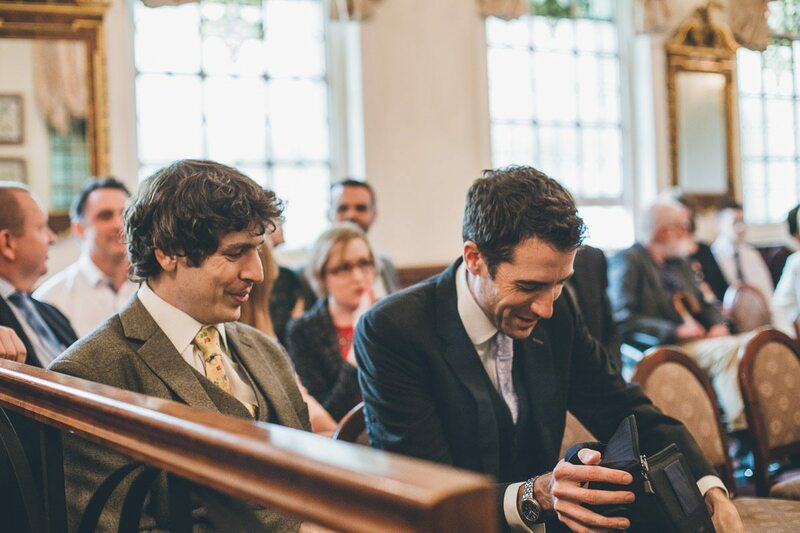 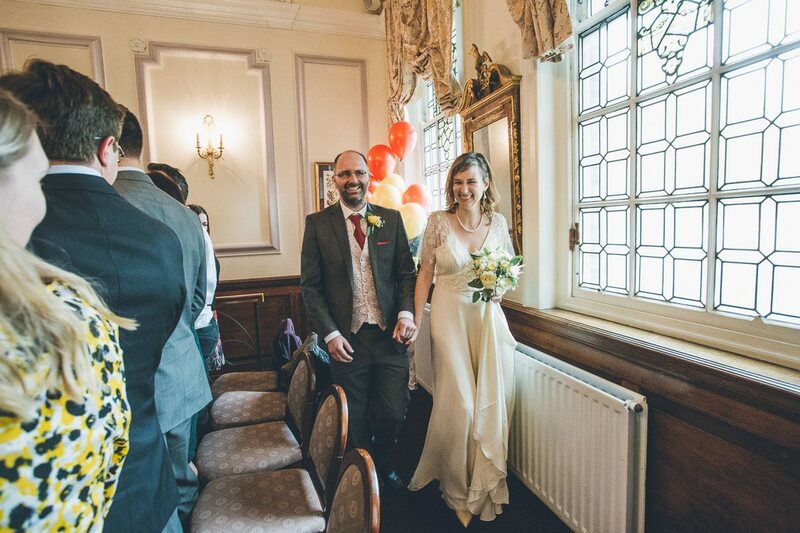 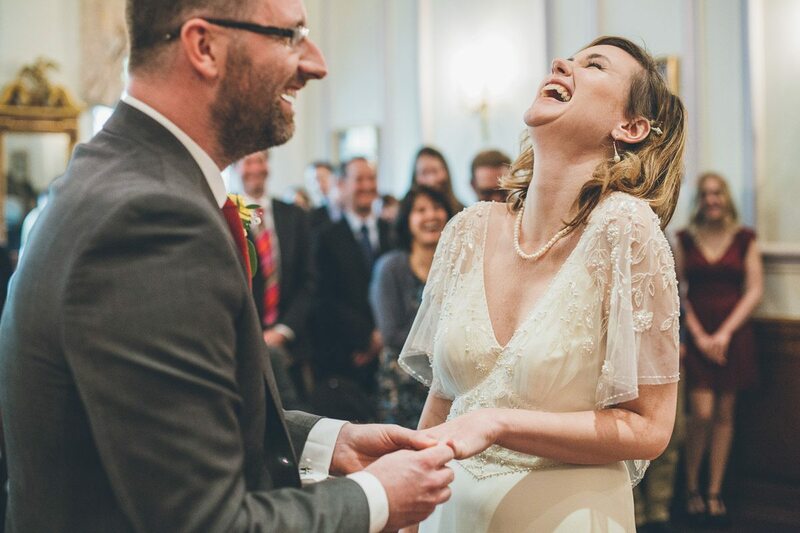 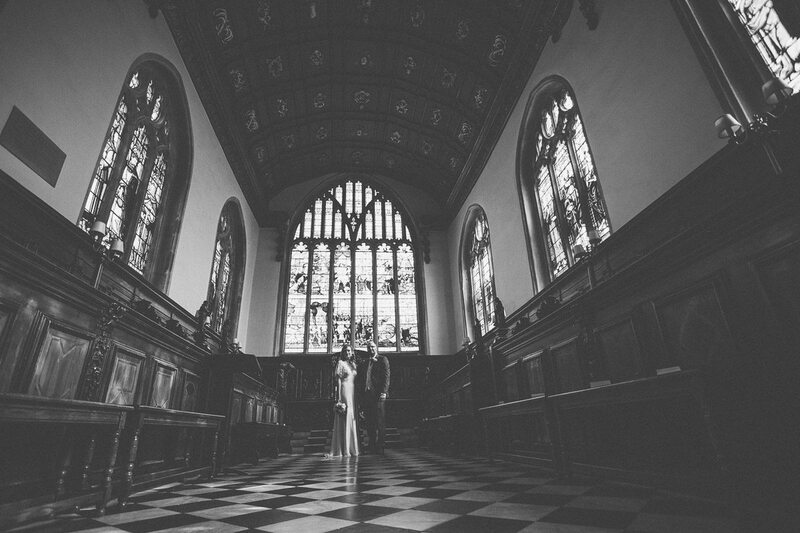 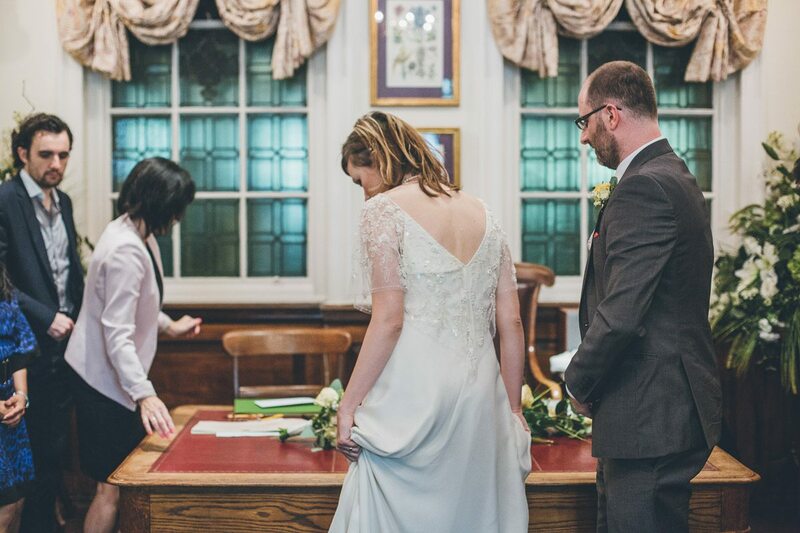 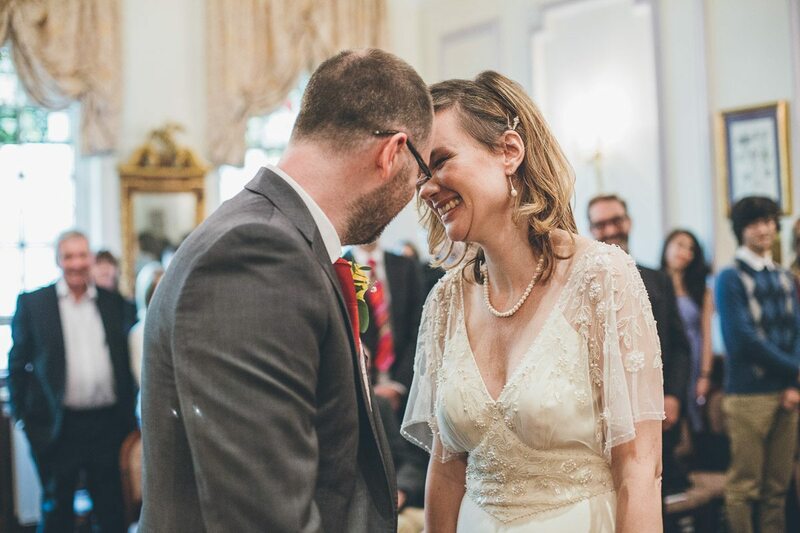 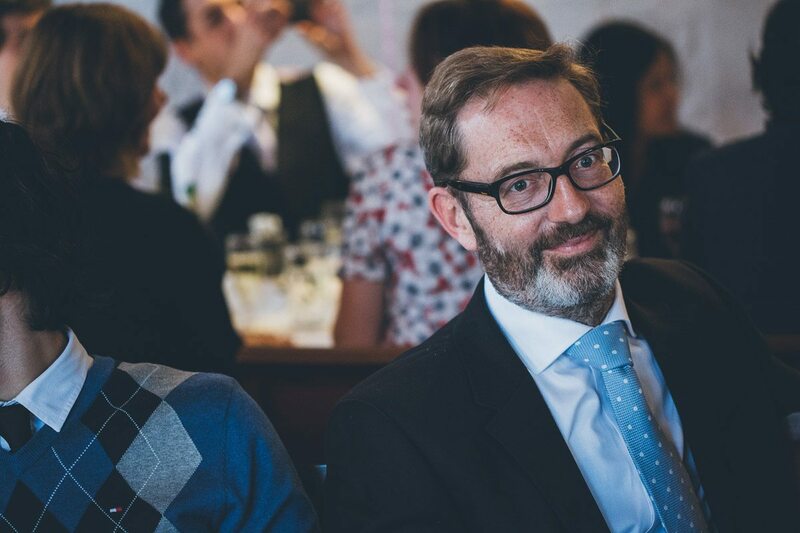 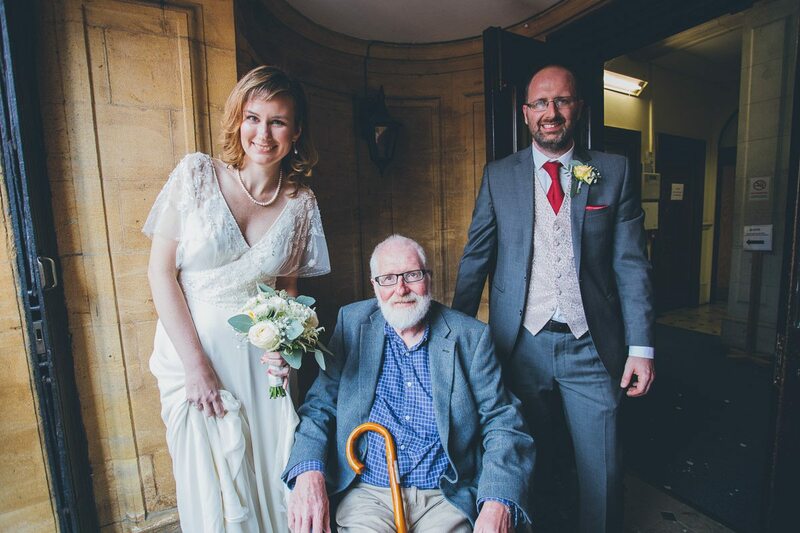 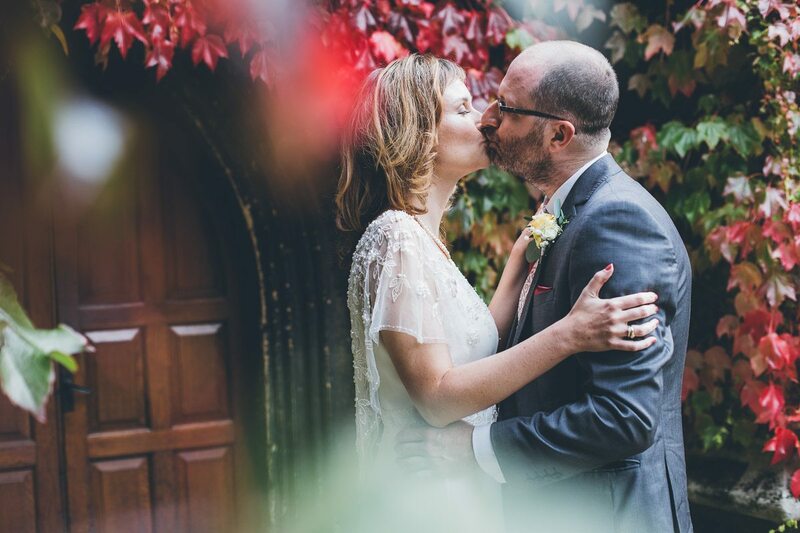 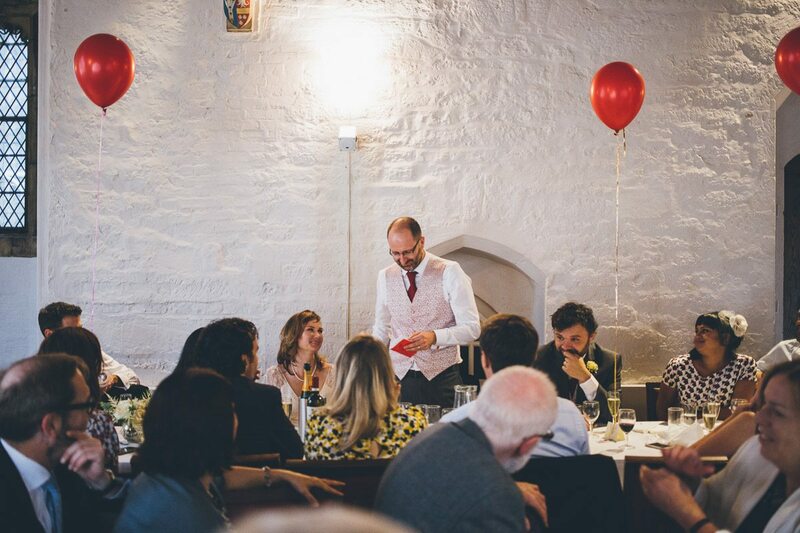 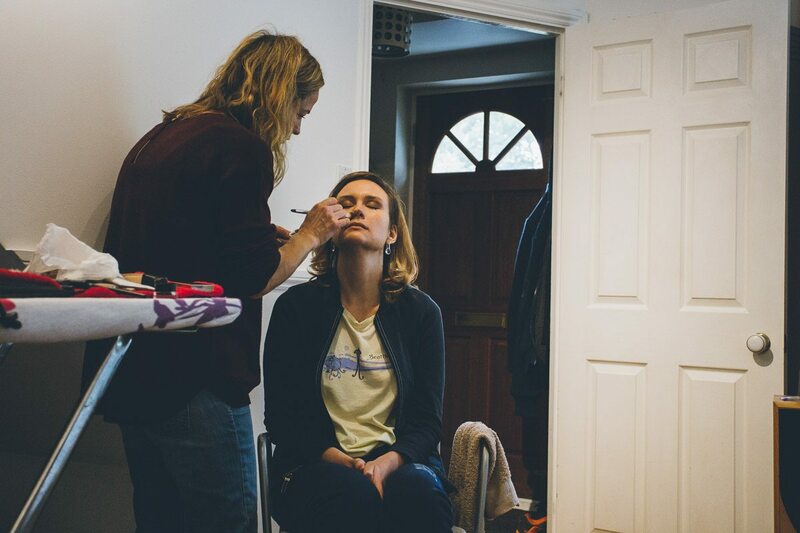 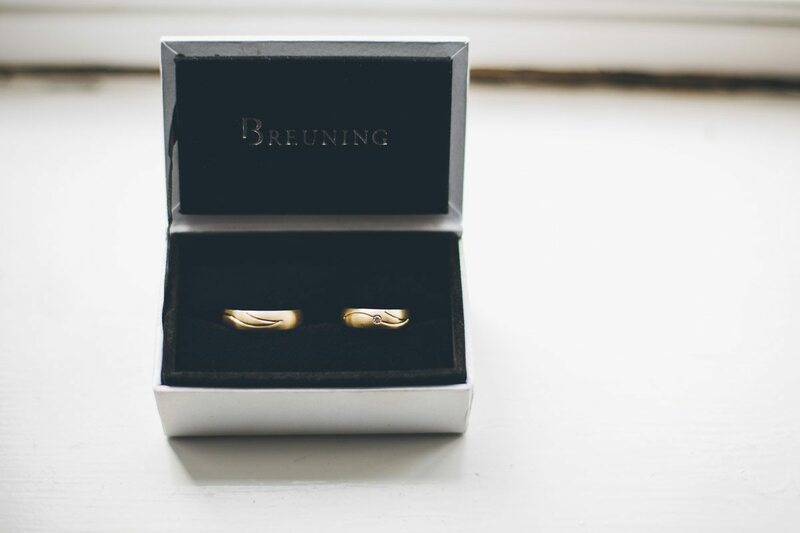 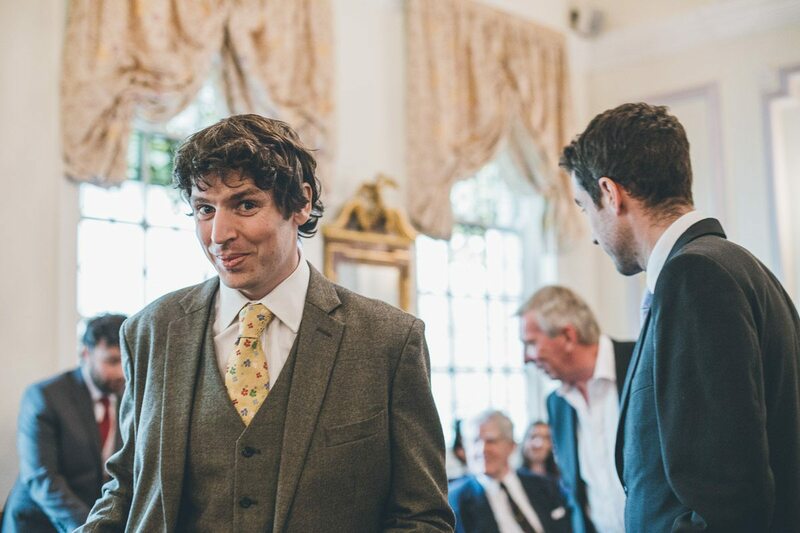 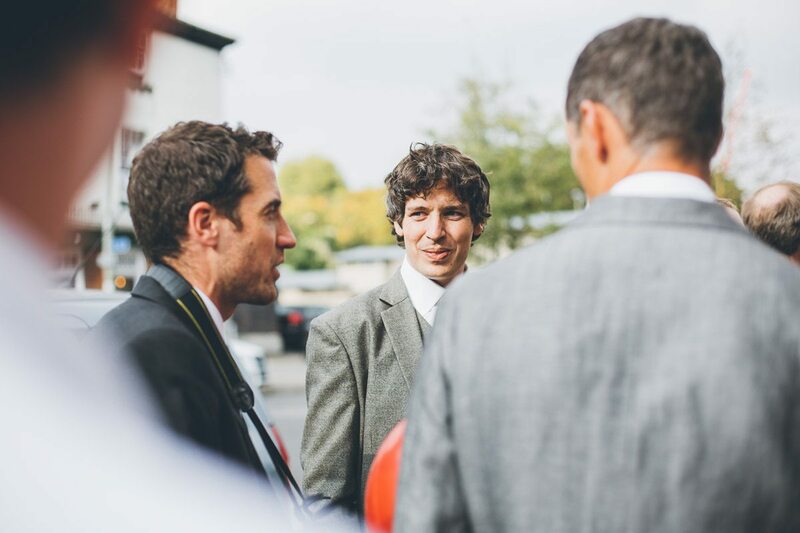 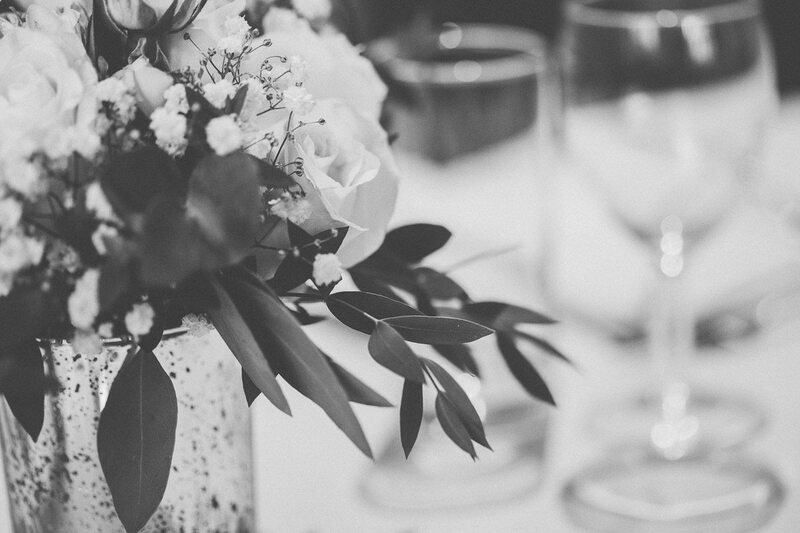 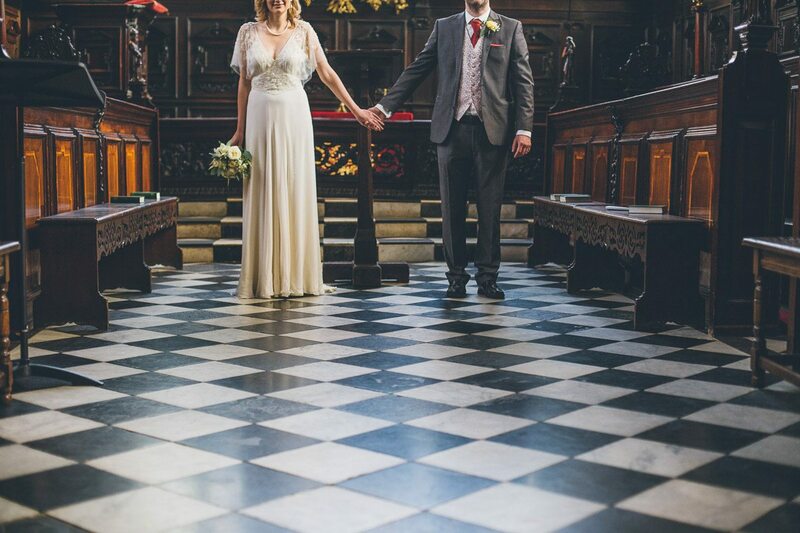 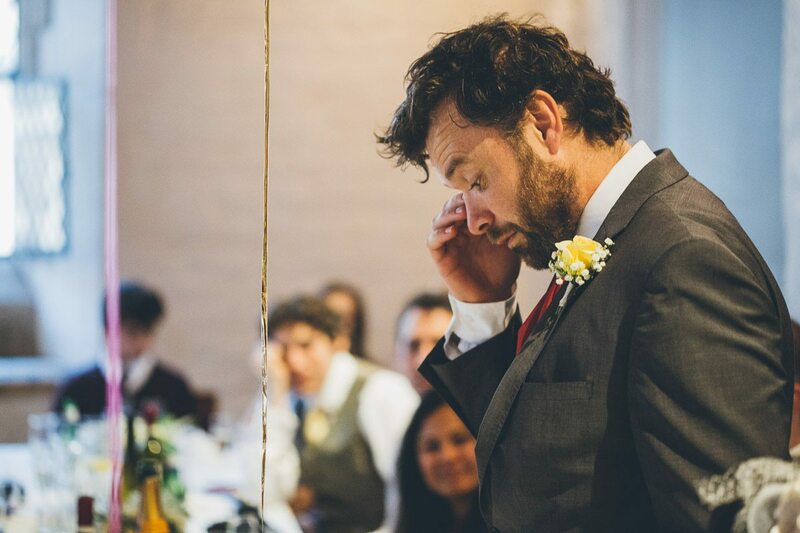 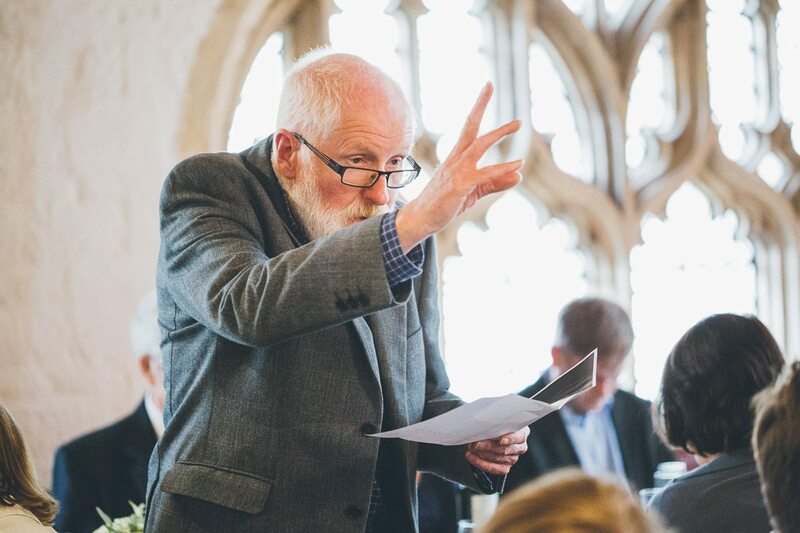 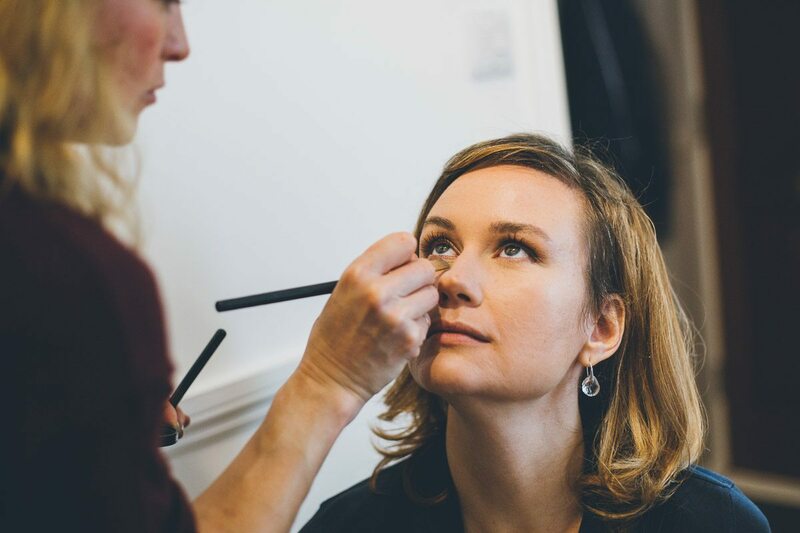 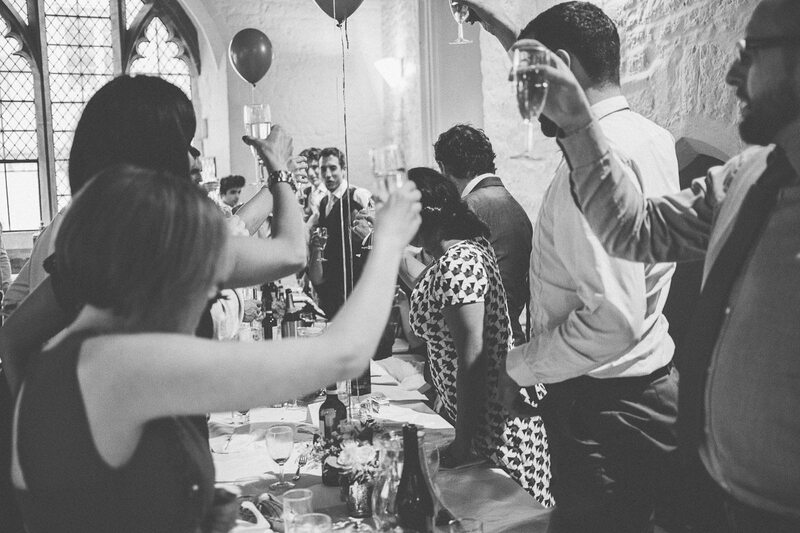 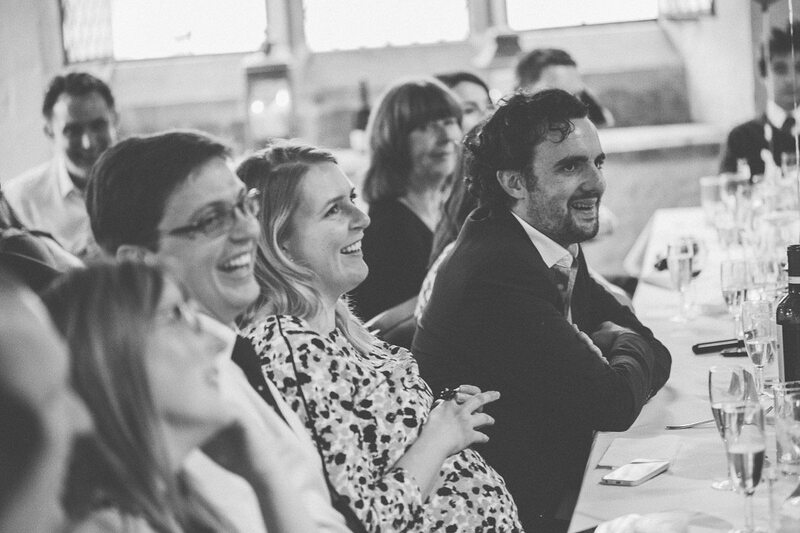 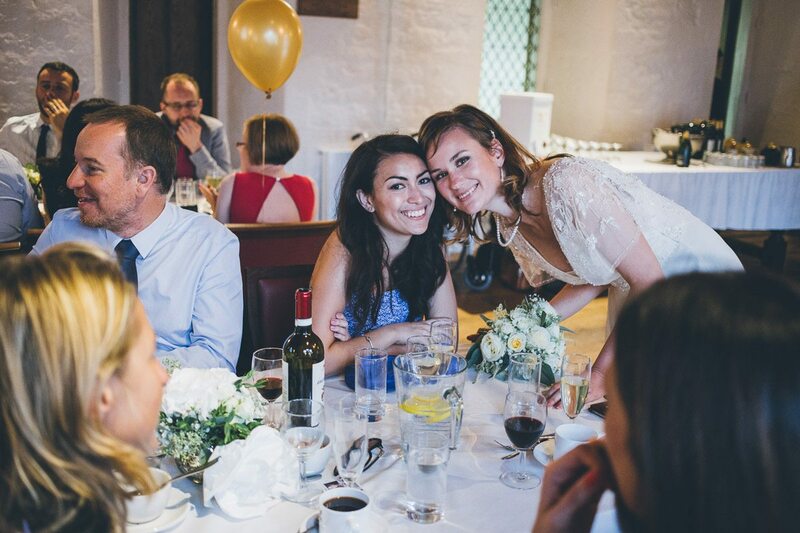 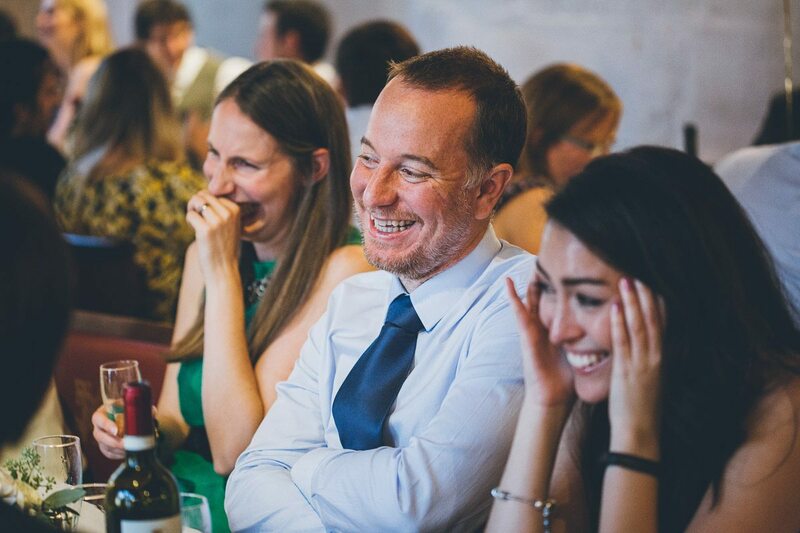 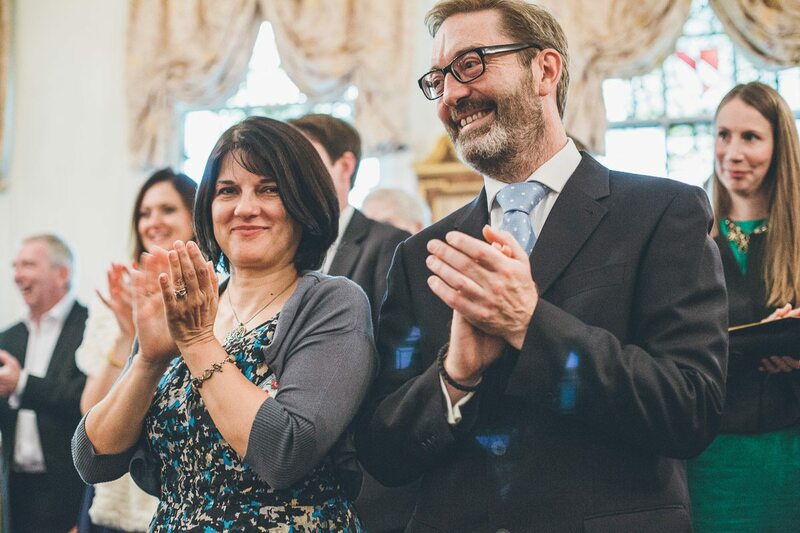 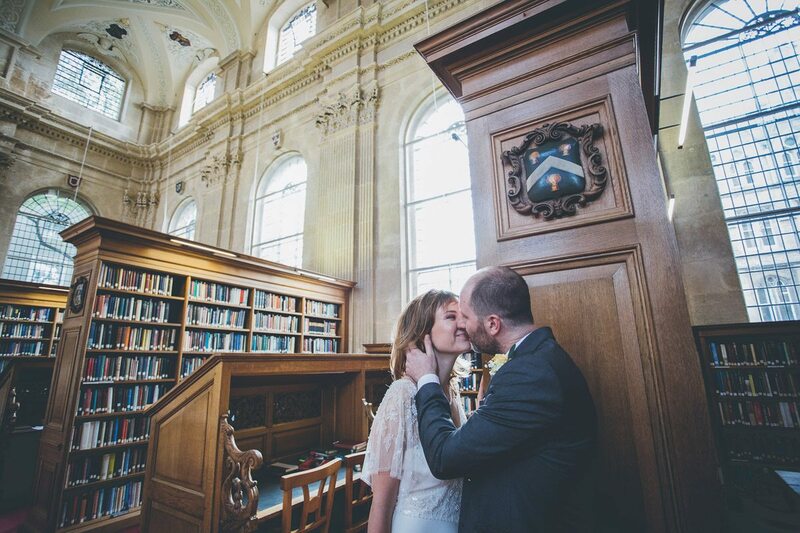 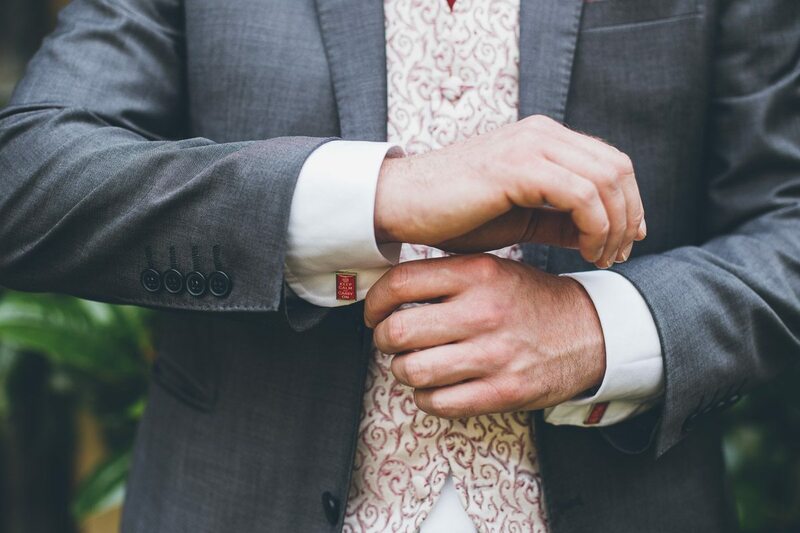 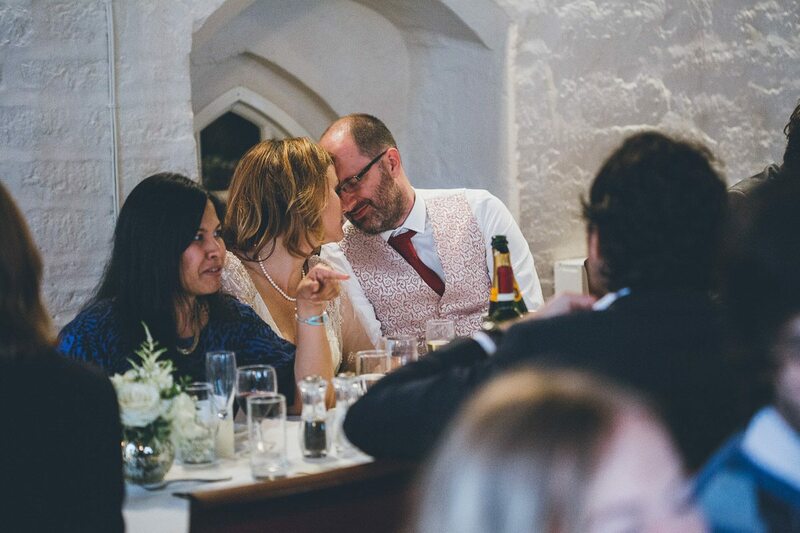 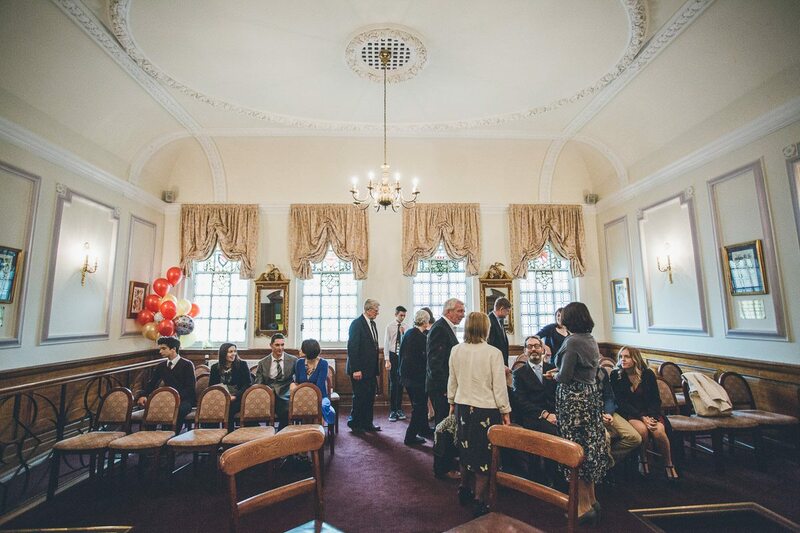 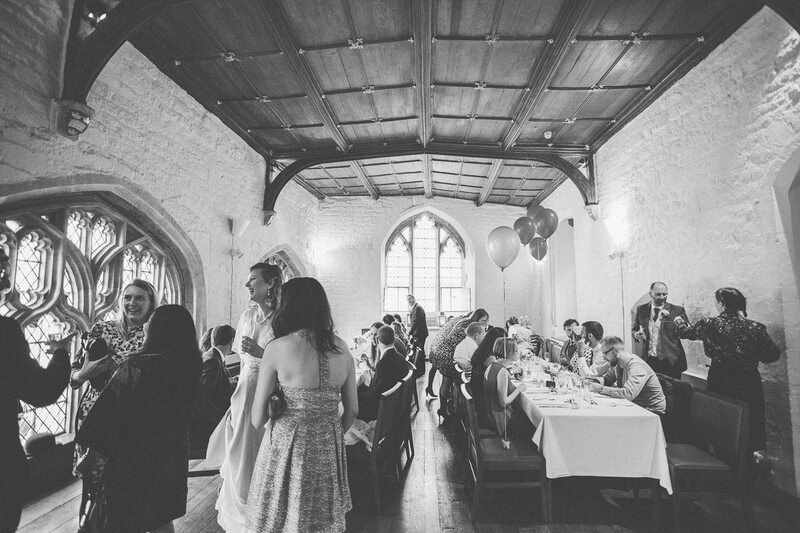 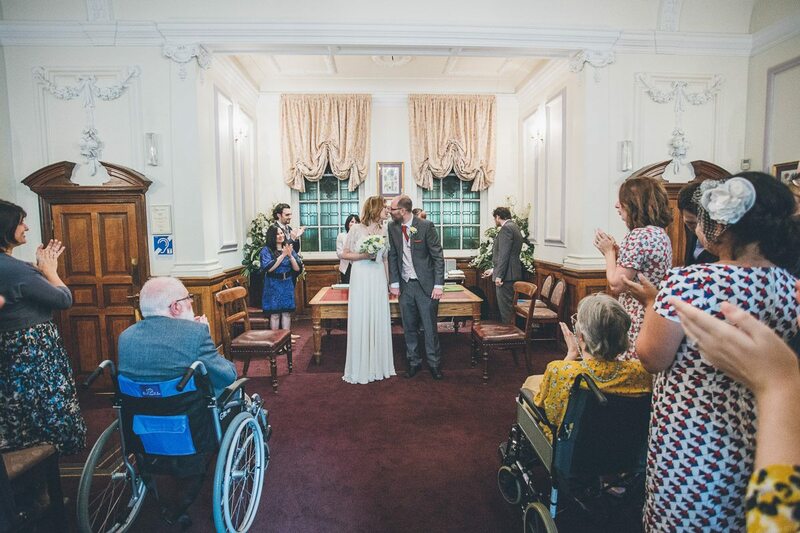 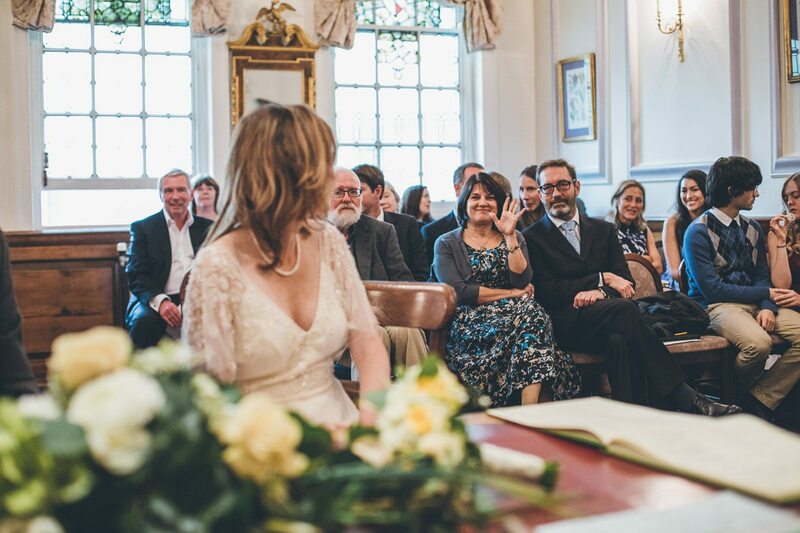 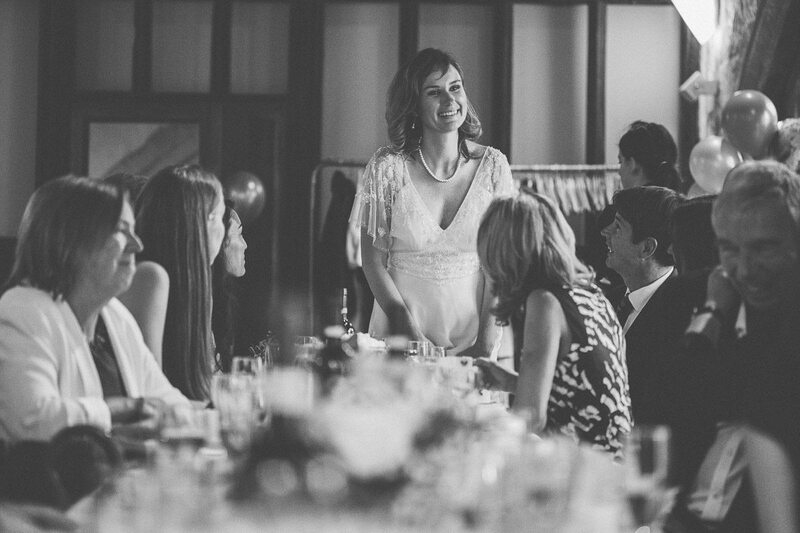 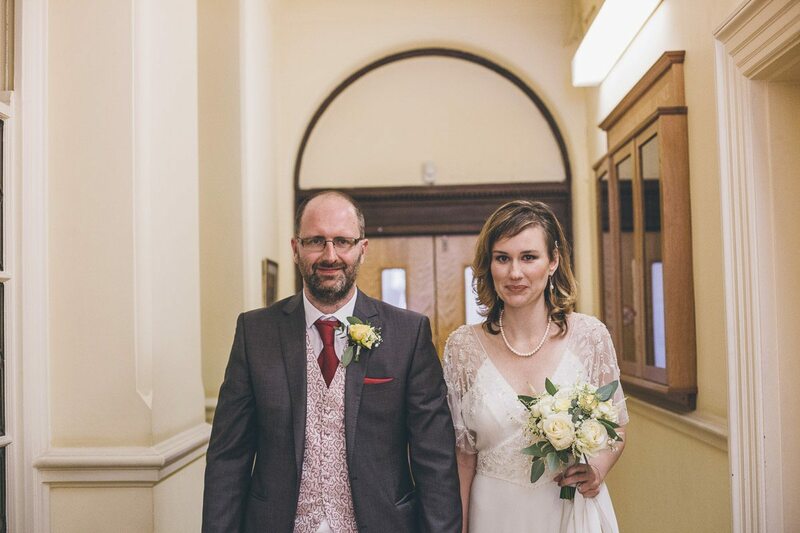 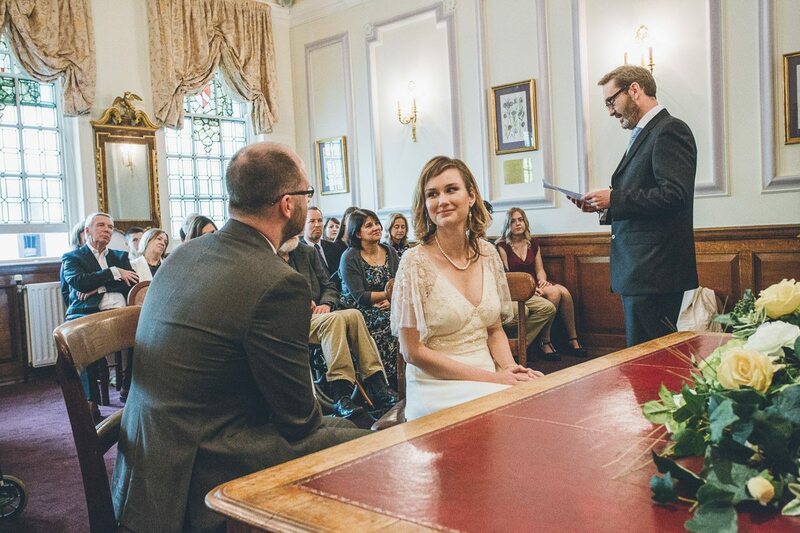 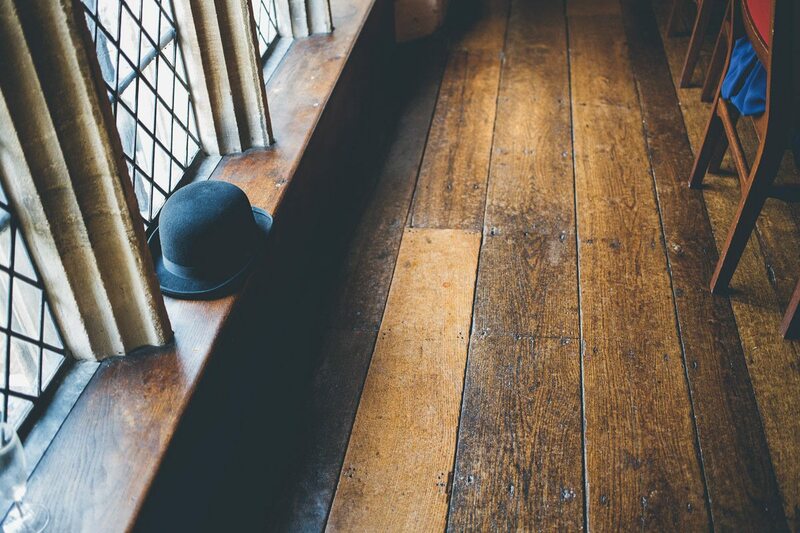 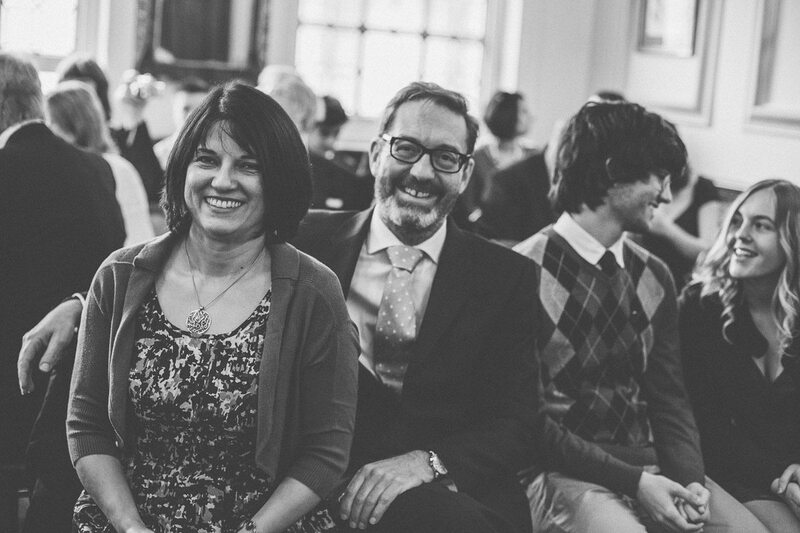 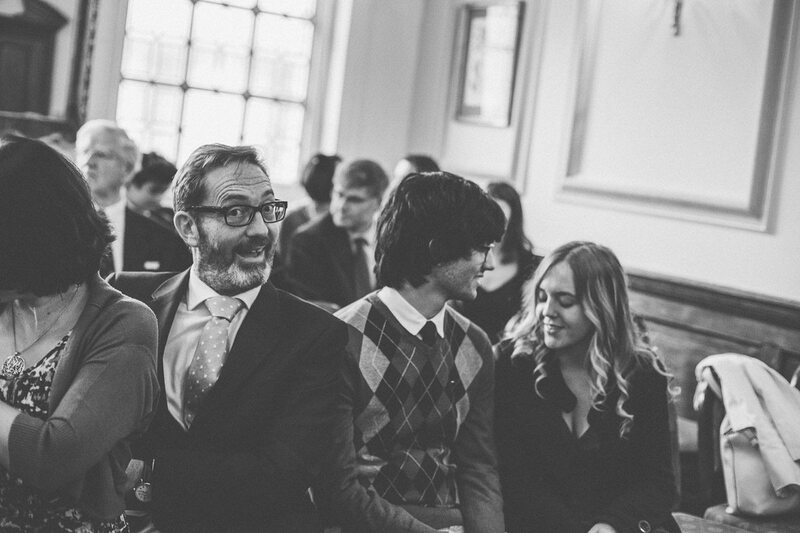 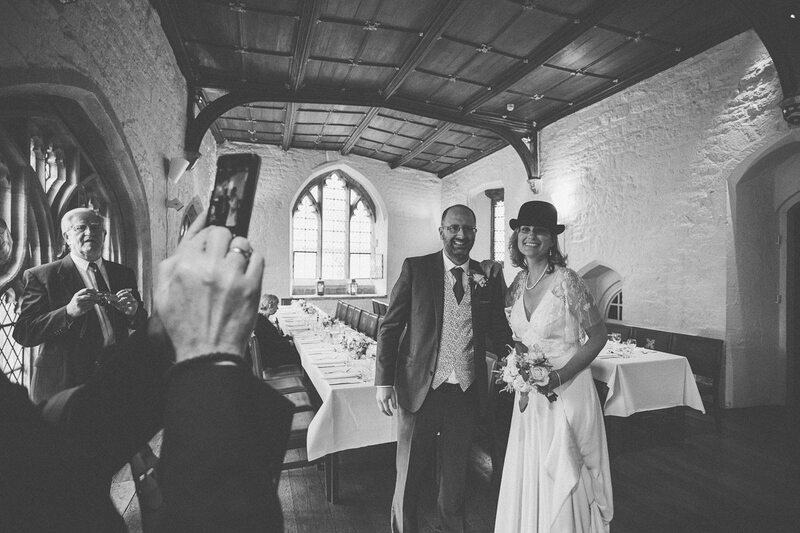 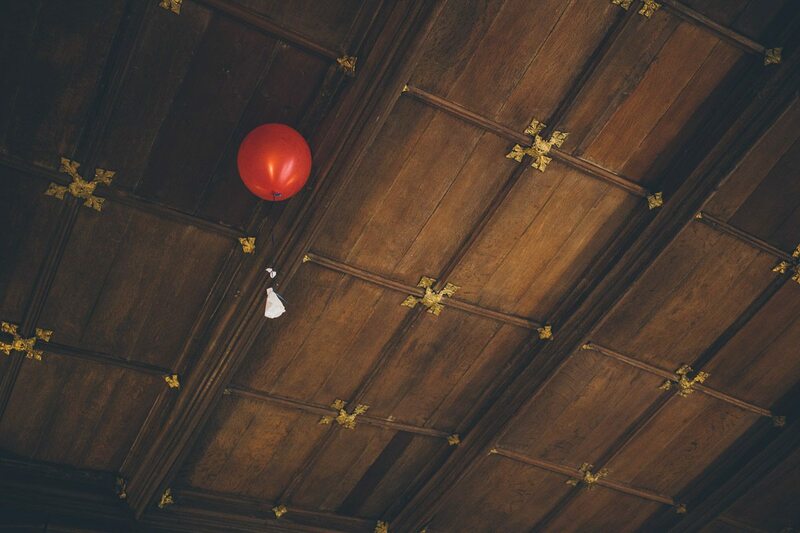 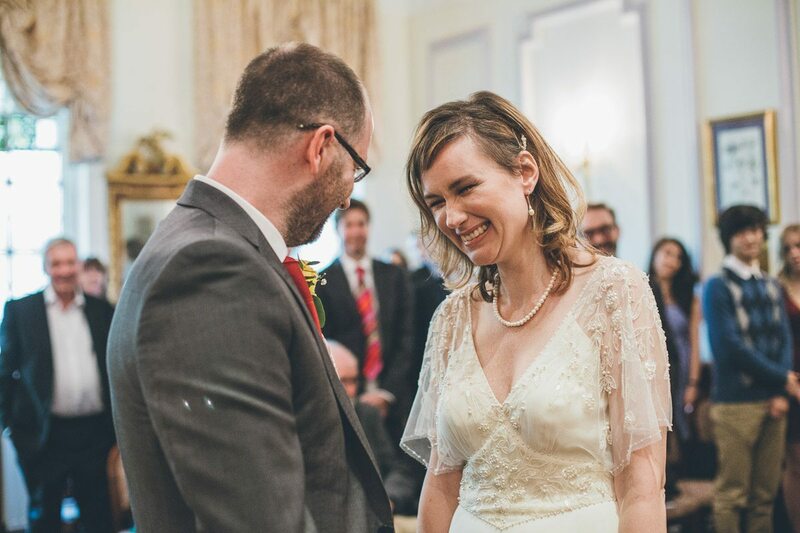 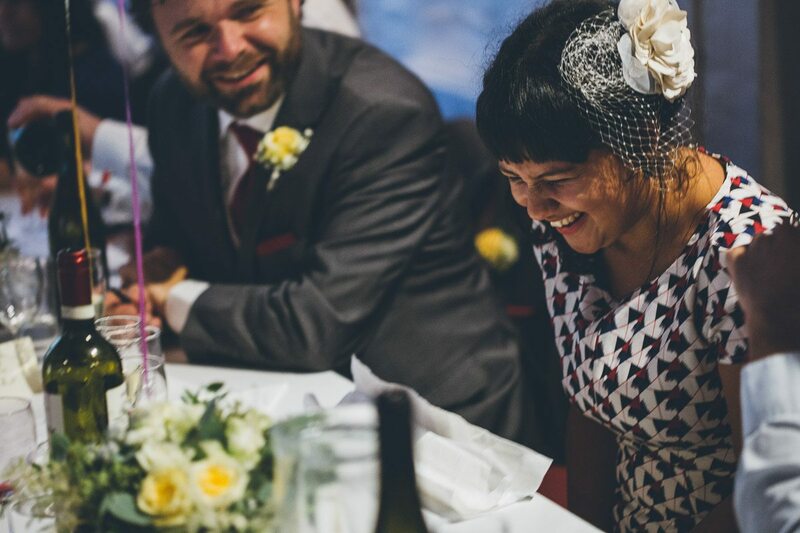 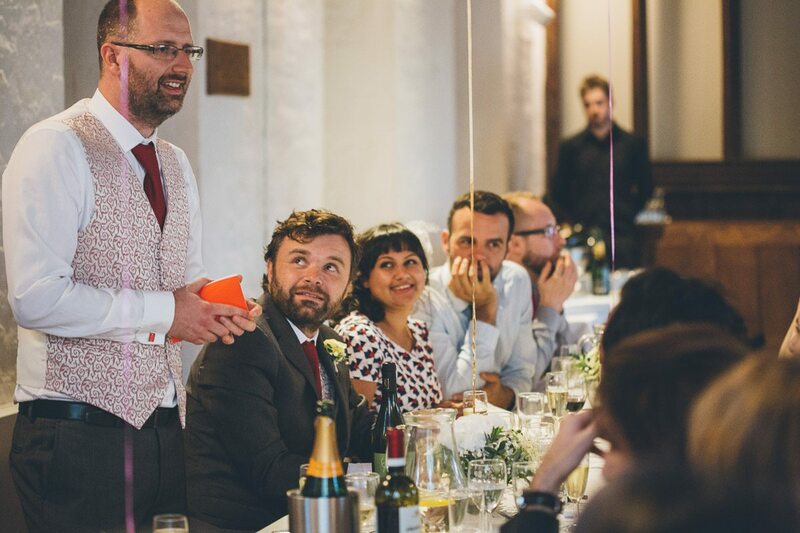 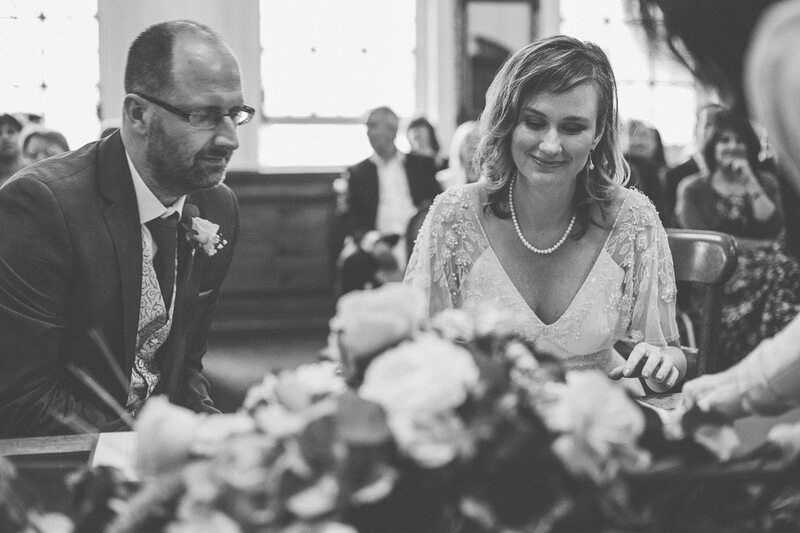 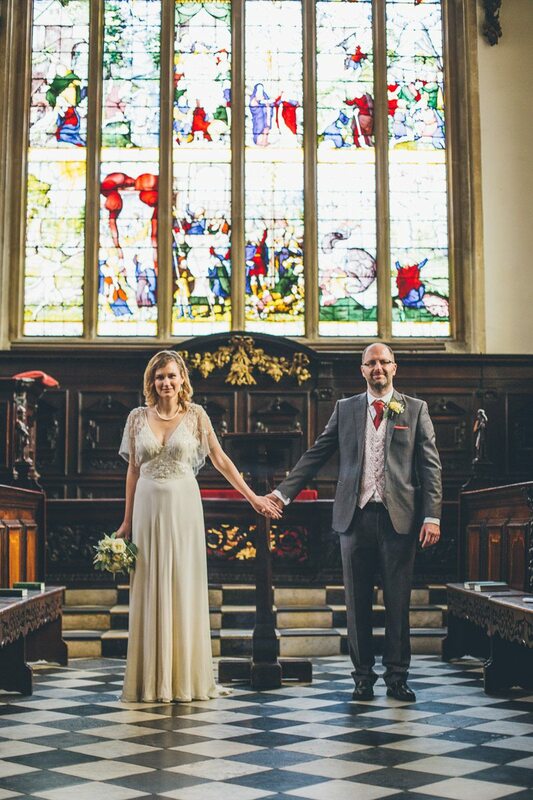 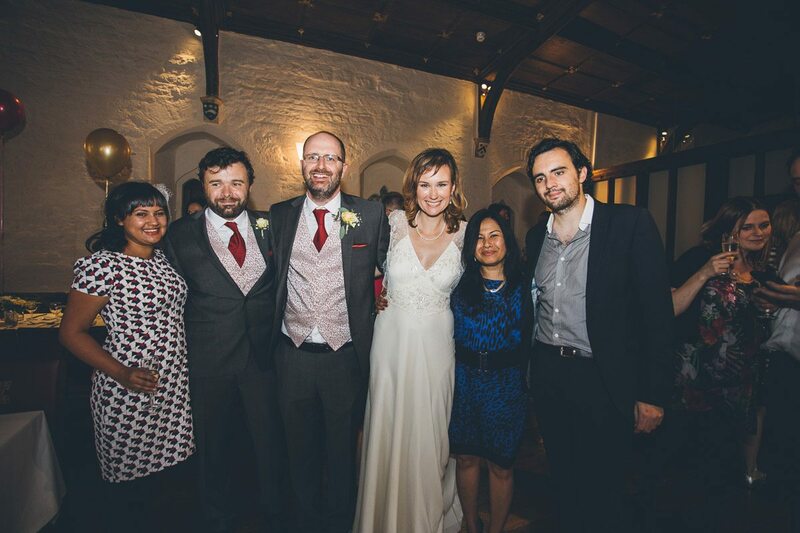 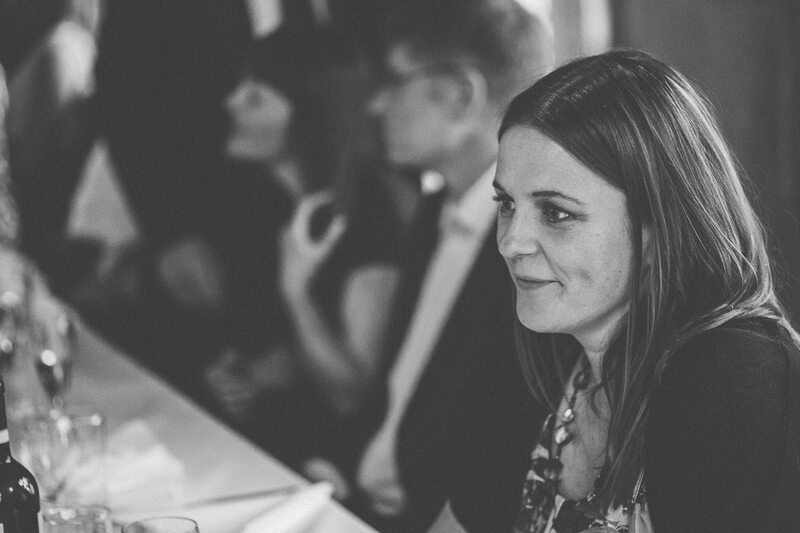 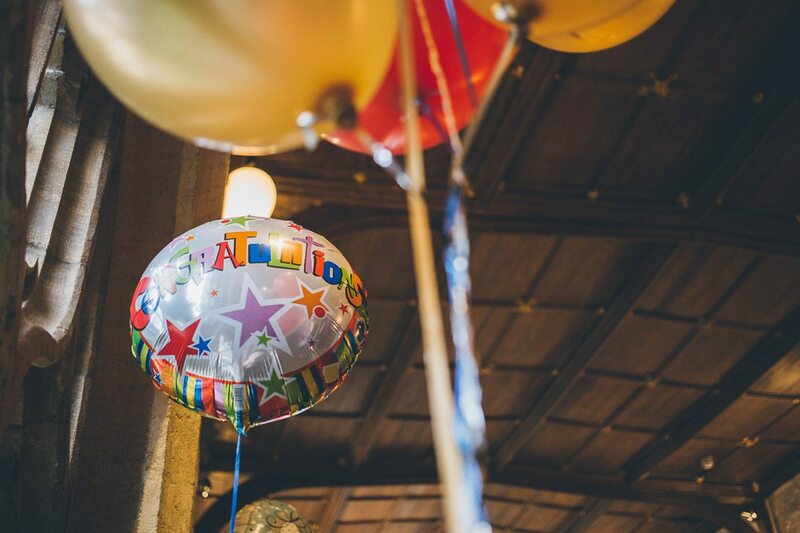 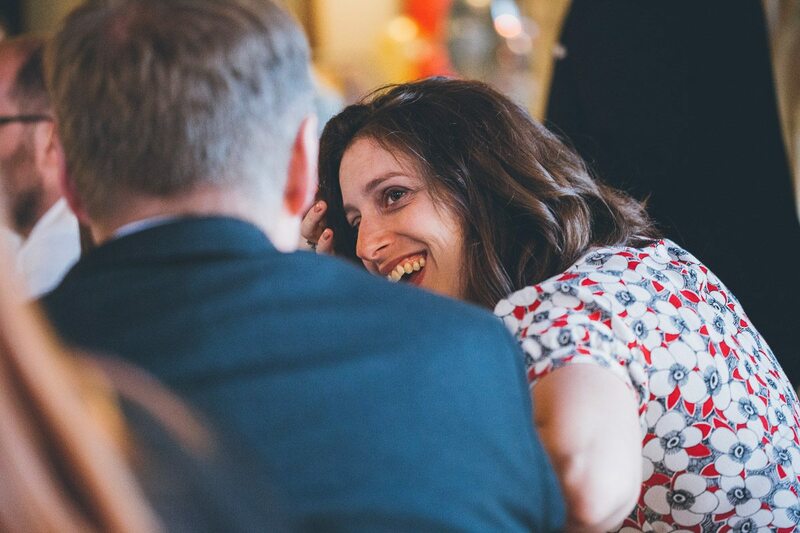 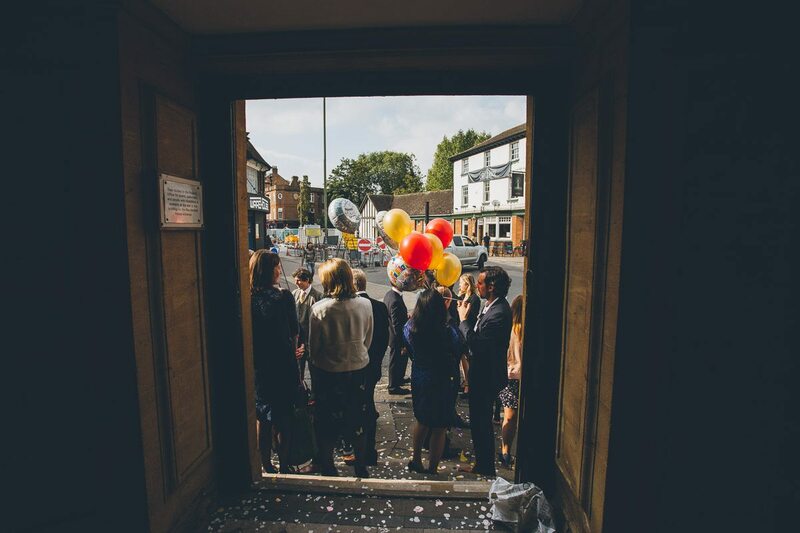 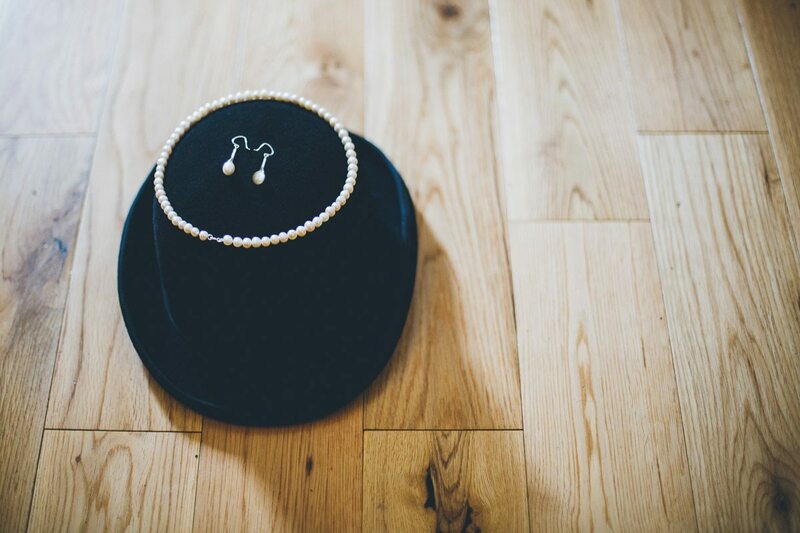 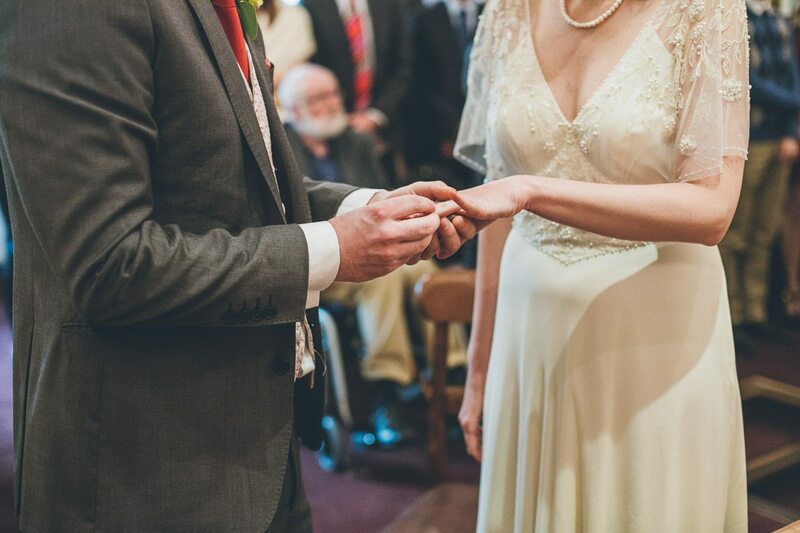 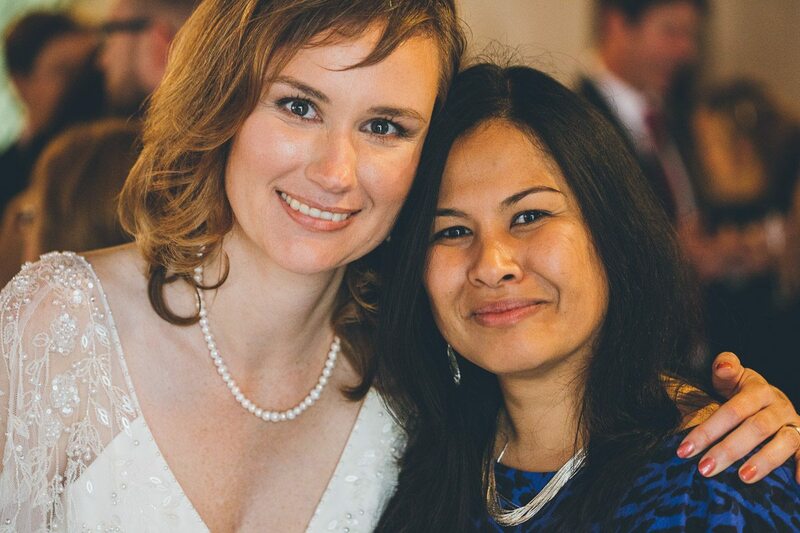 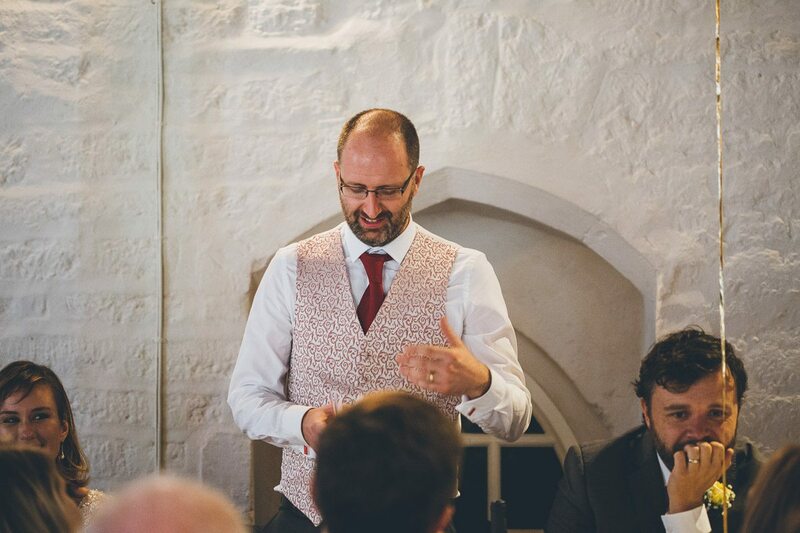 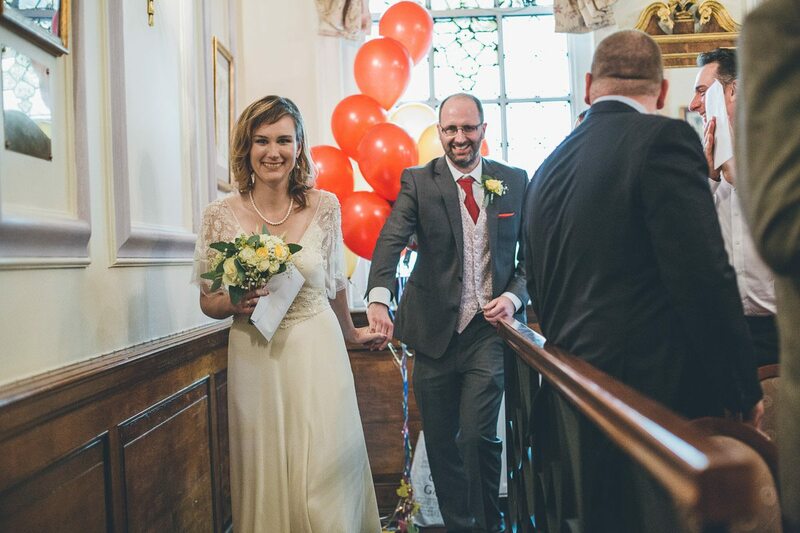 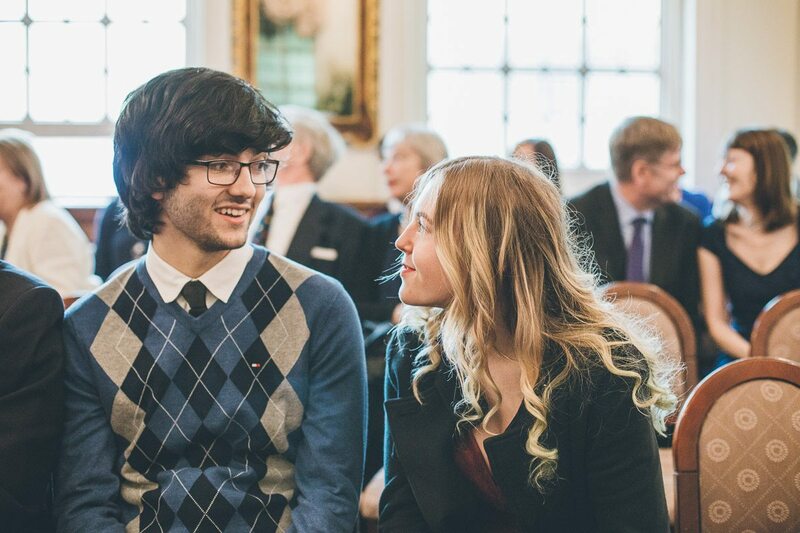 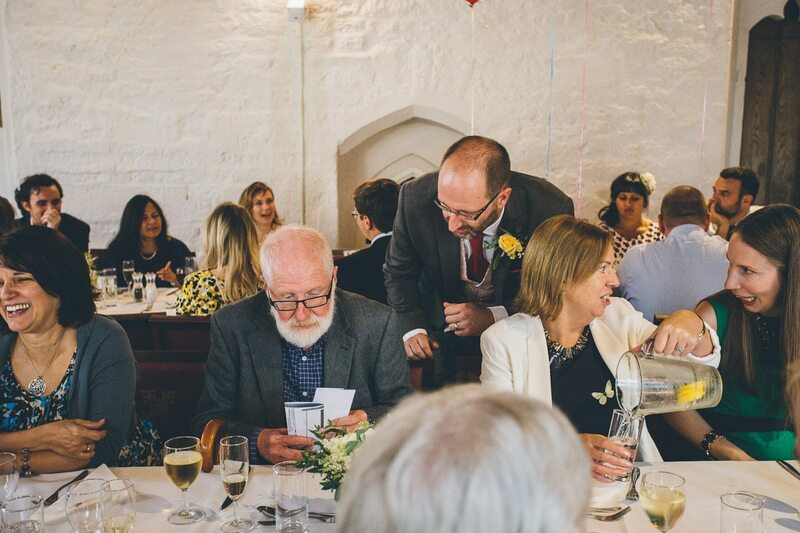 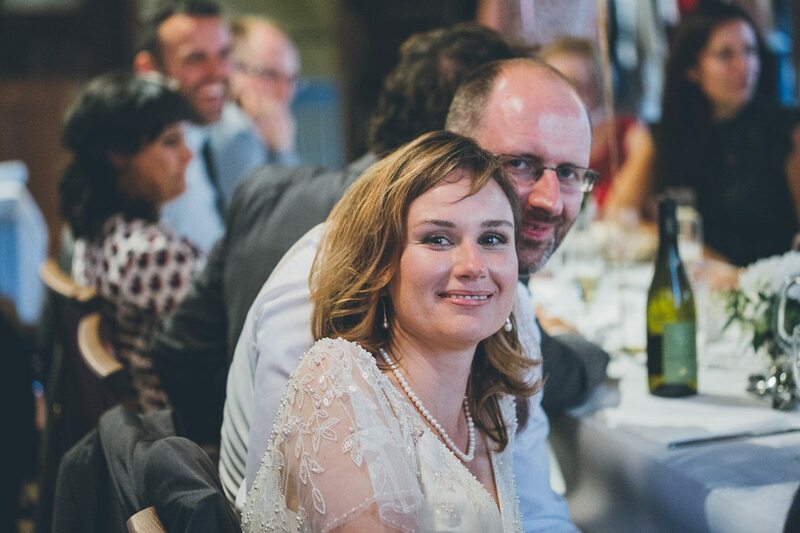 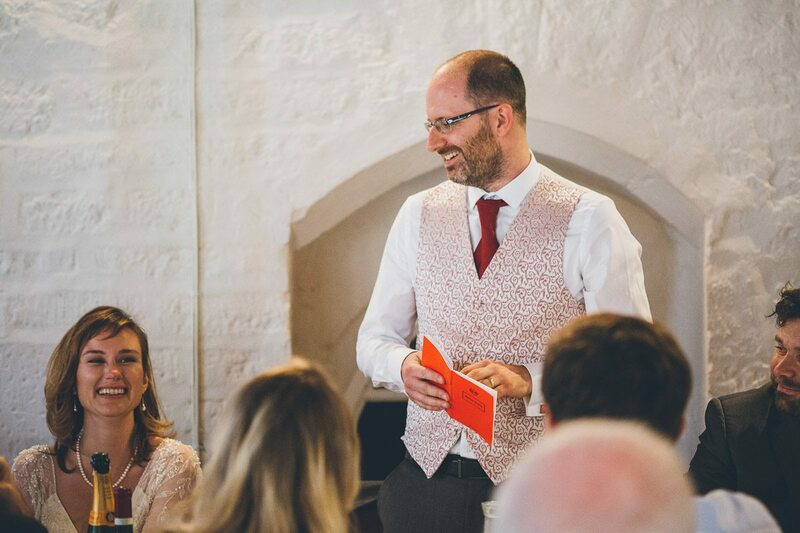 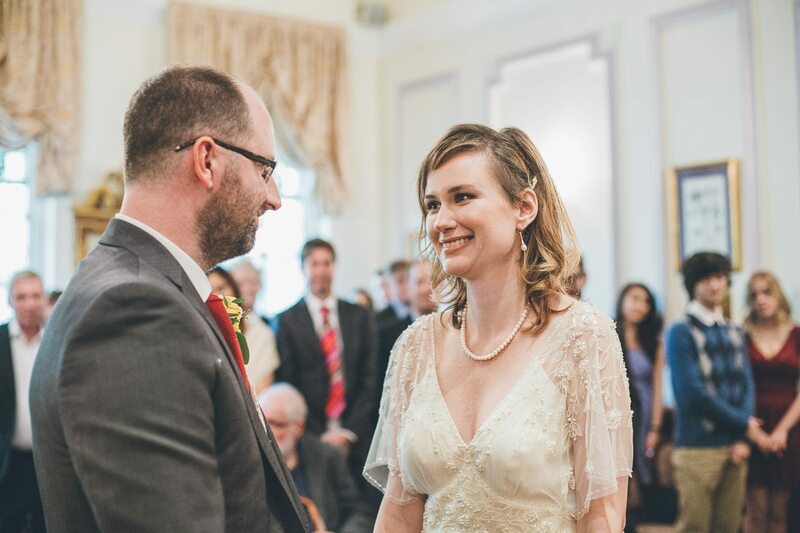 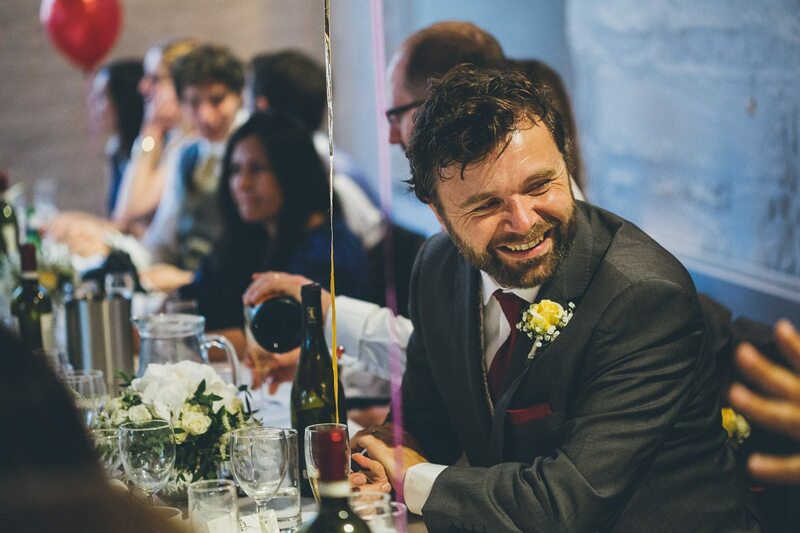 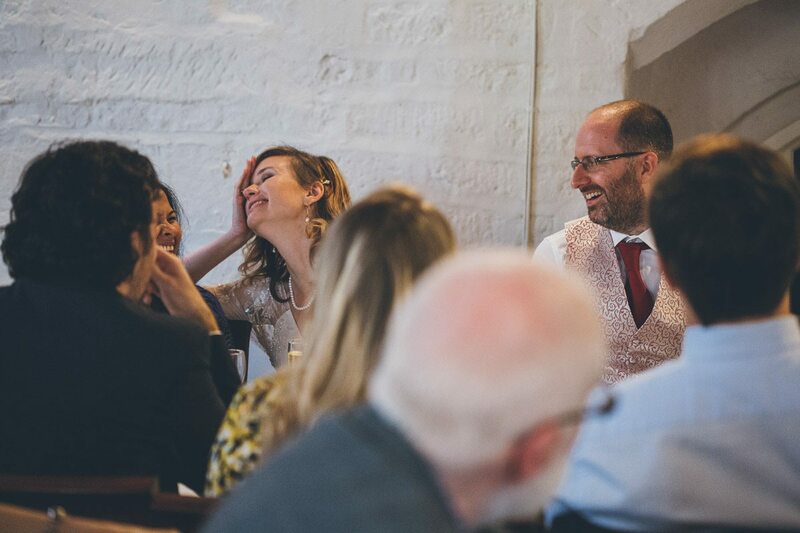 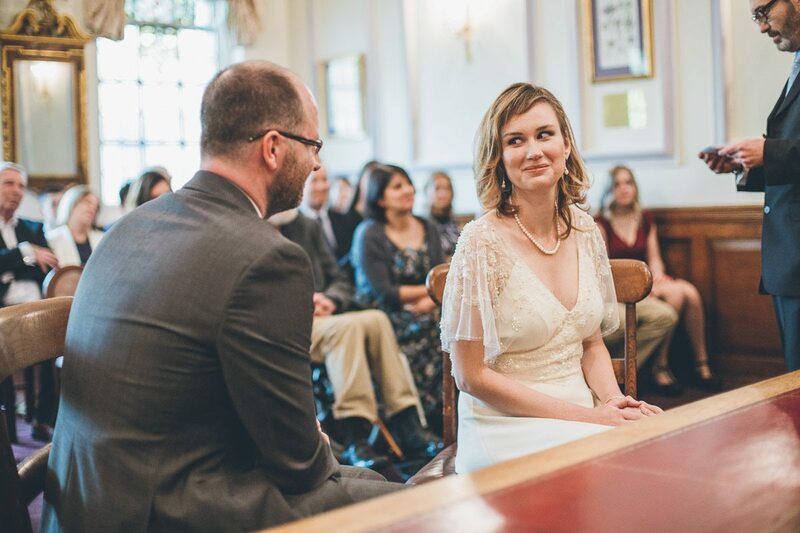 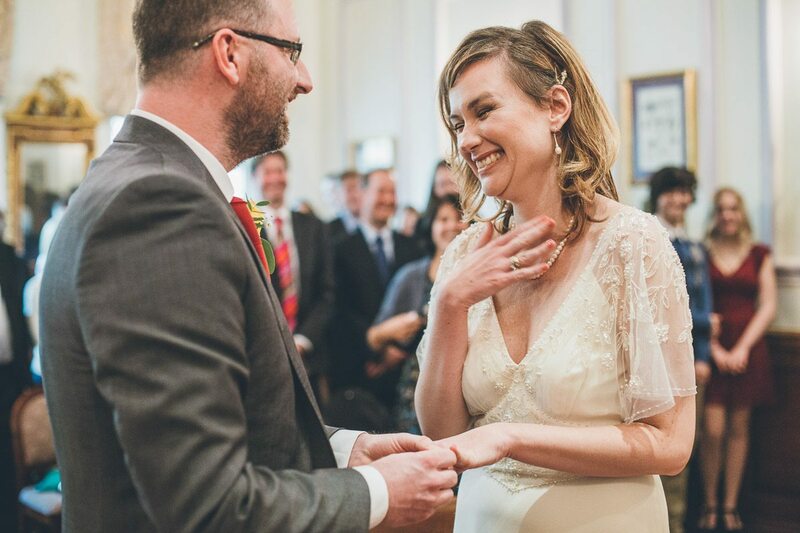 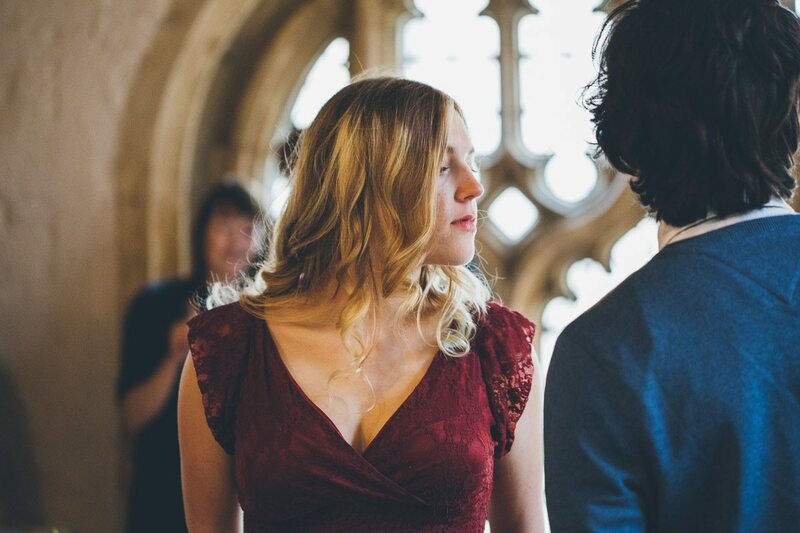 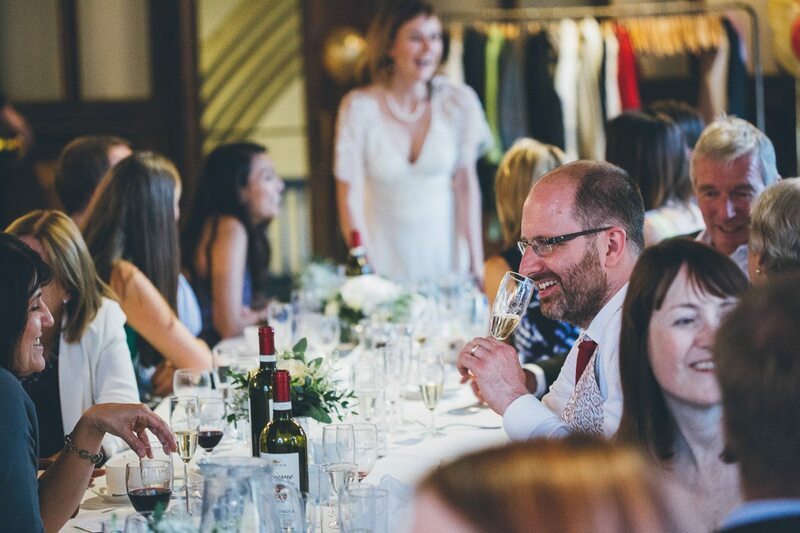 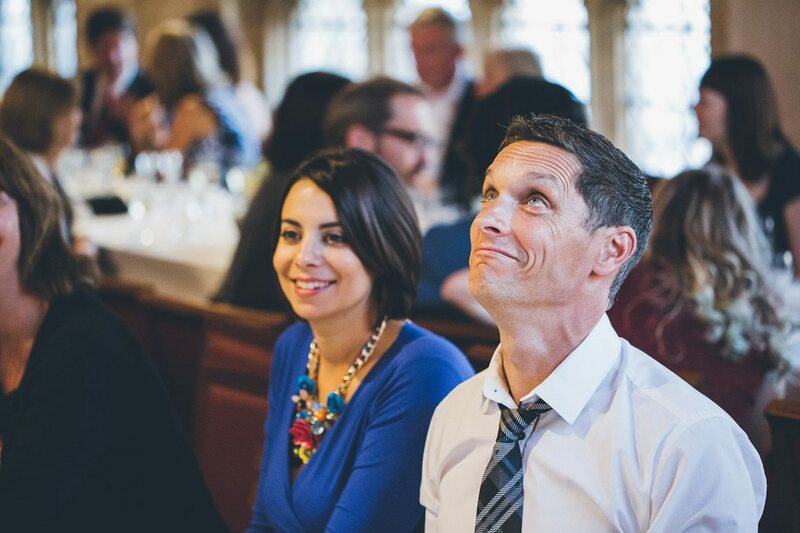 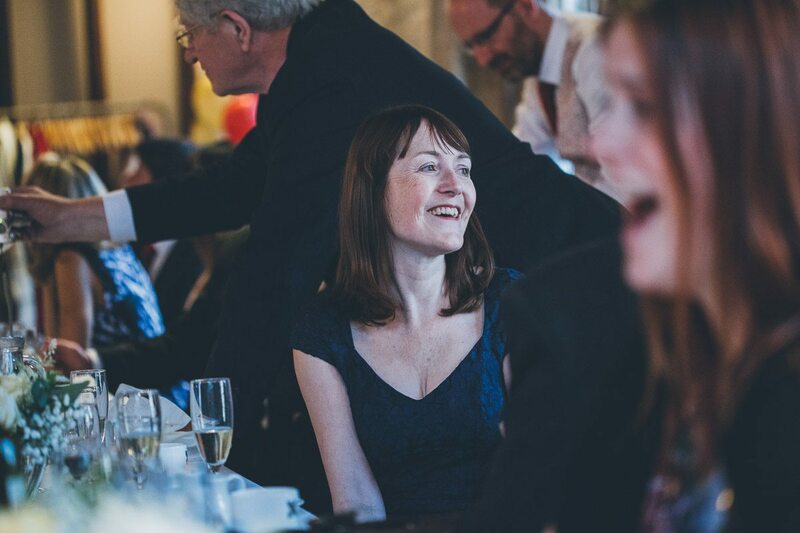 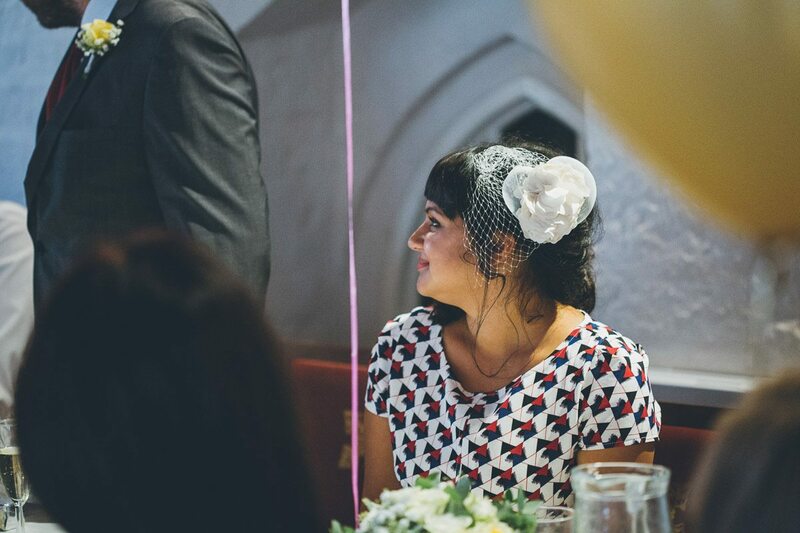 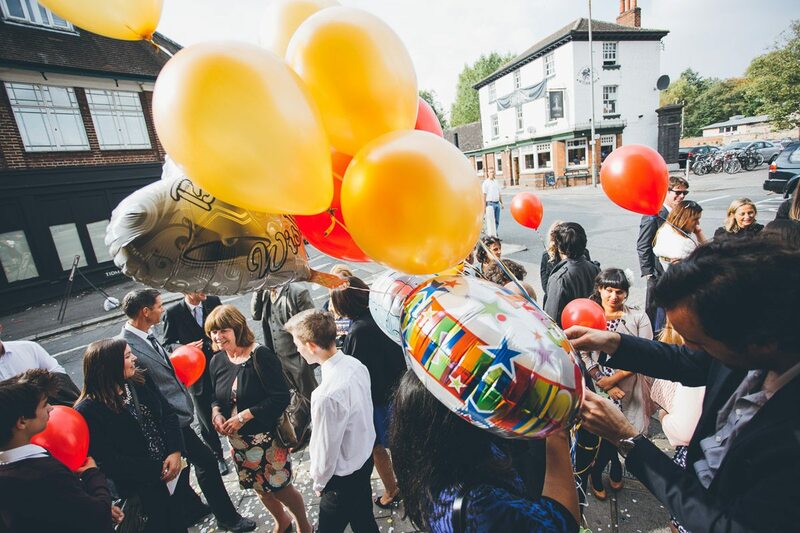 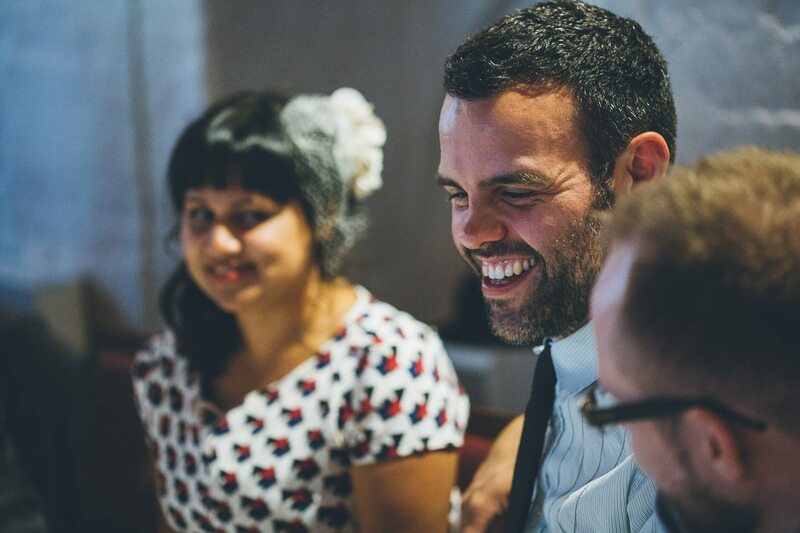 Ceremony – Oxford Registry Office, Dexter Room. 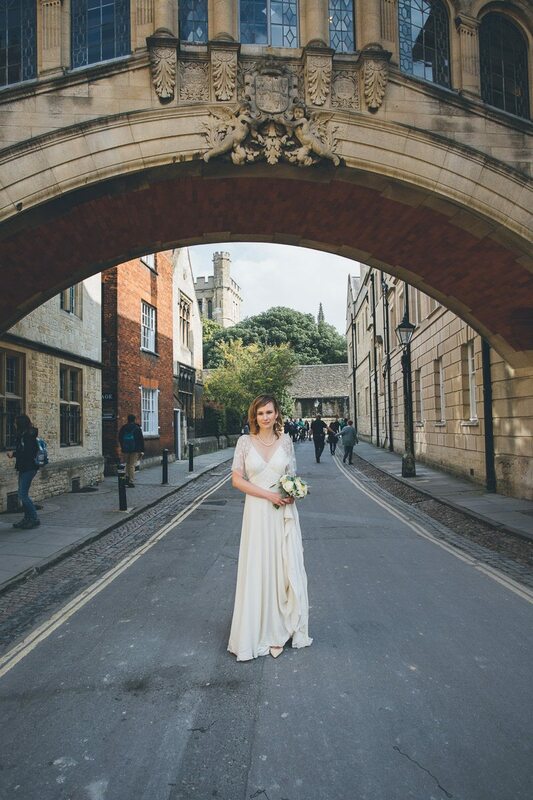 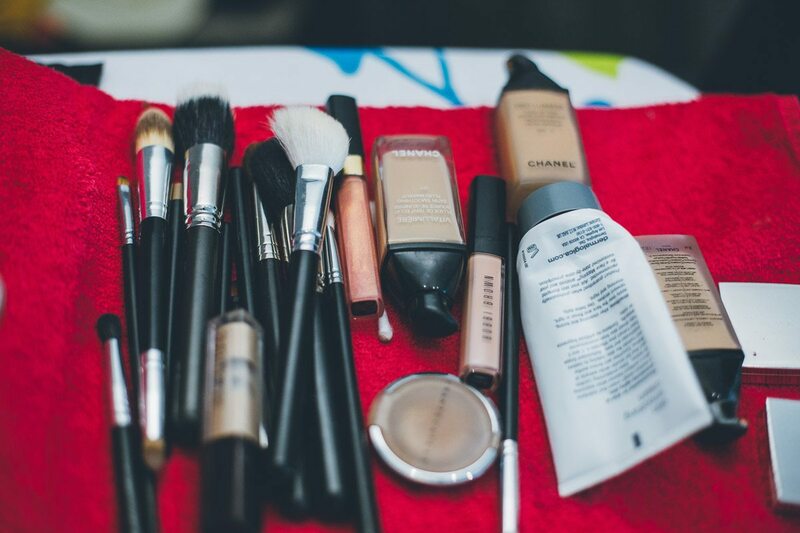 – Portrait Locations – Lincoln College. 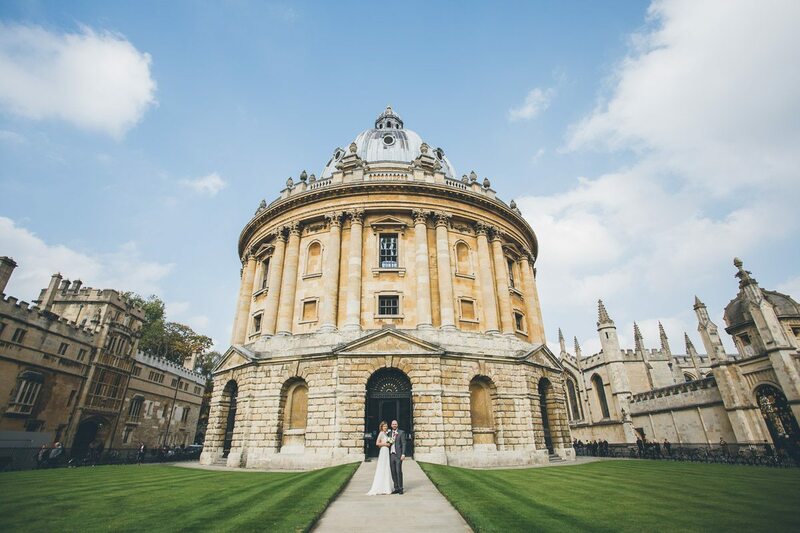 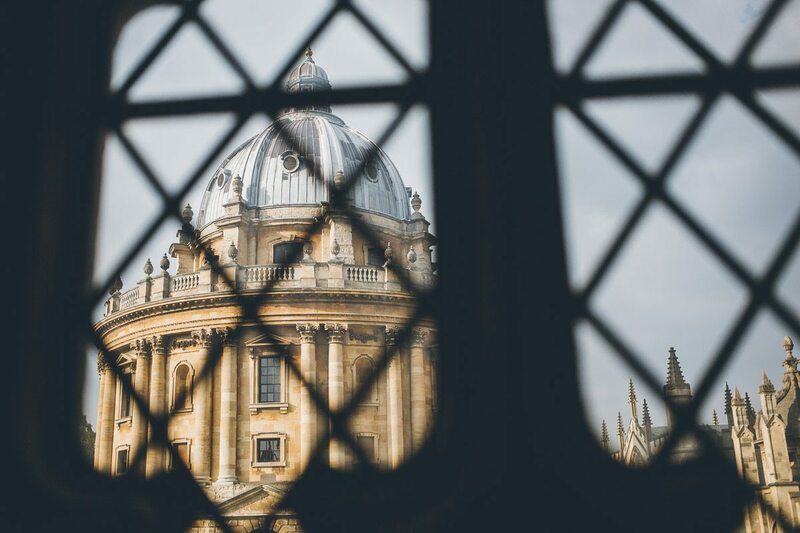 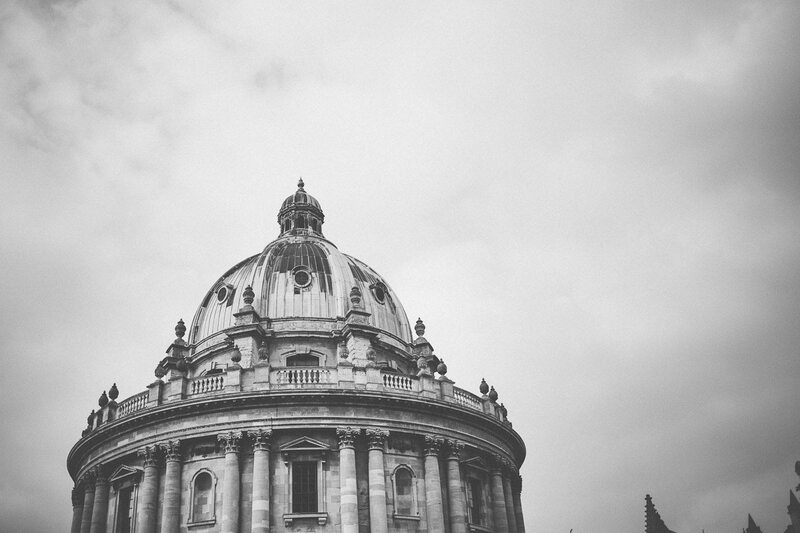 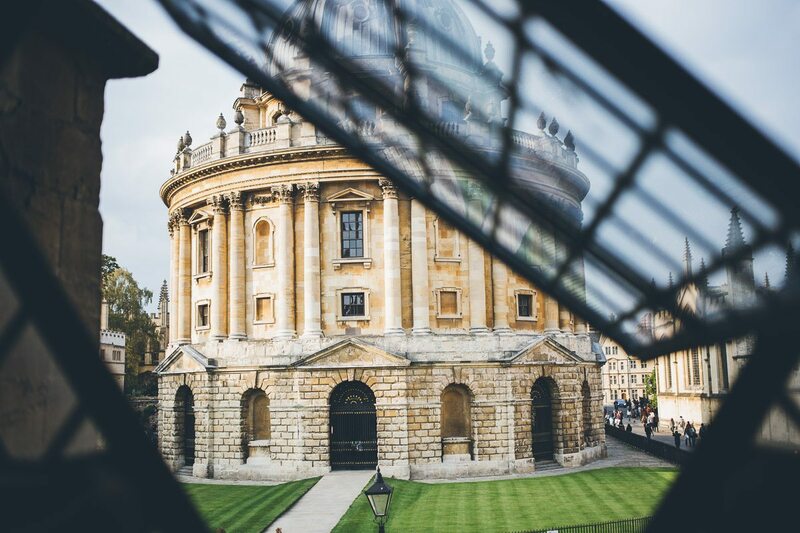 The Radcliffe Camera. 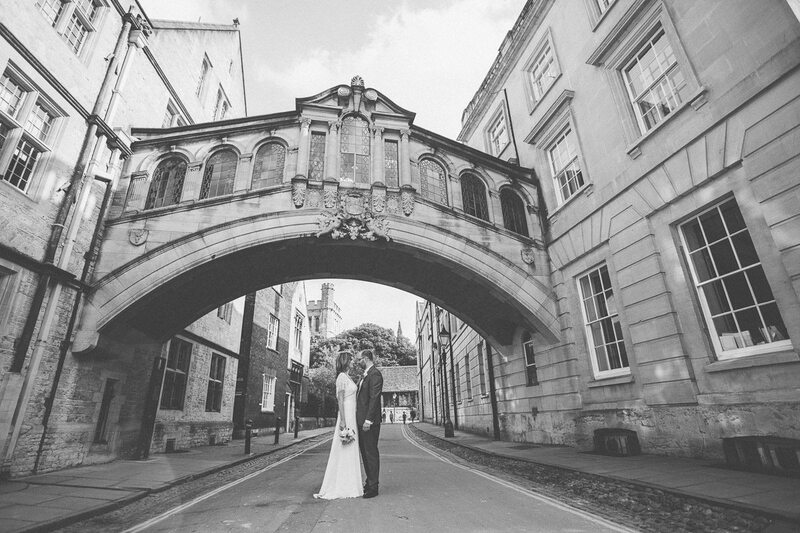 The Oxford Bridge of Sighs aka Hertford Bridge. 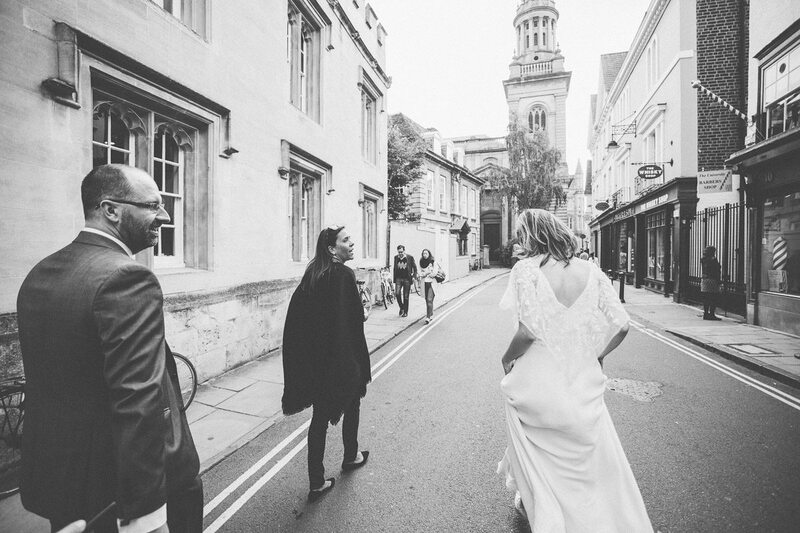 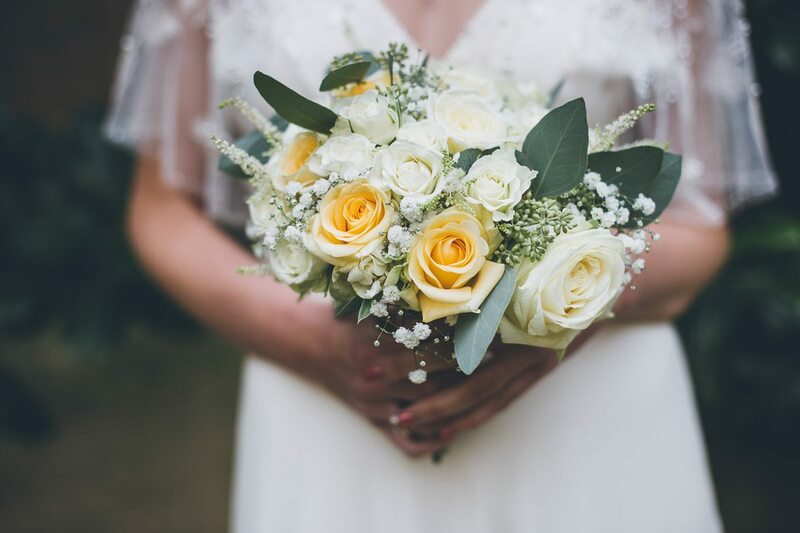 – Florist – Petite Fleur, Oxford. 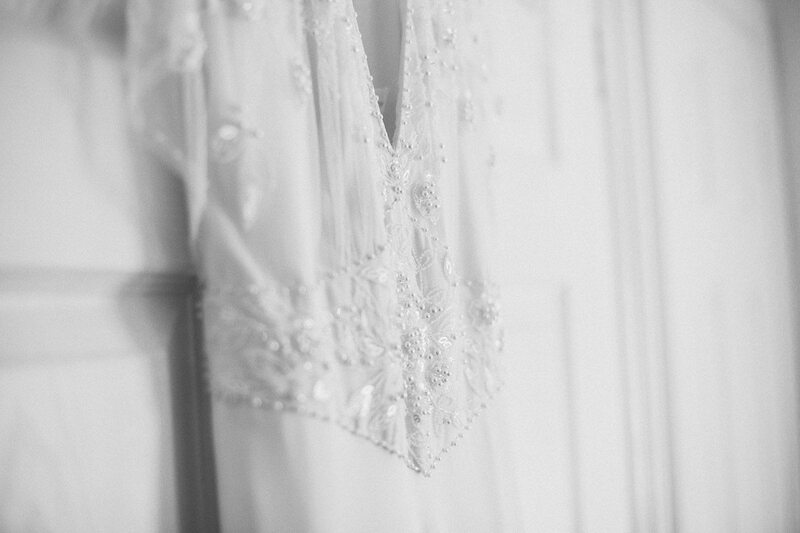 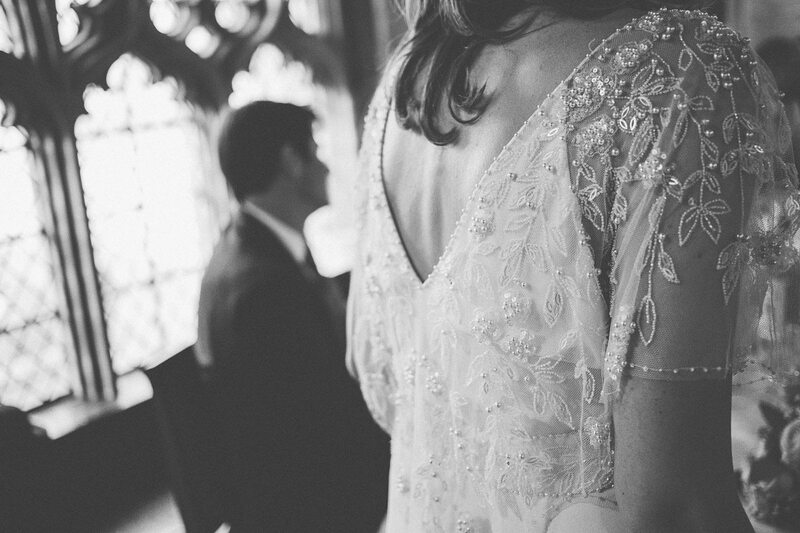 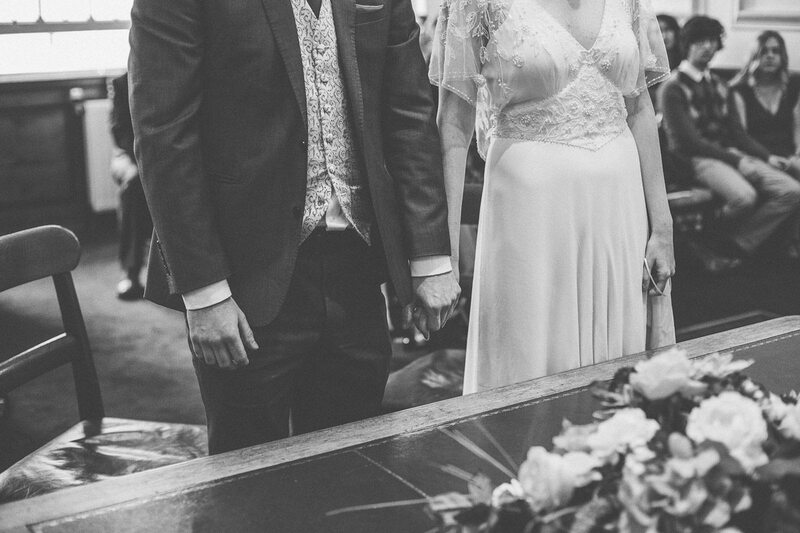 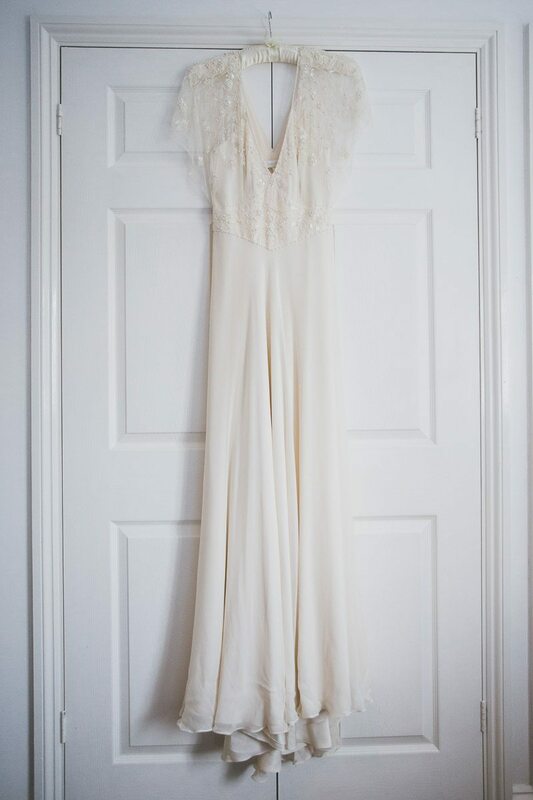 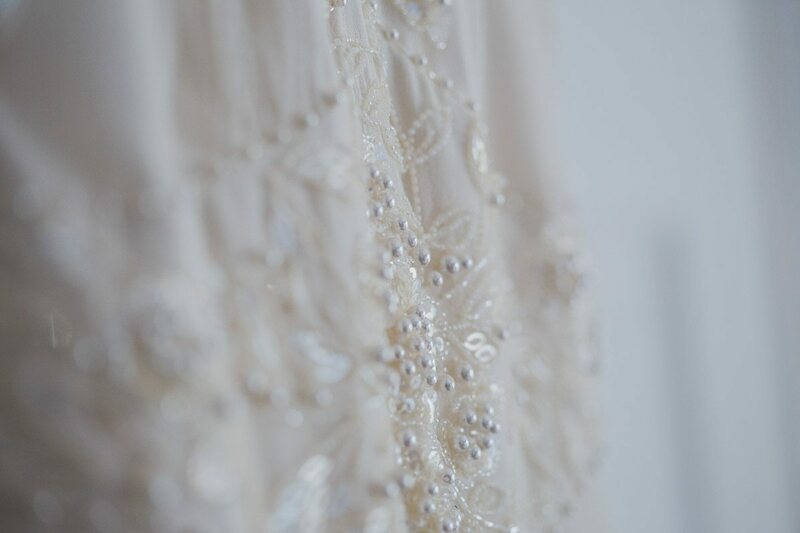 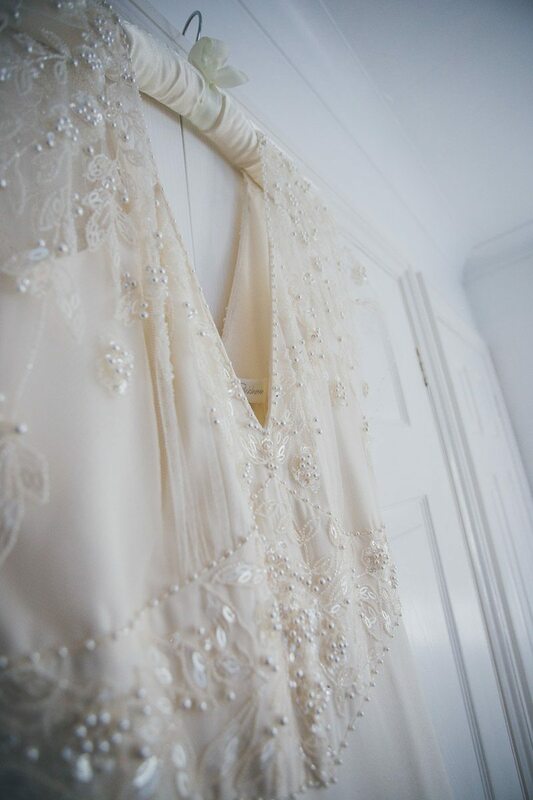 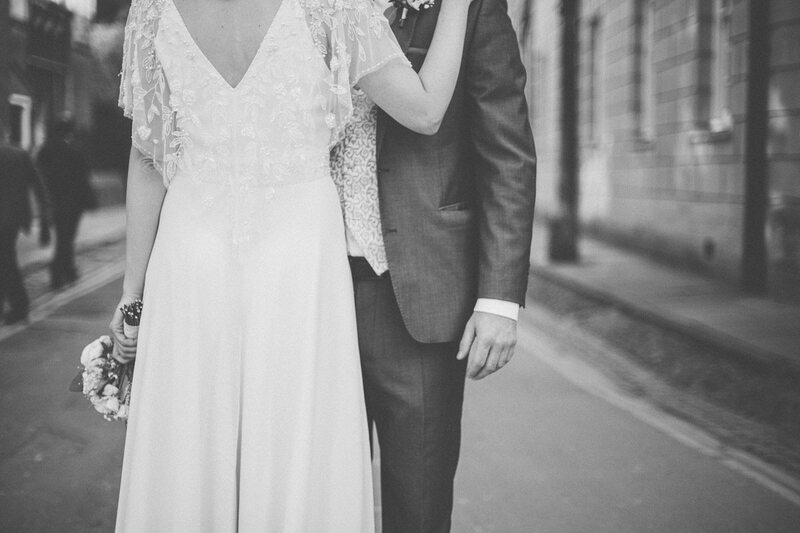 – Dress – Jenny Packham.